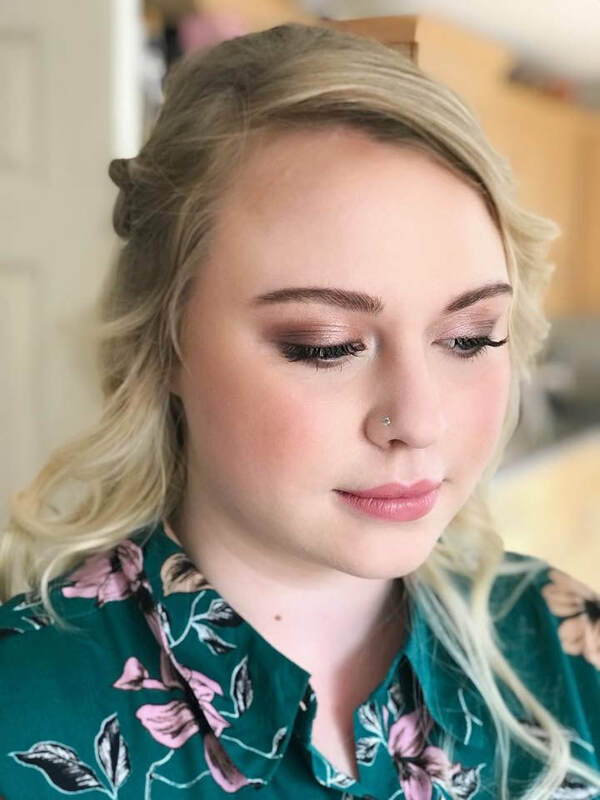 Jodie has always had a passion for hair and beauty and through her love of makeup she taught herself the skillset and knowledge she has today. 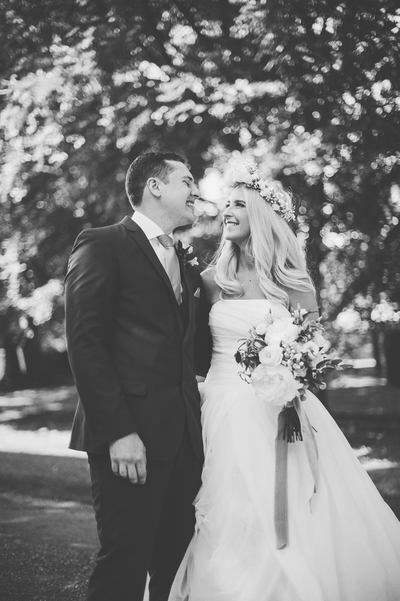 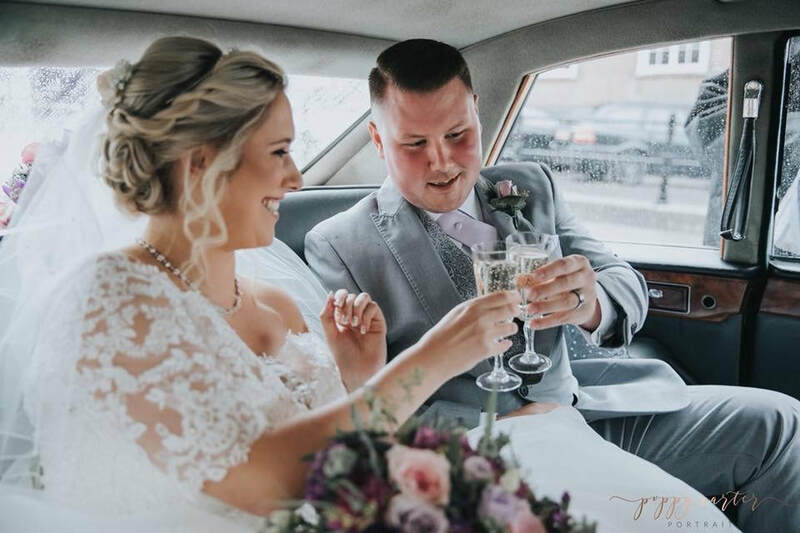 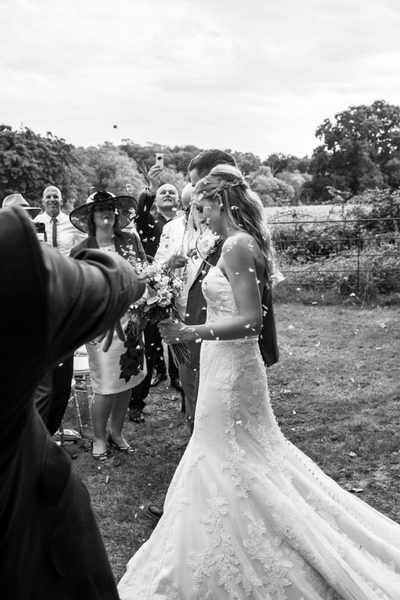 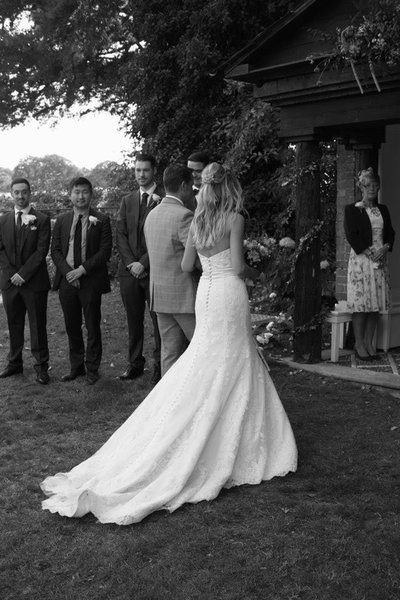 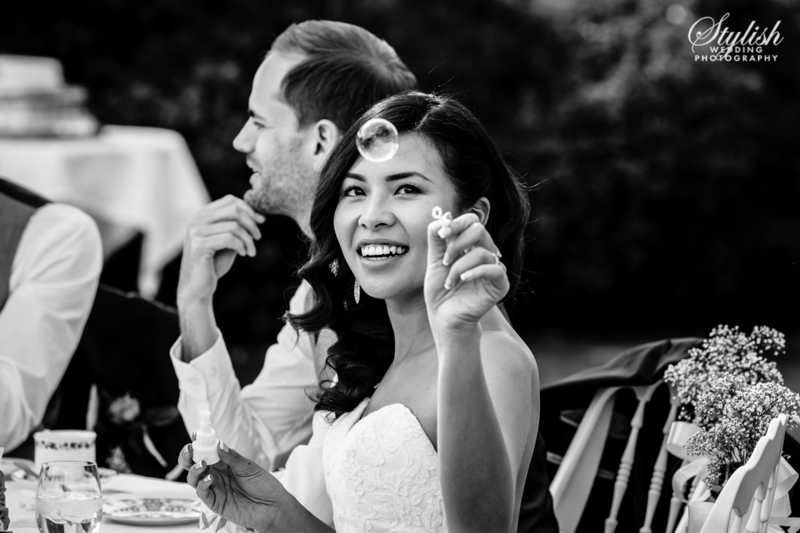 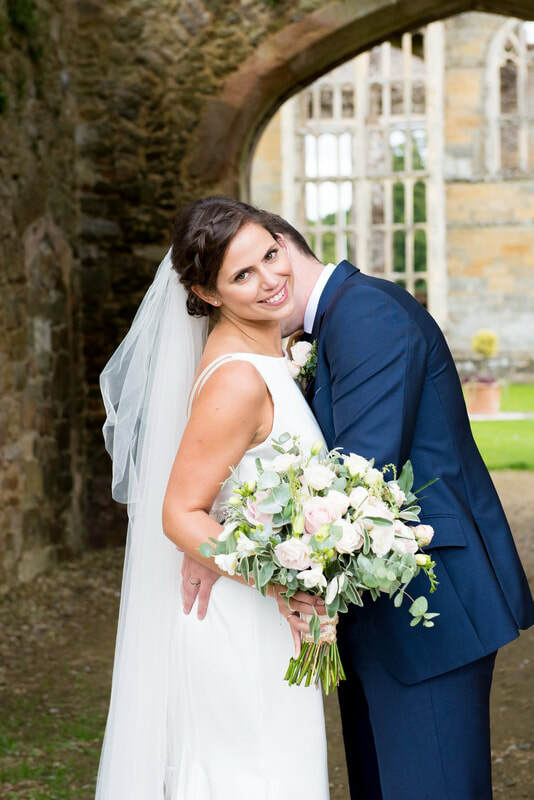 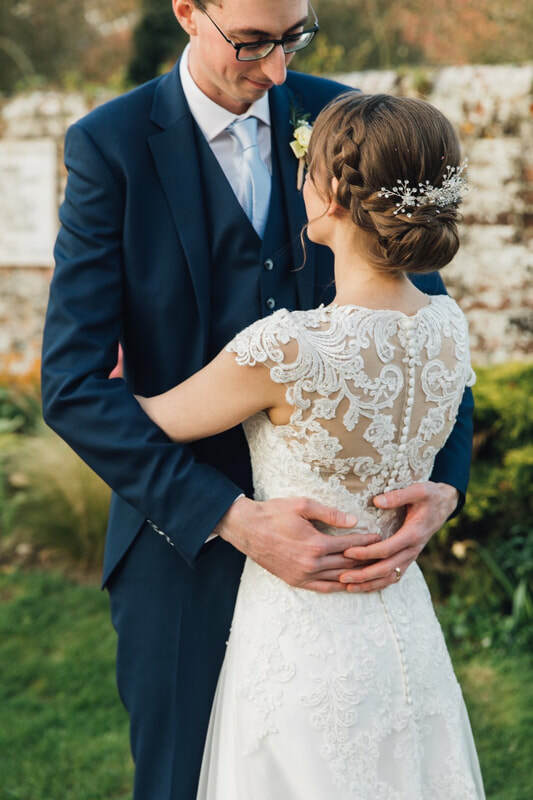 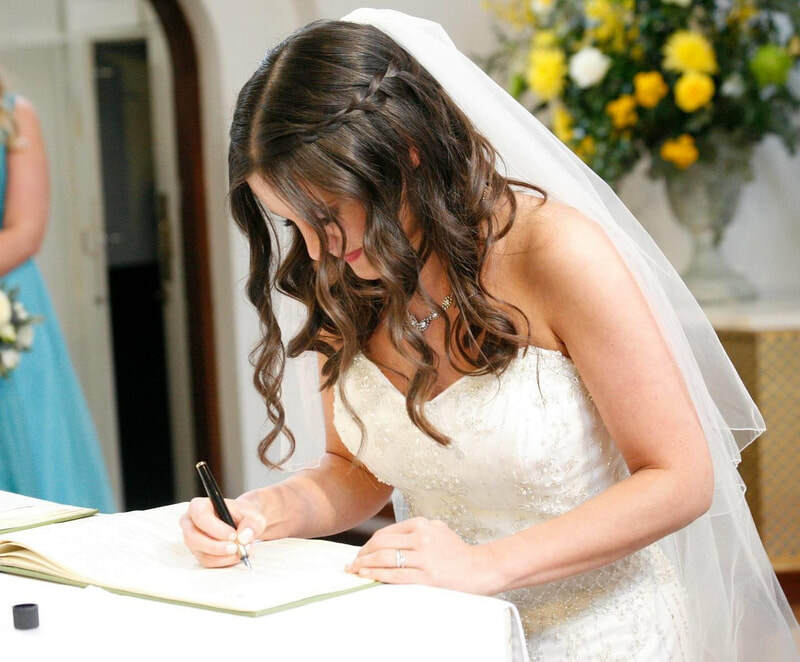 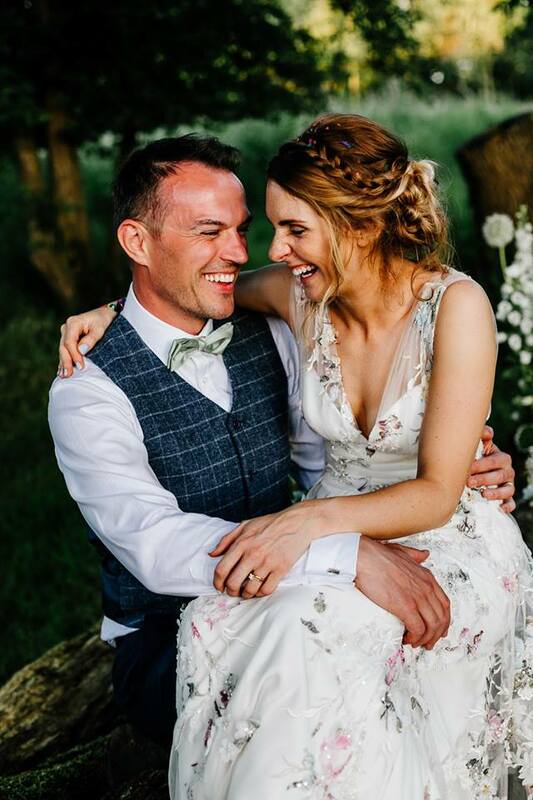 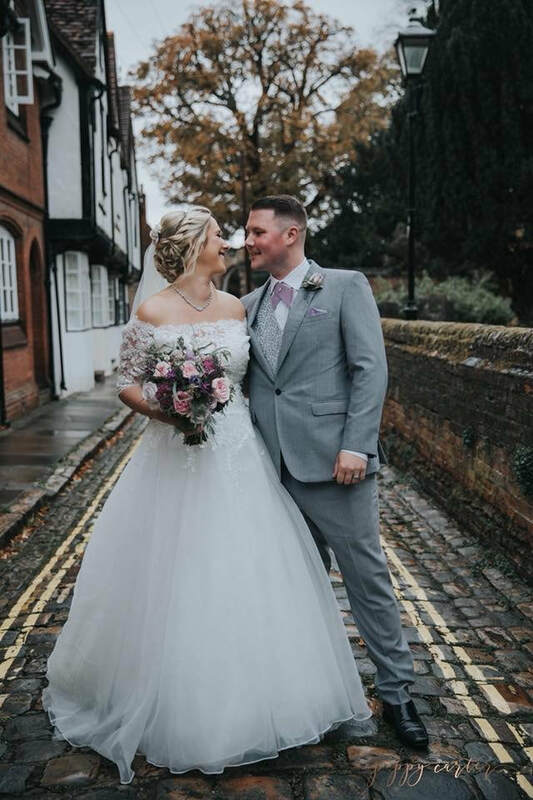 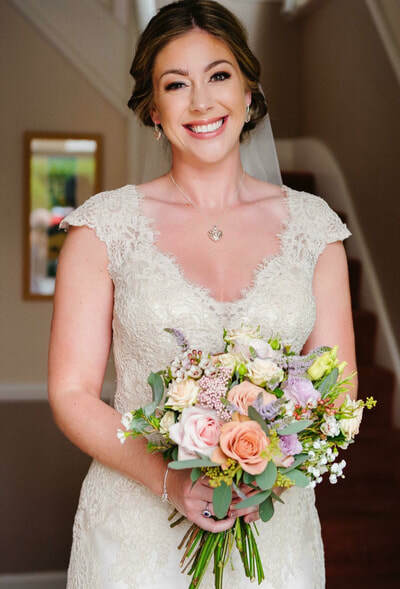 Working professionally for four years, Jodie has grown an excellent and loyal customer base with the understanding that no two brides are the same. 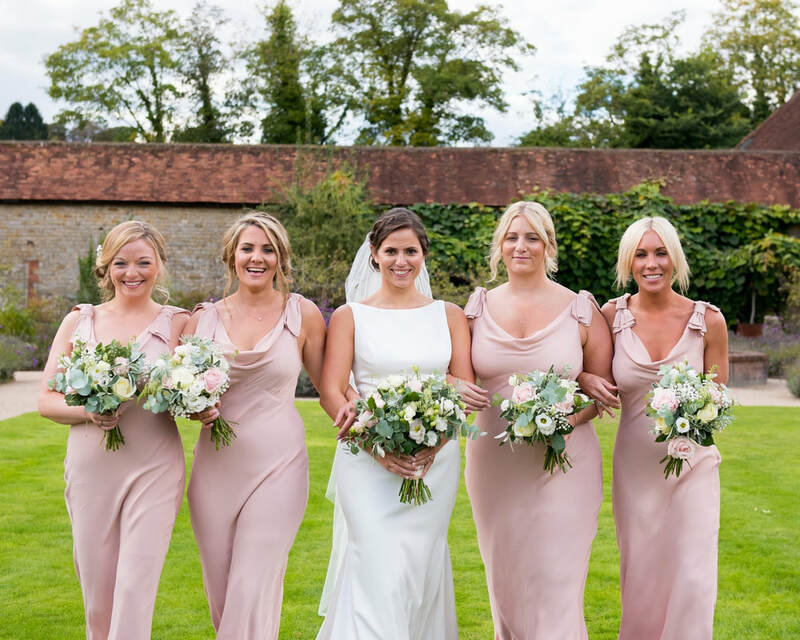 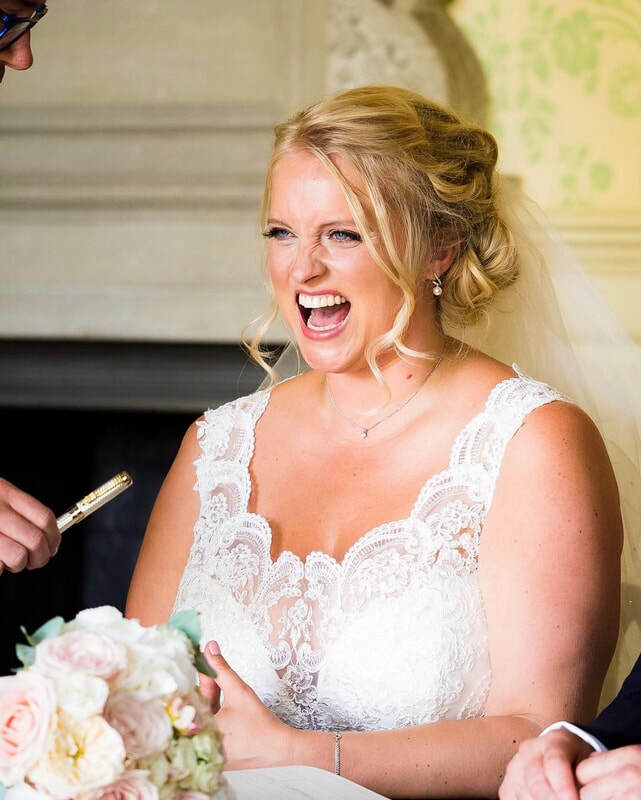 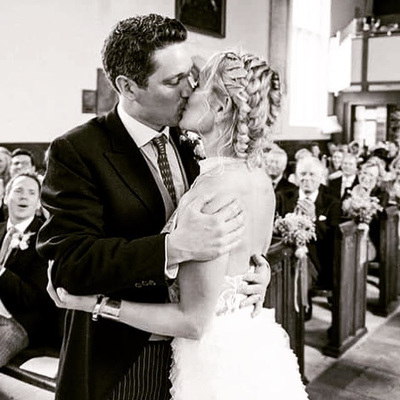 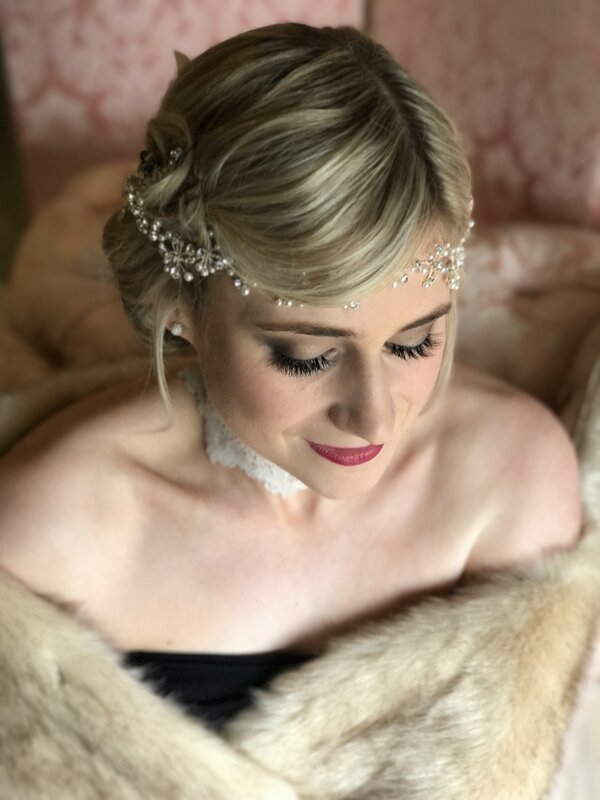 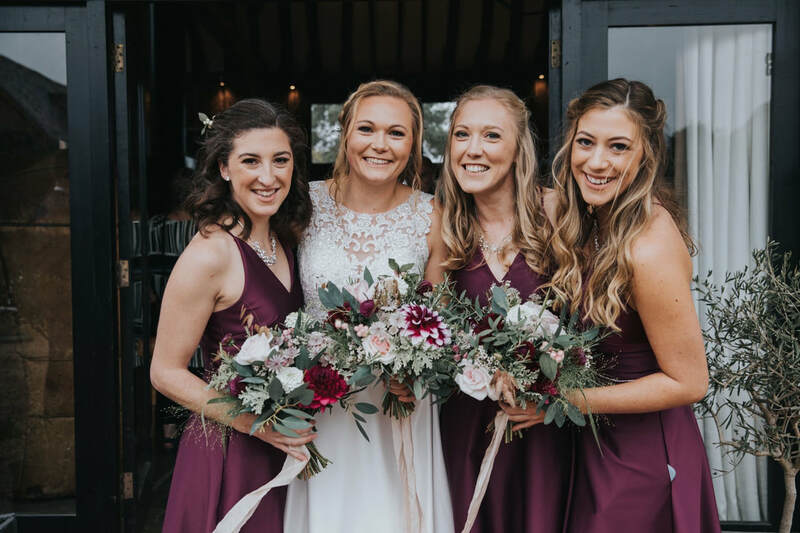 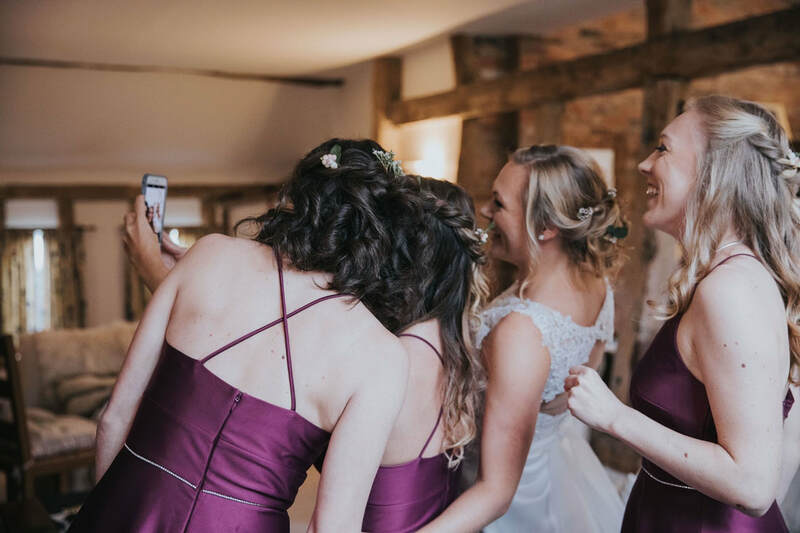 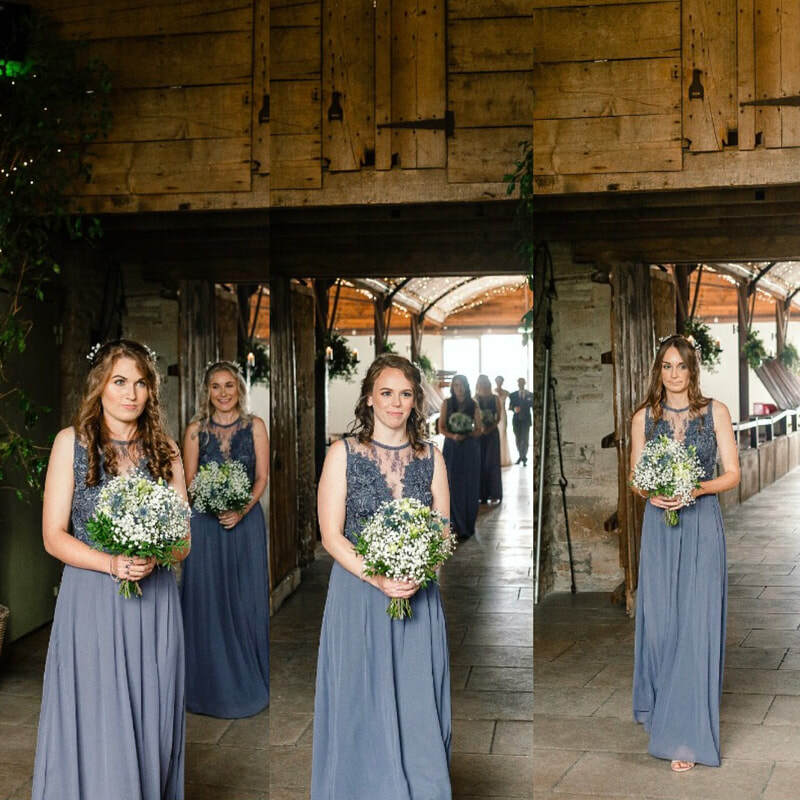 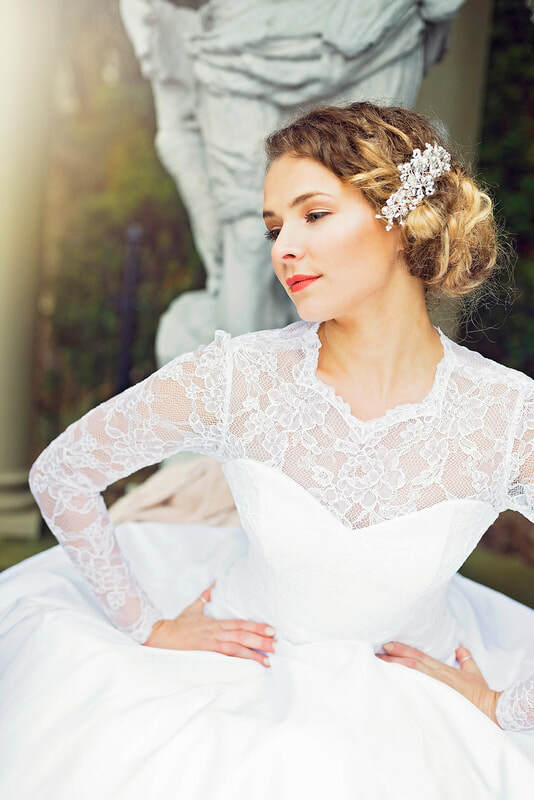 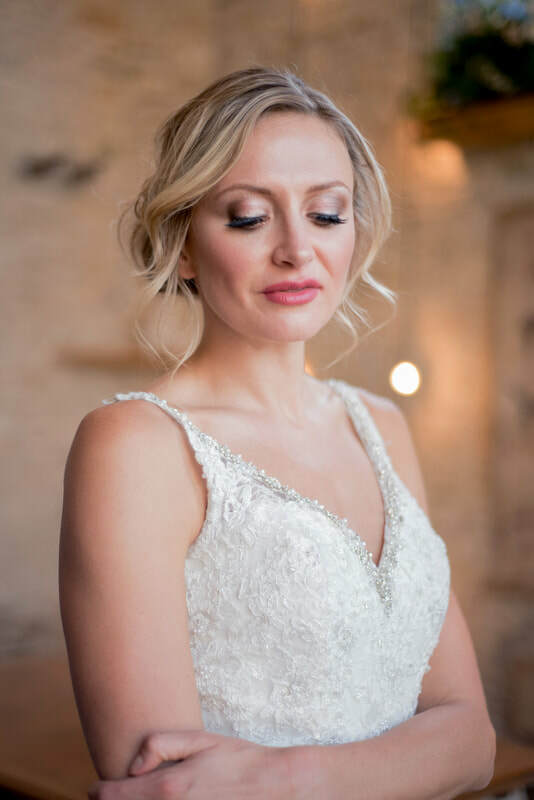 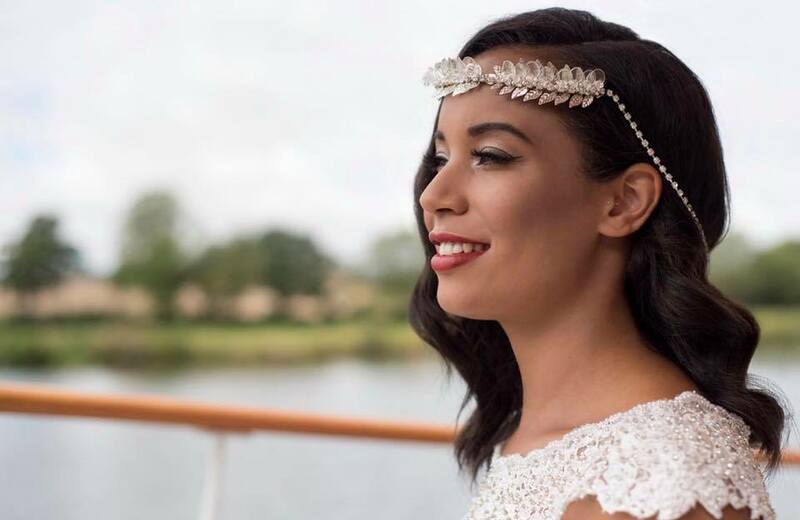 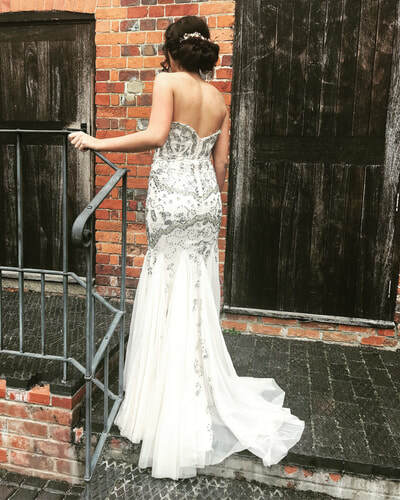 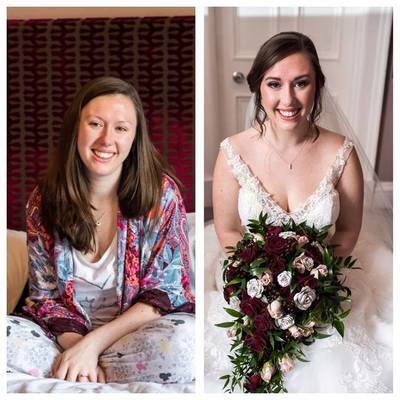 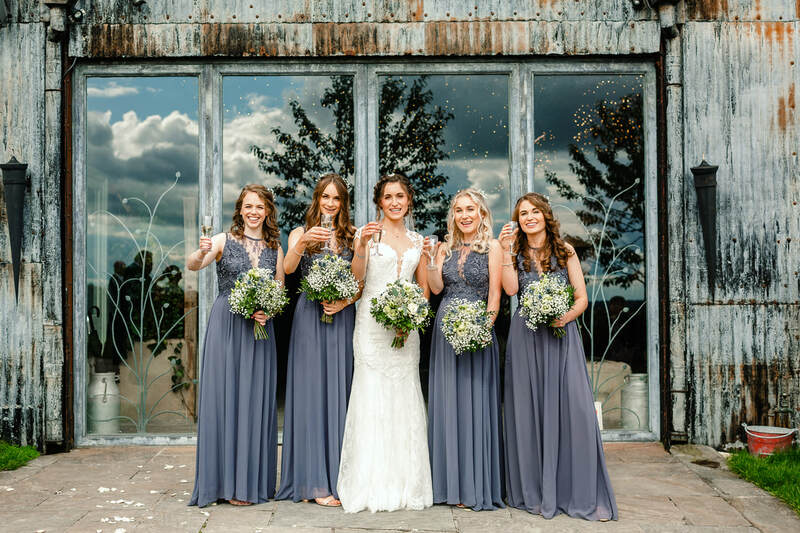 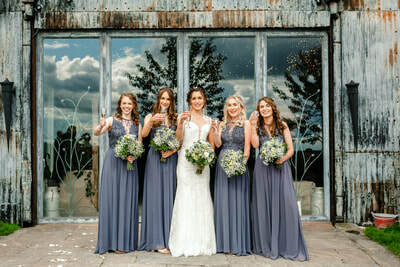 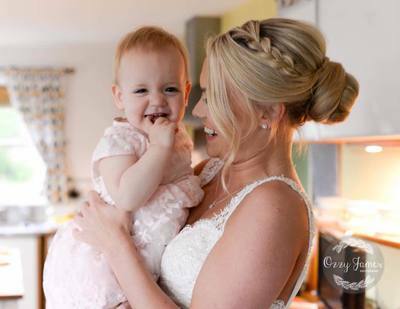 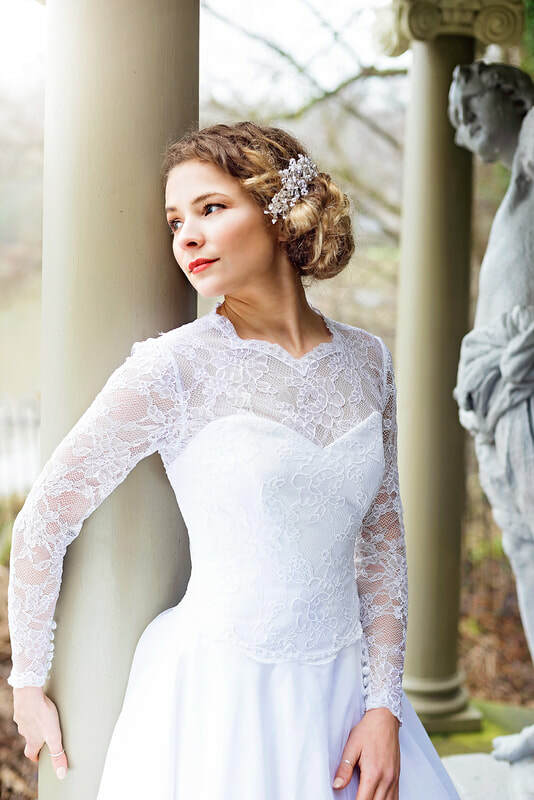 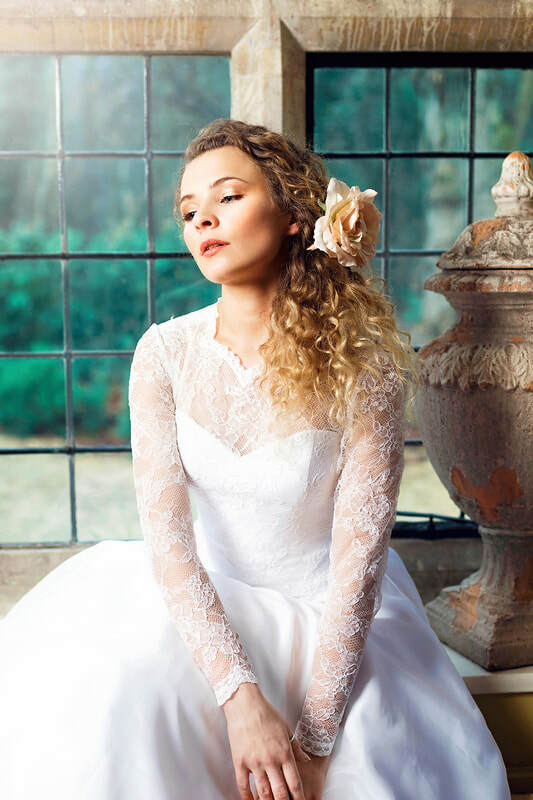 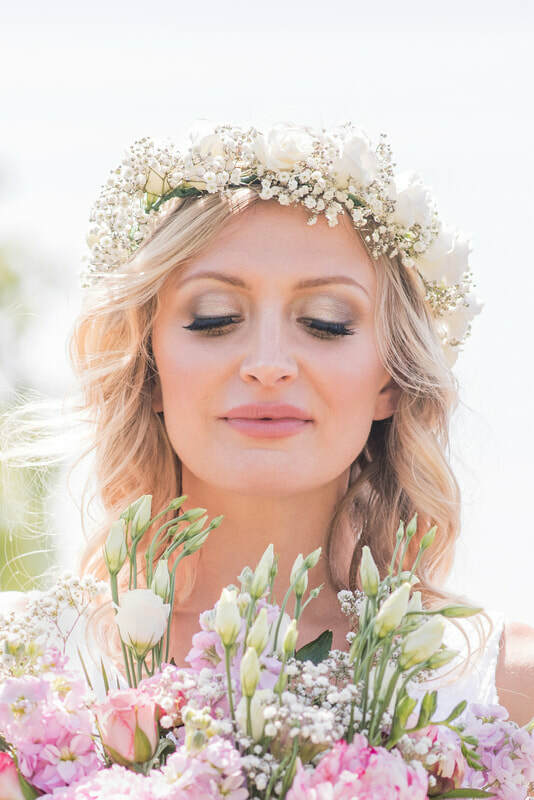 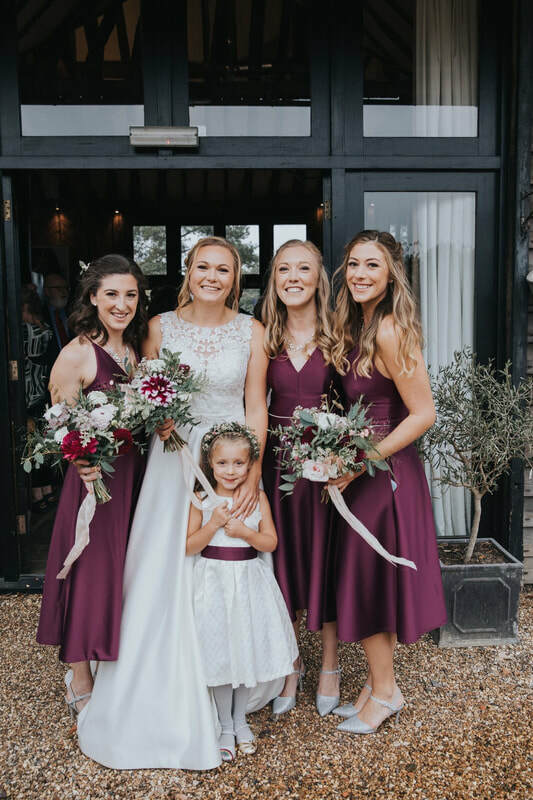 Jodie will ensure you look and feel fabulous on your special day by perfecting the look you desire, whether it be Natural Hair and Makeup or Full Glam Hair and Makeup. 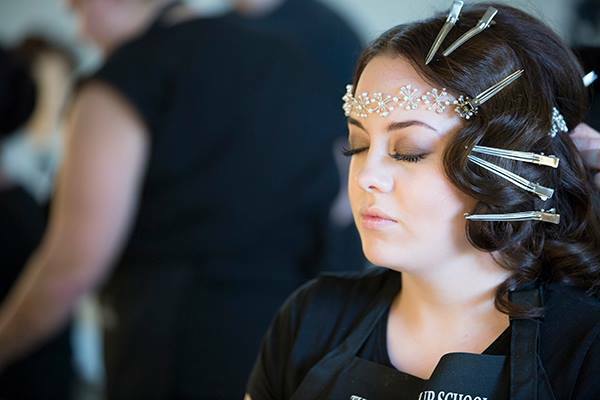 Dedicated to self-development Jodie invested in herself and trained at 'The Hair & Makeup School' with Holly. 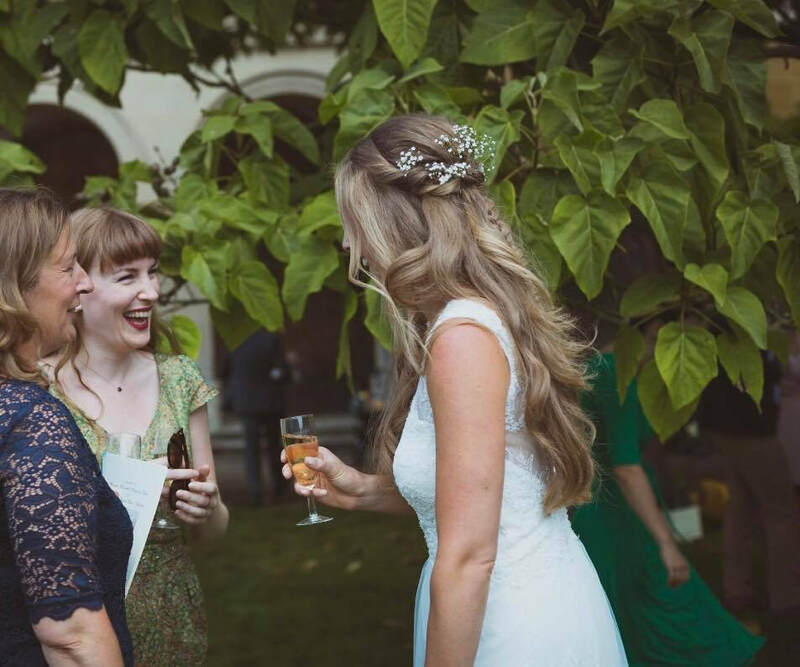 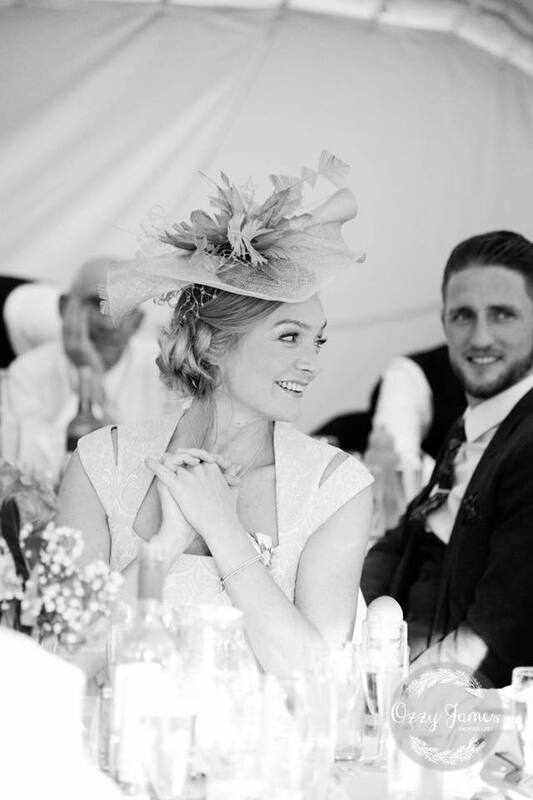 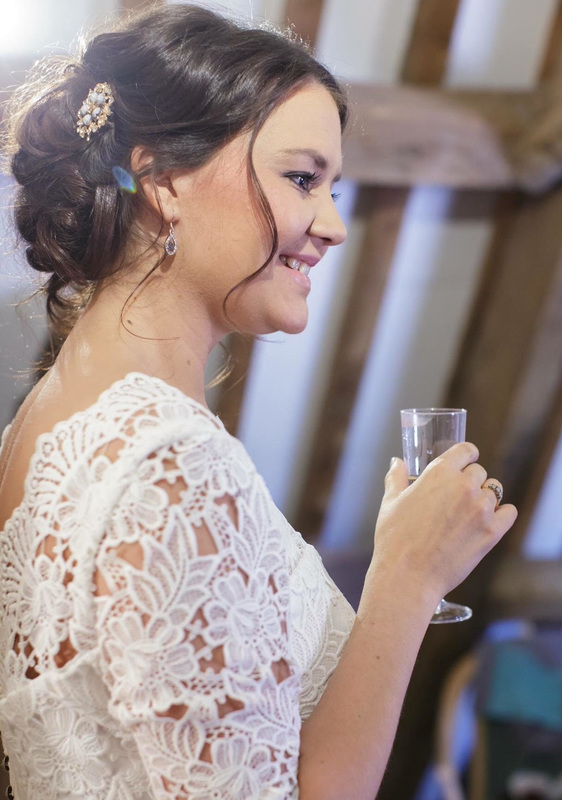 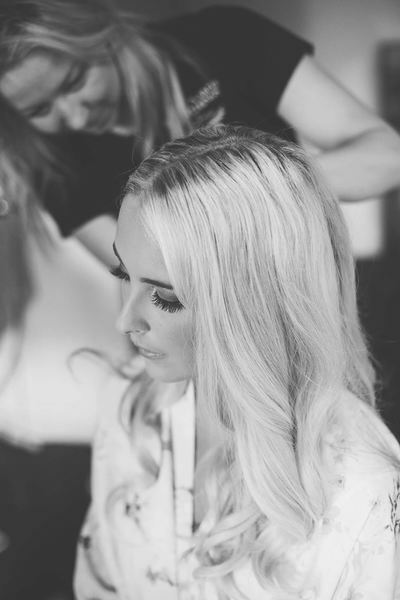 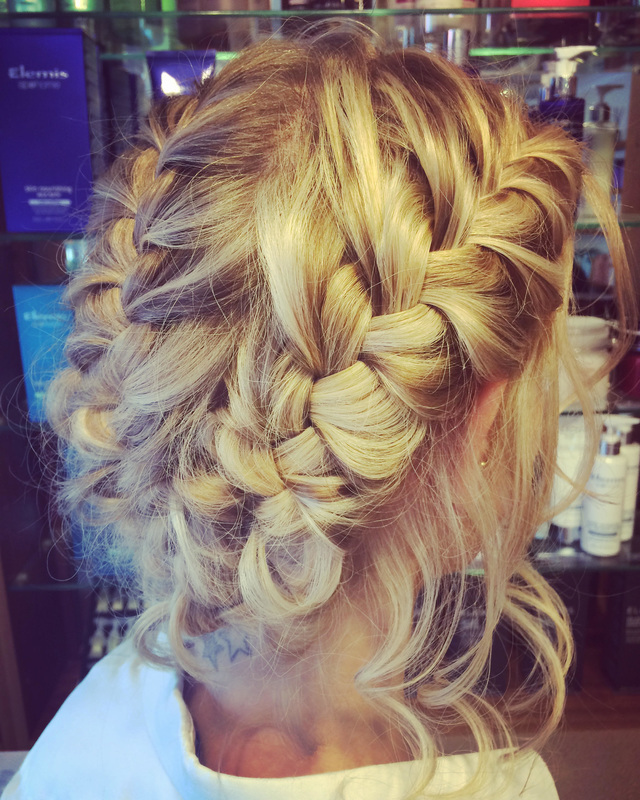 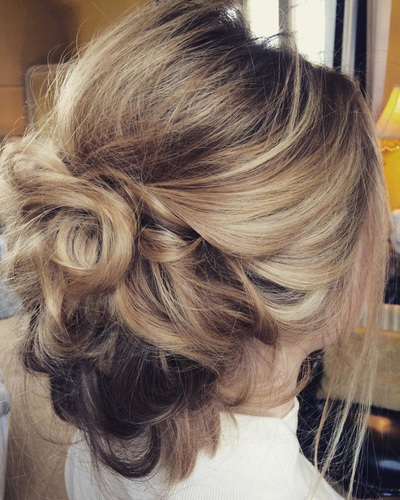 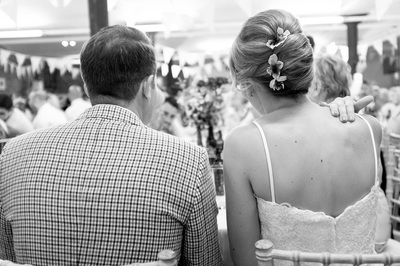 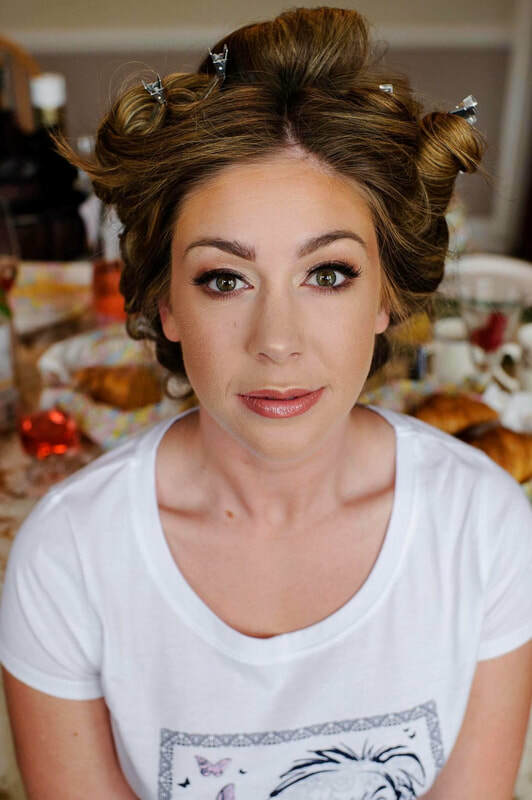 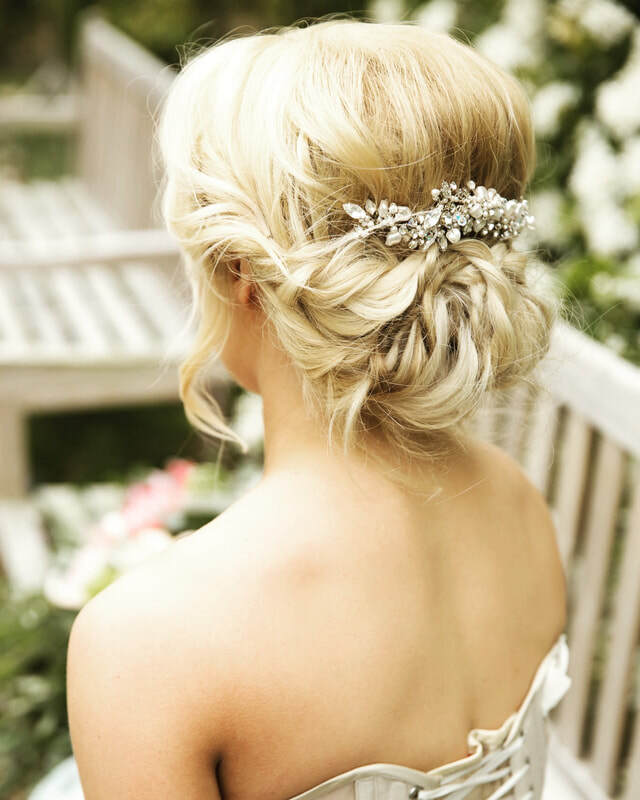 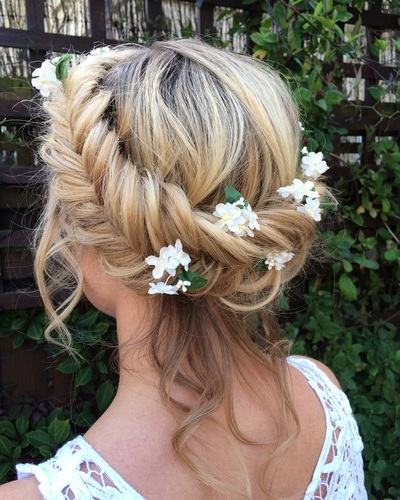 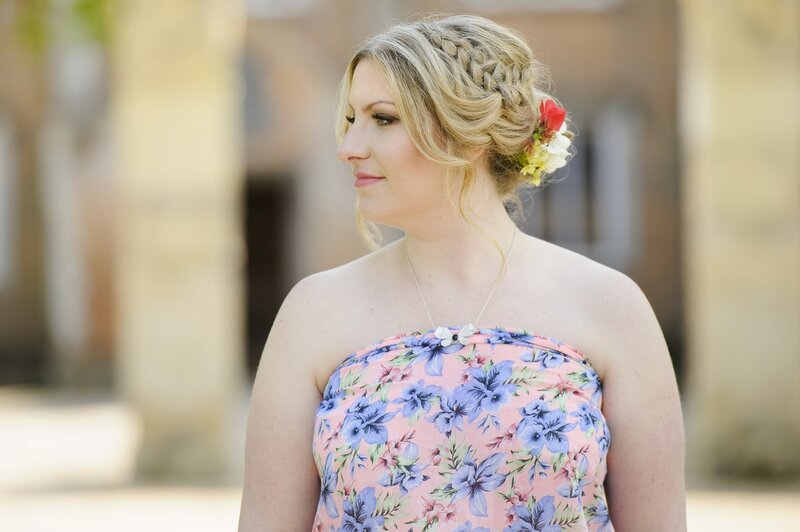 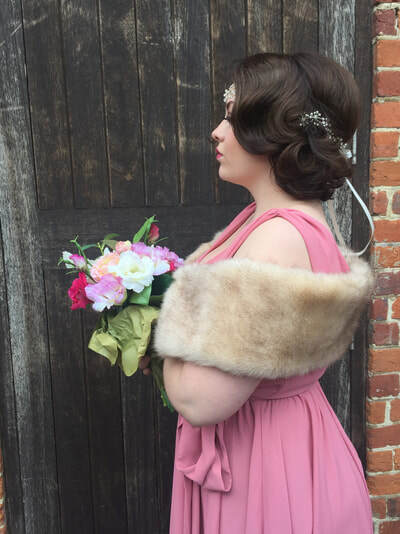 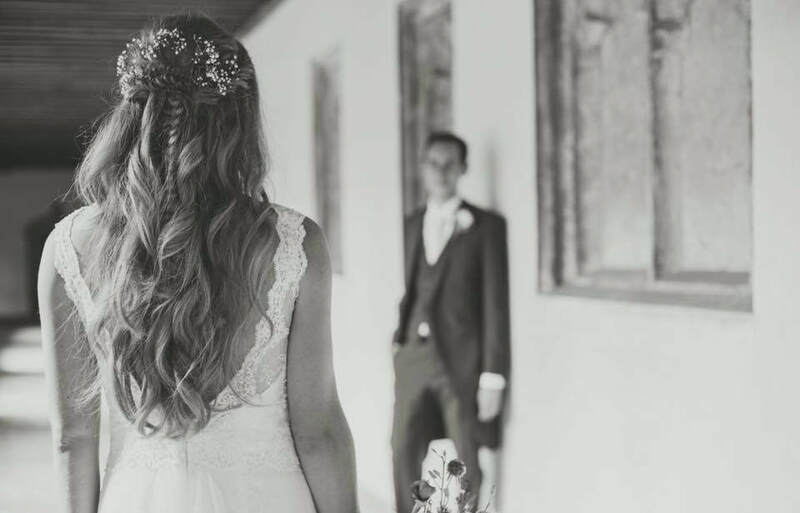 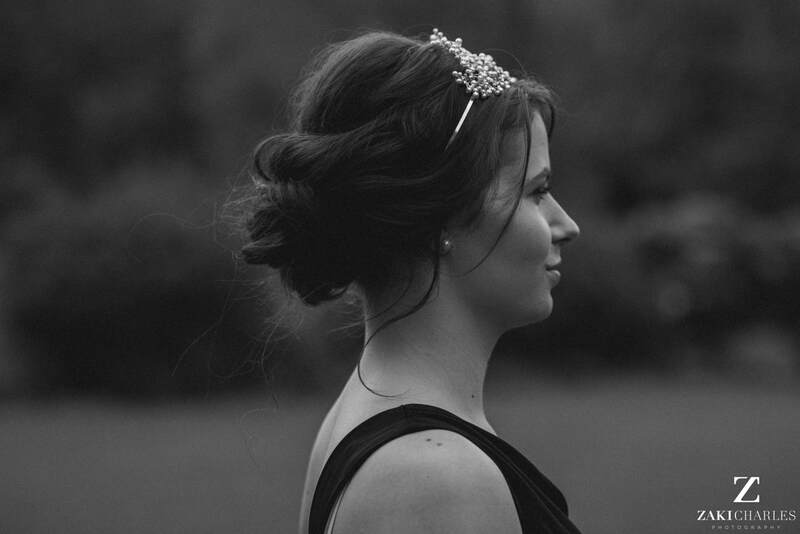 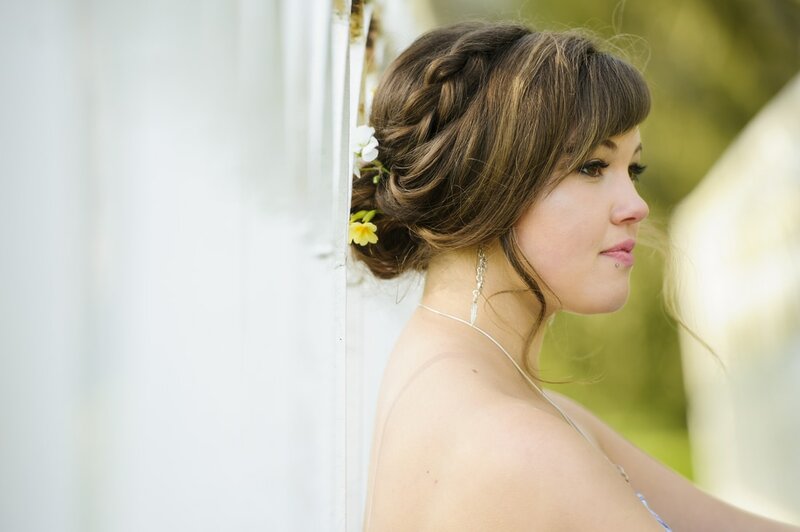 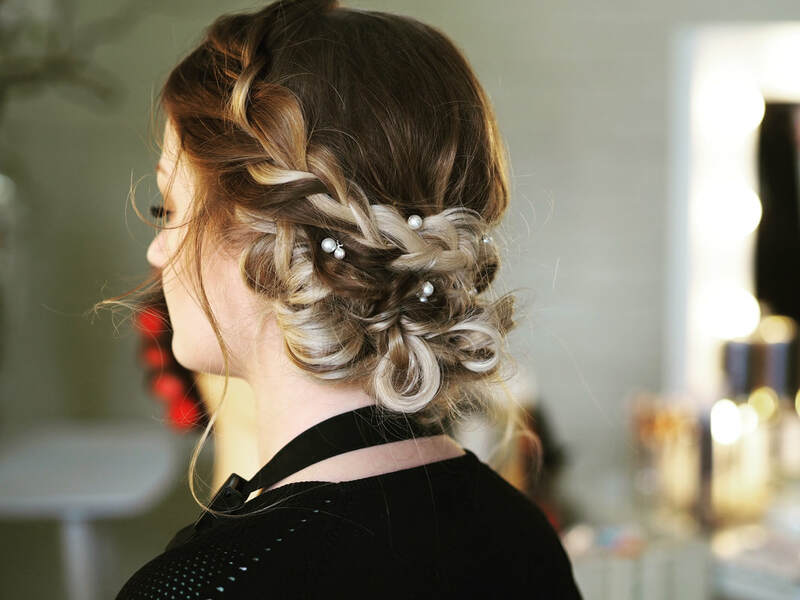 Jodie is fully equipped with the full skillset needed to be respected as a Wedding Hair & Makeup Specialist. 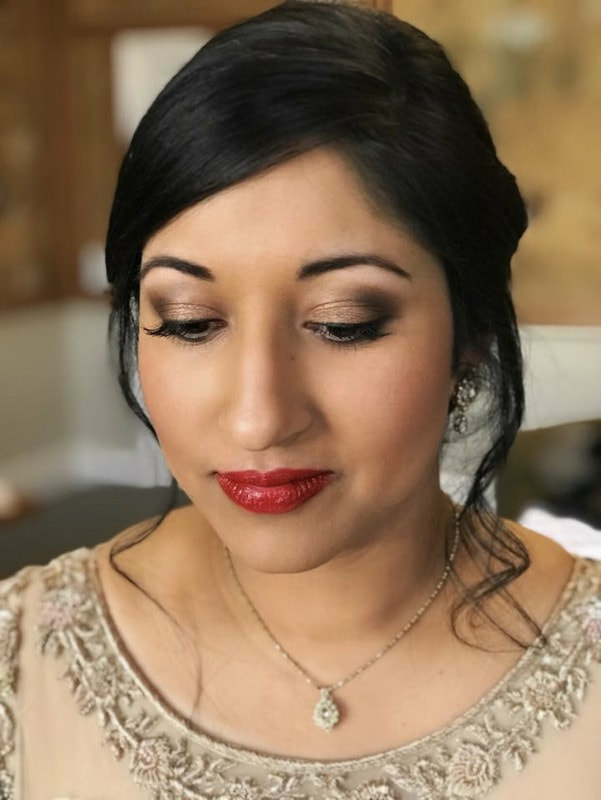 'Melissa originally trained at The London School of Make-up, qualifying in bridal, photographic and media hair and makeup. 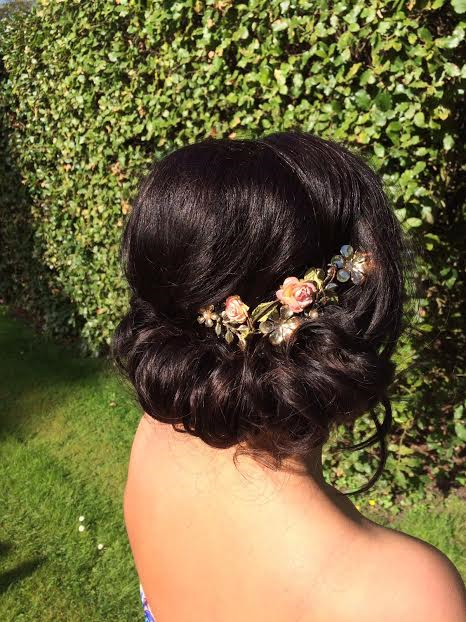 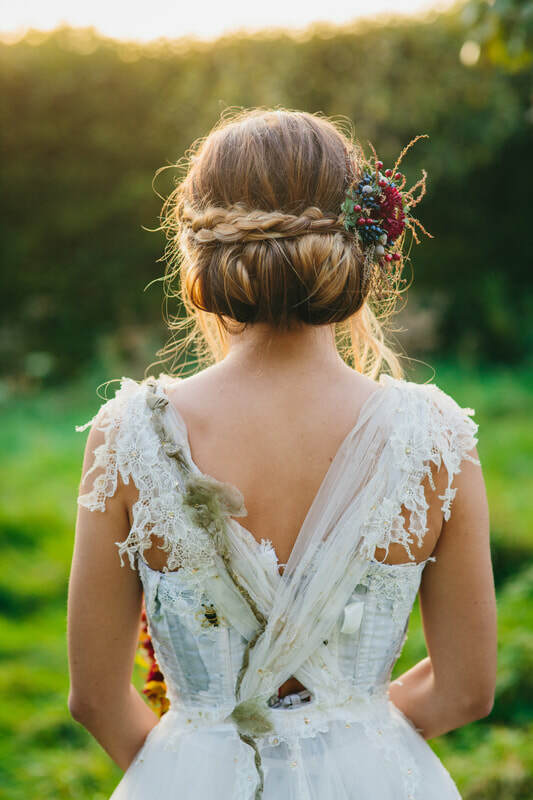 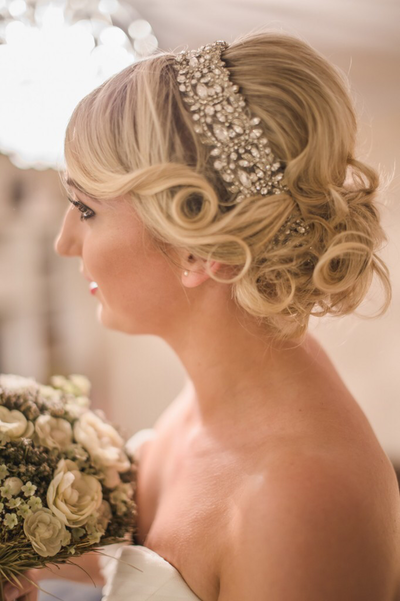 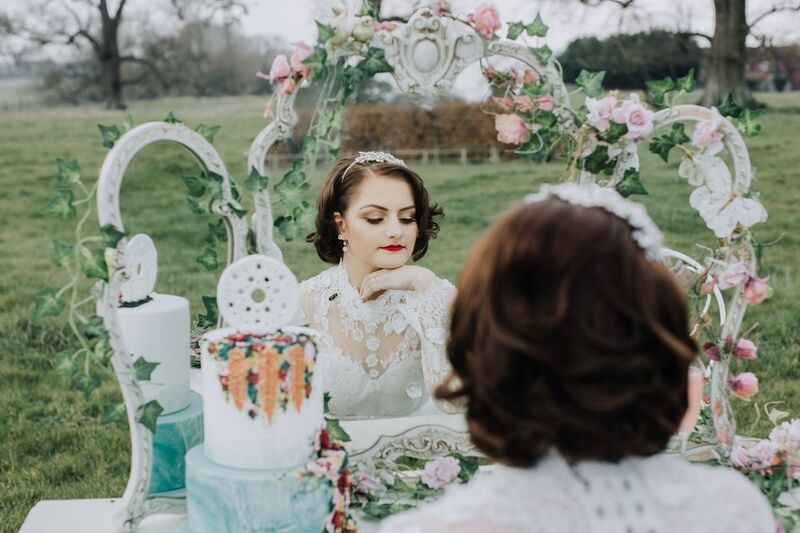 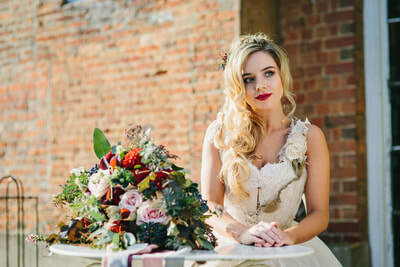 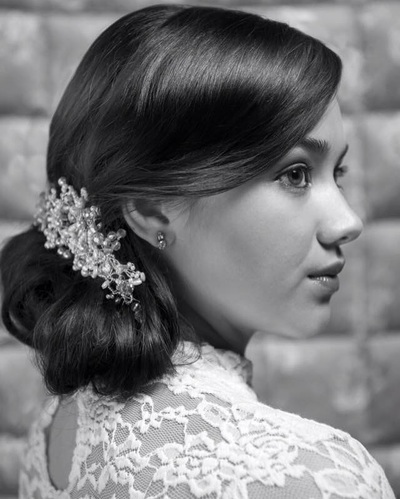 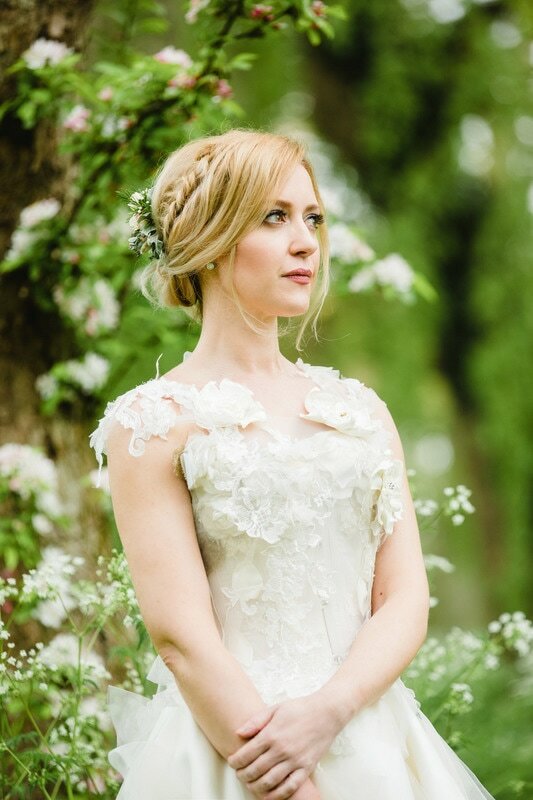 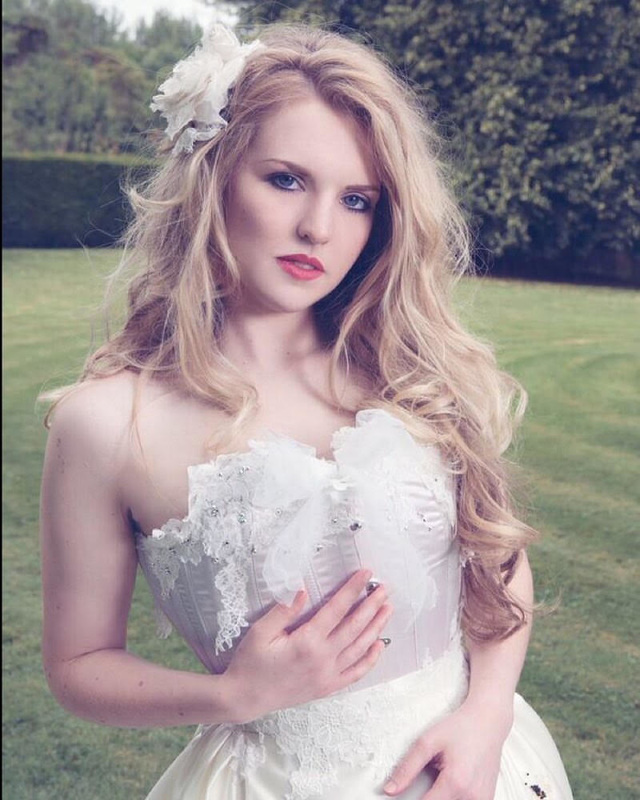 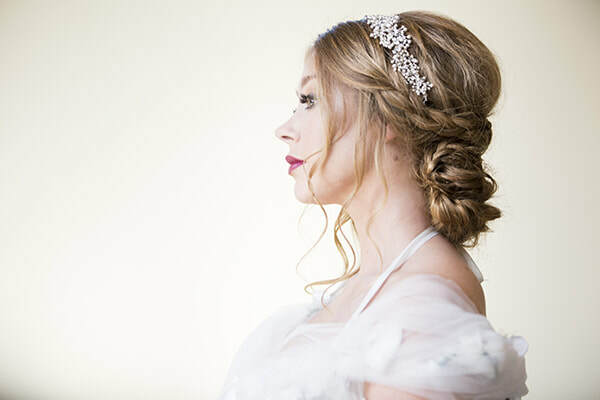 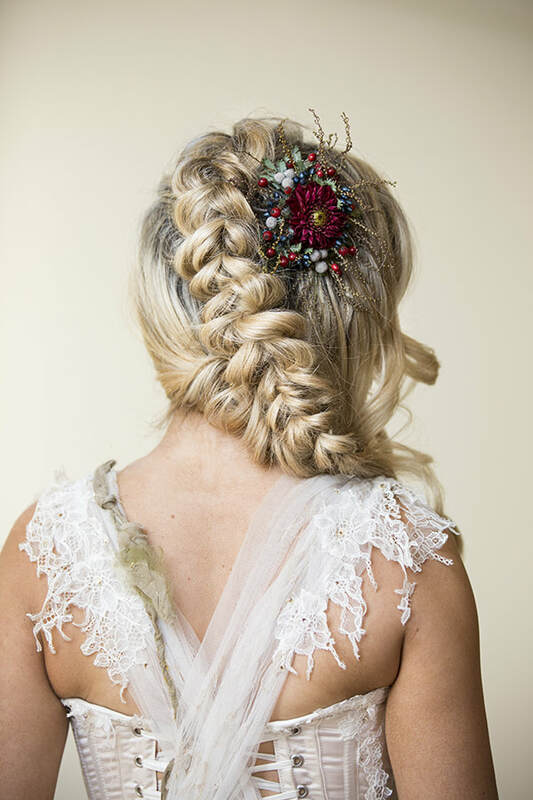 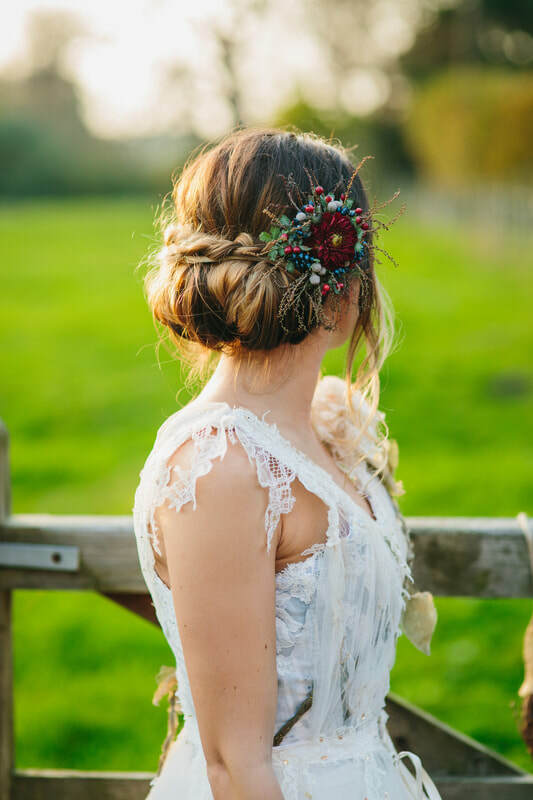 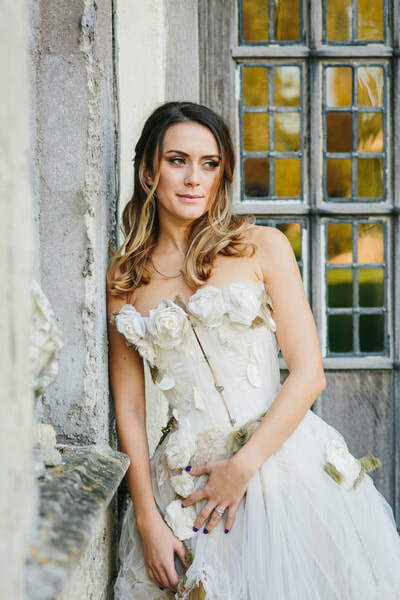 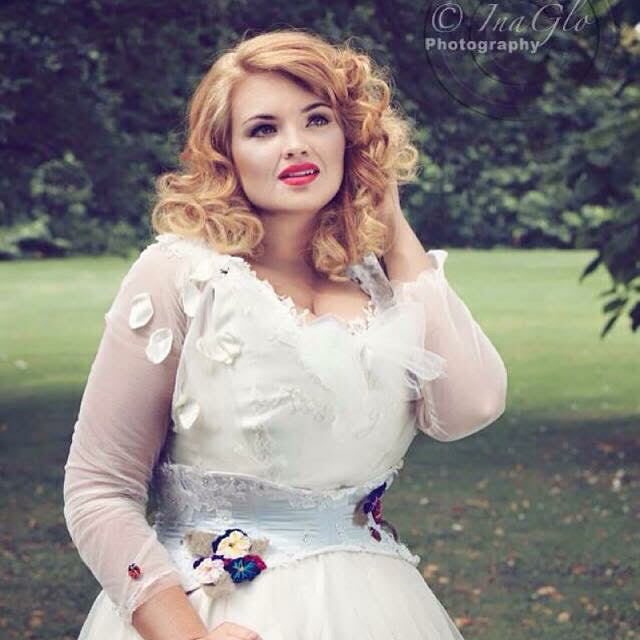 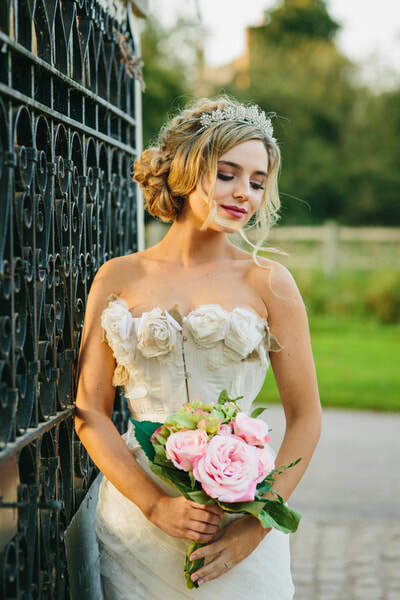 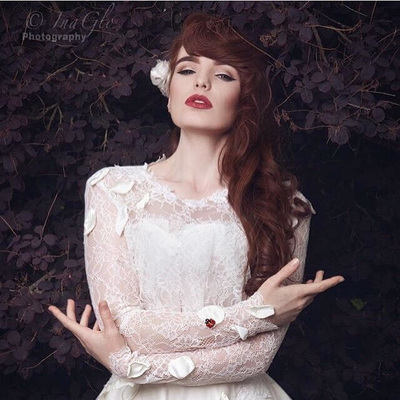 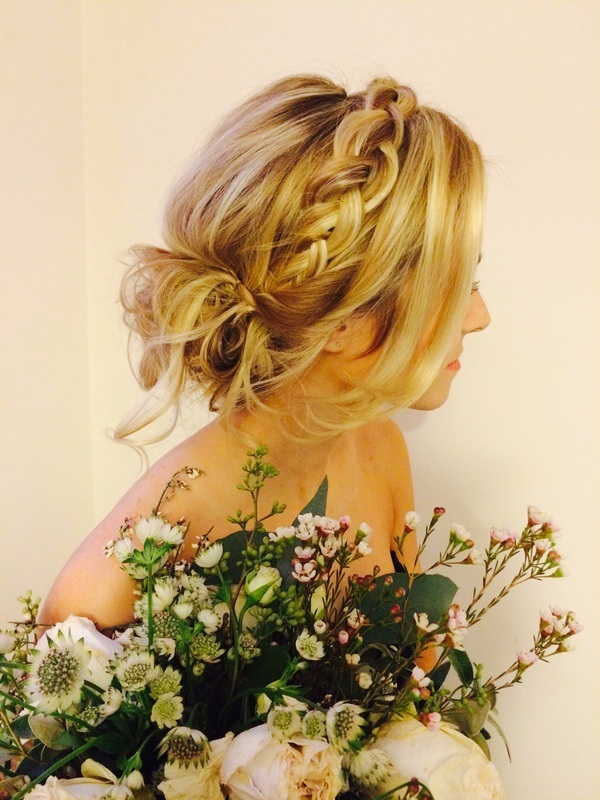 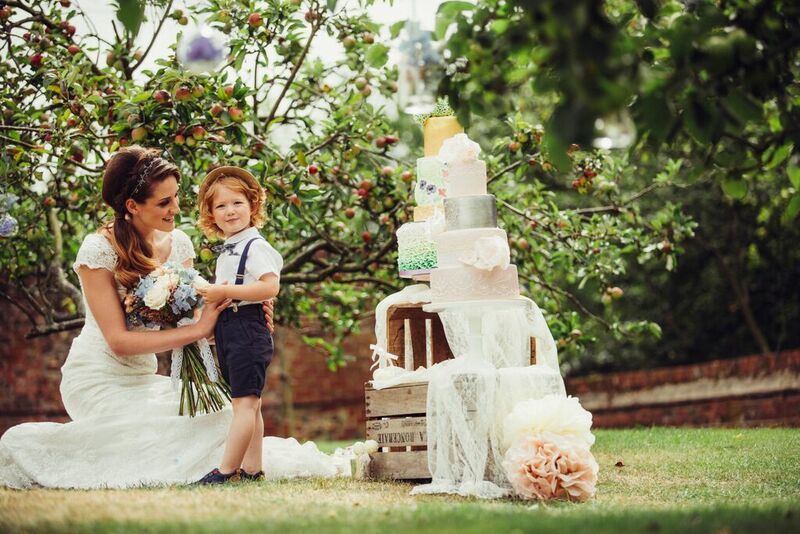 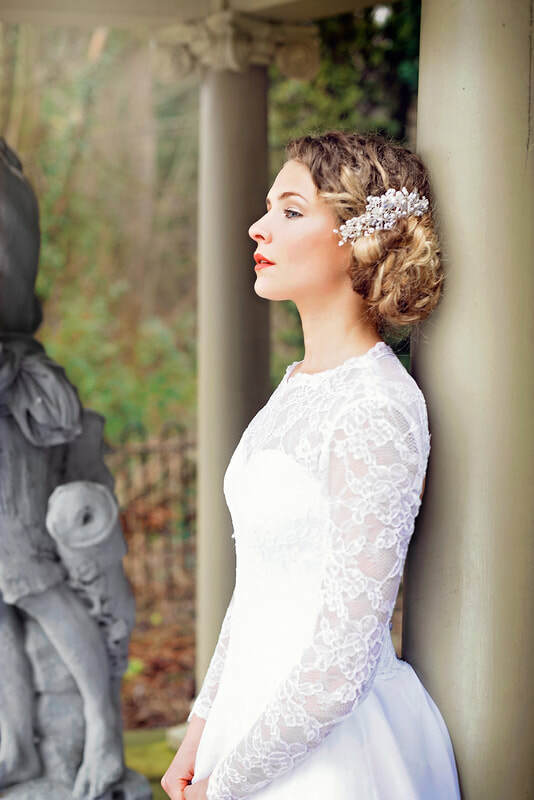 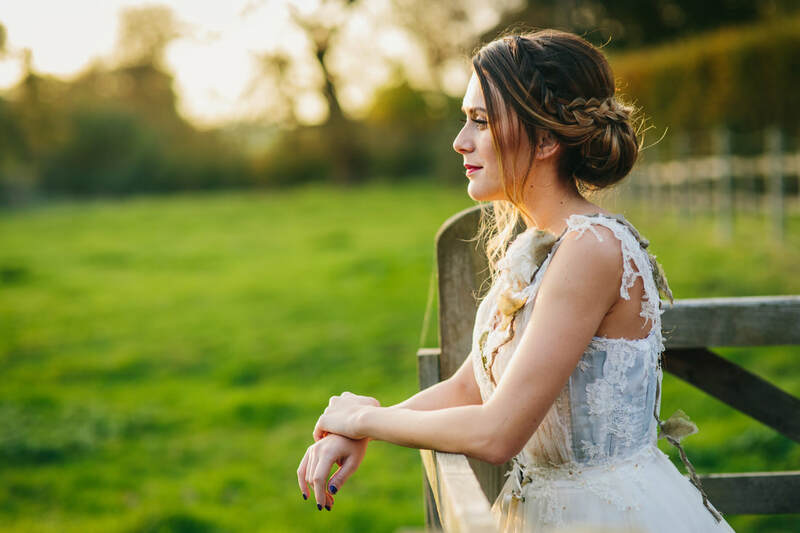 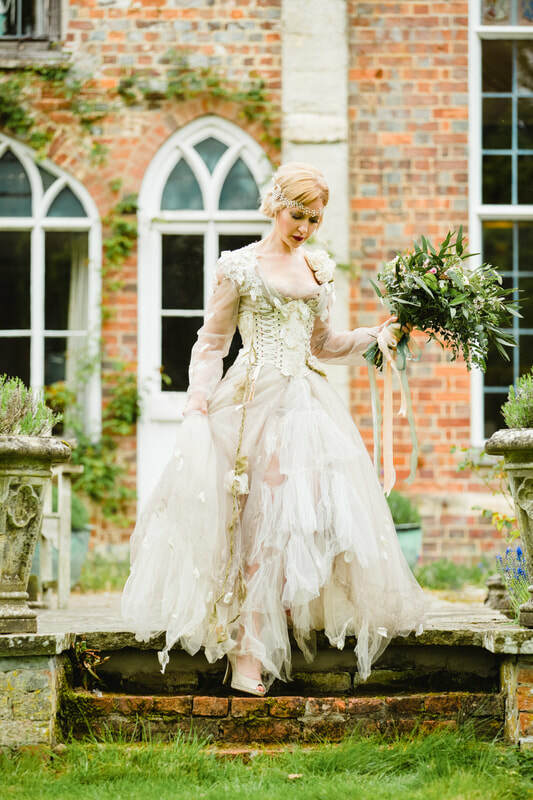 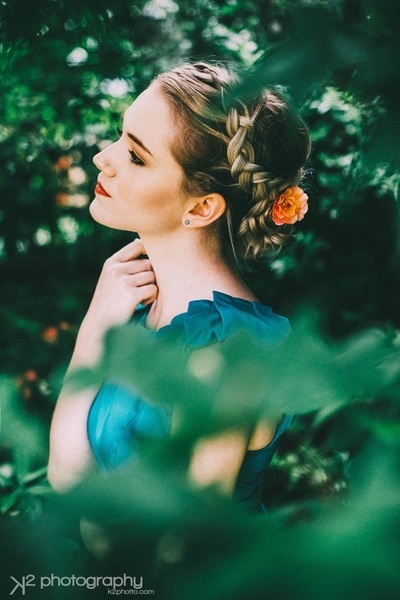 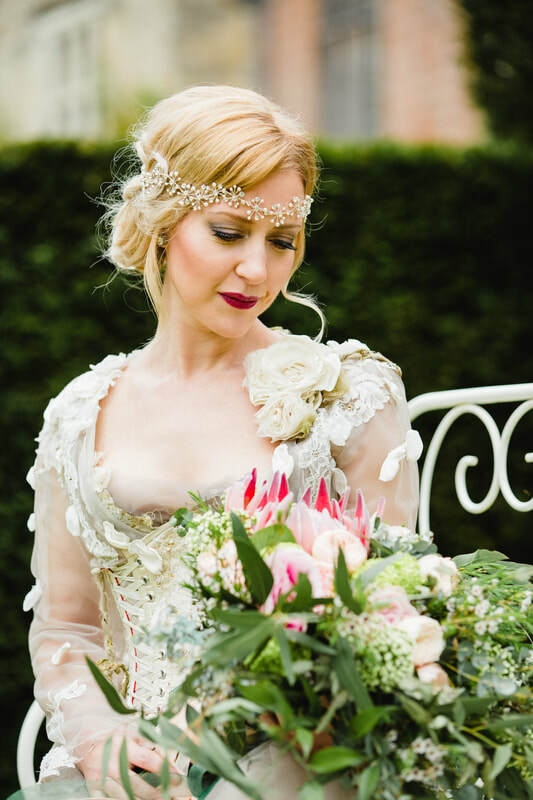 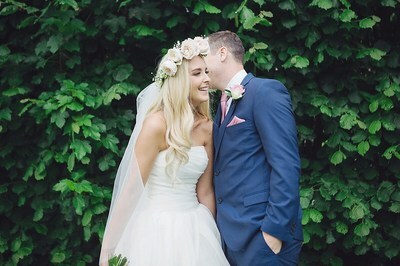 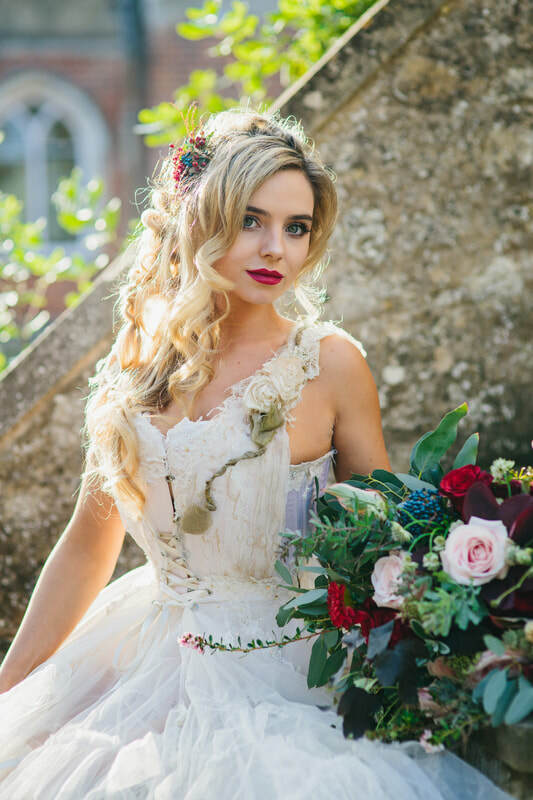 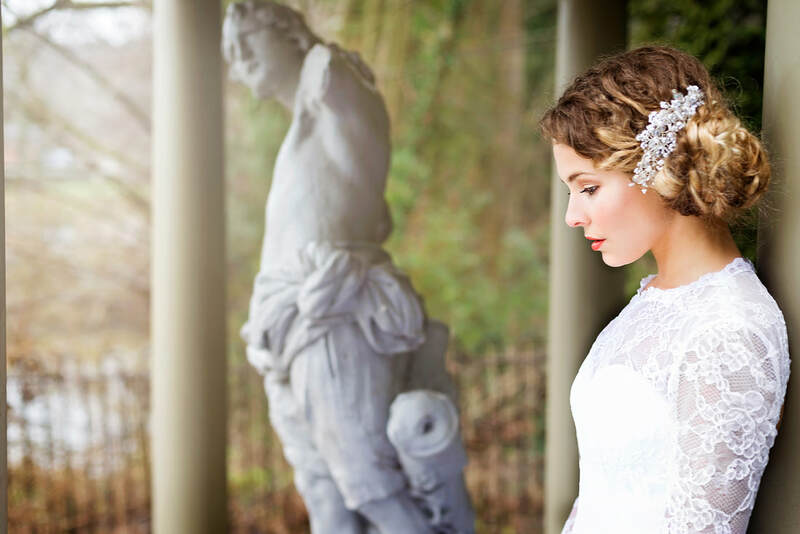 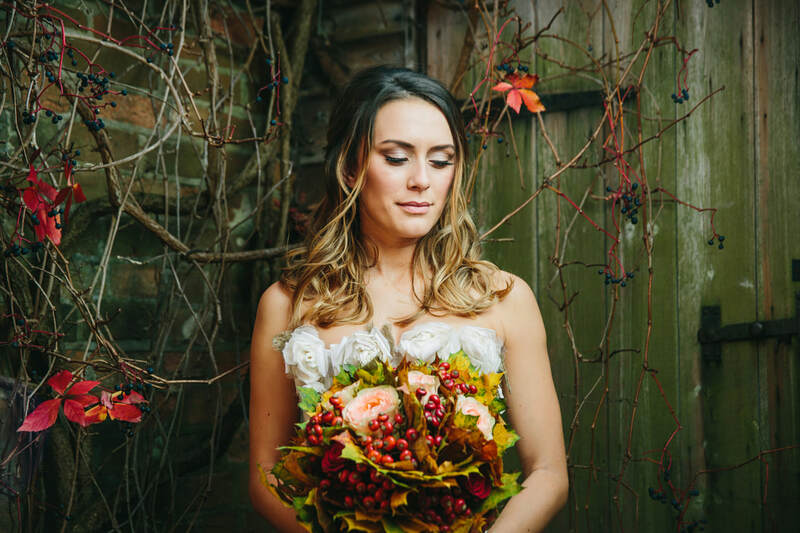 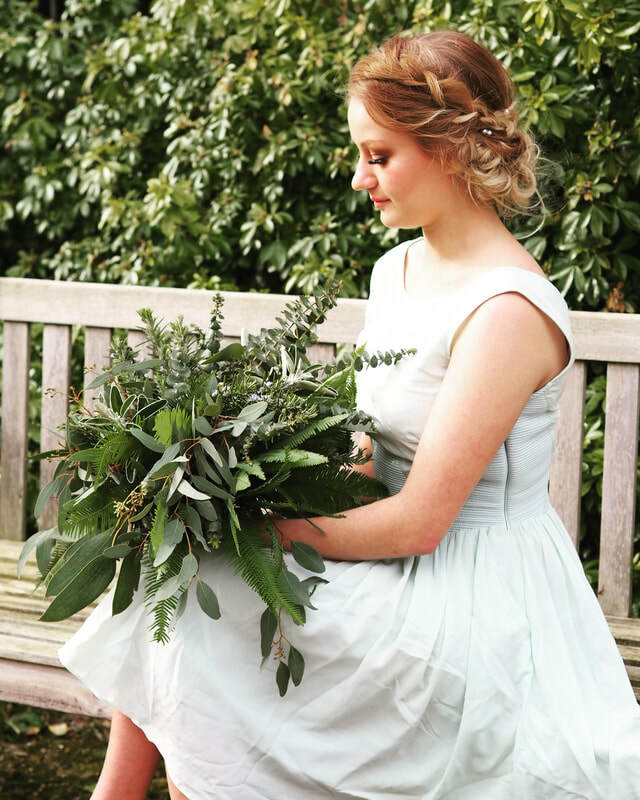 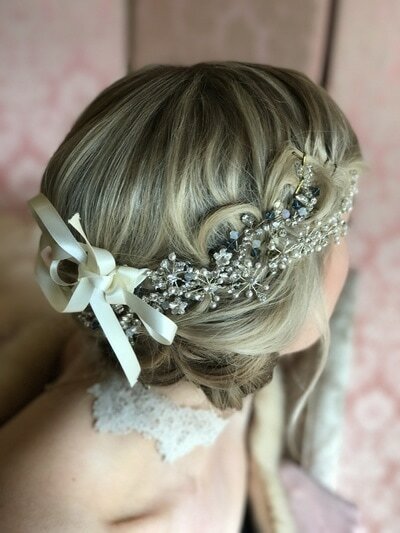 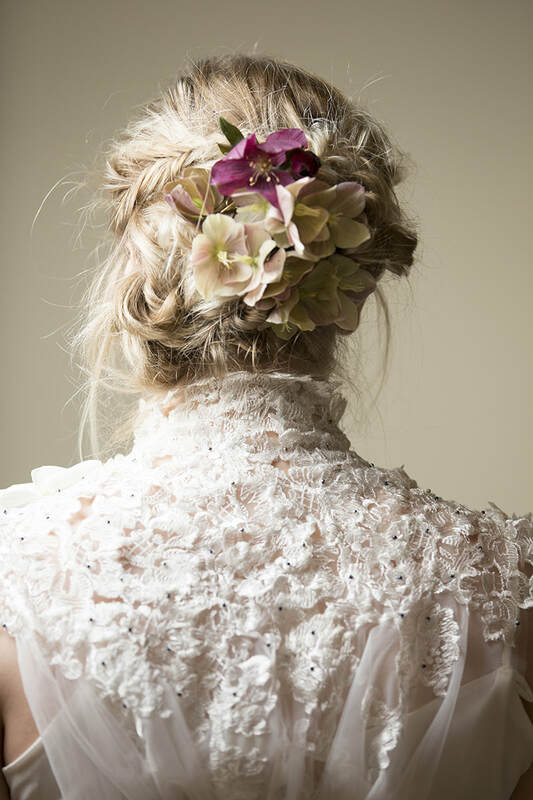 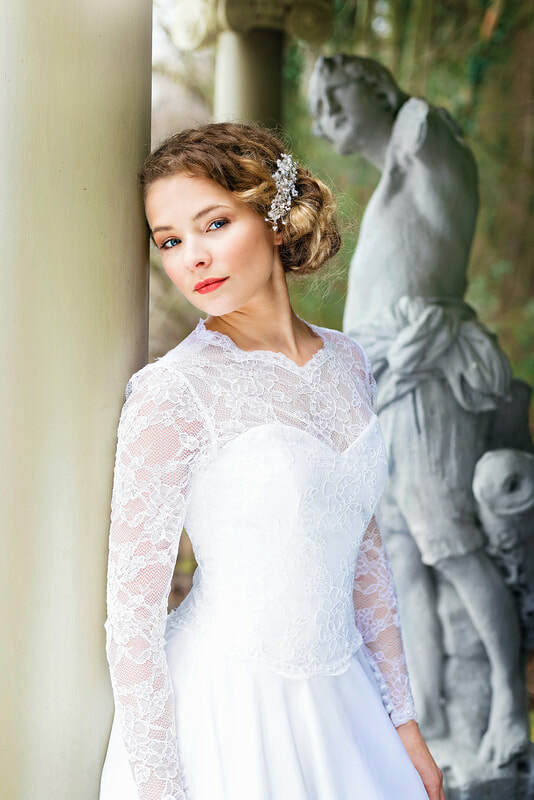 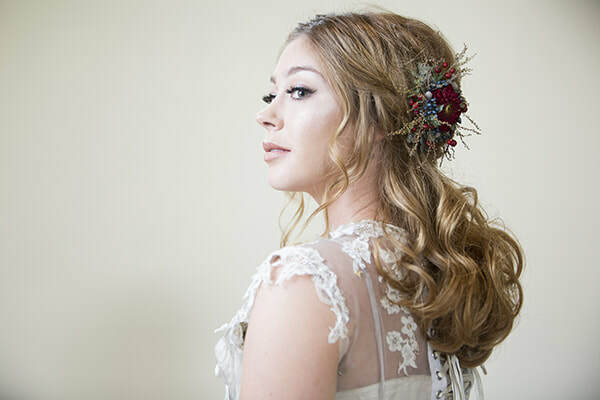 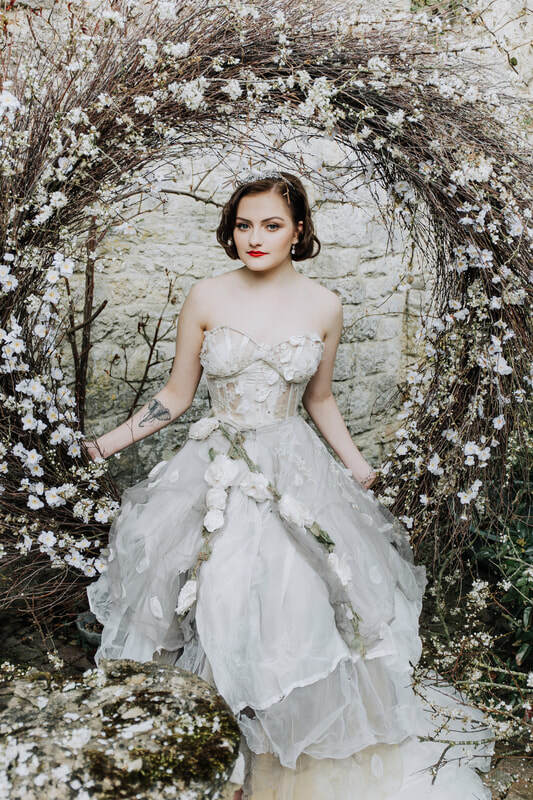 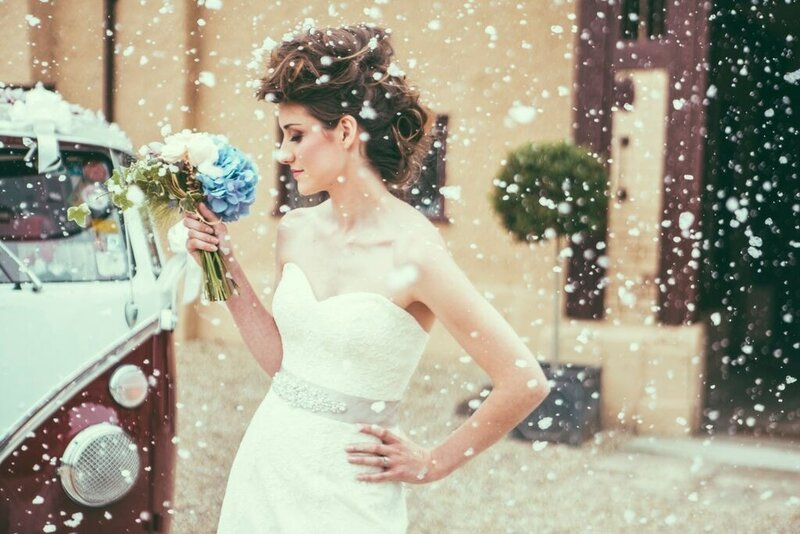 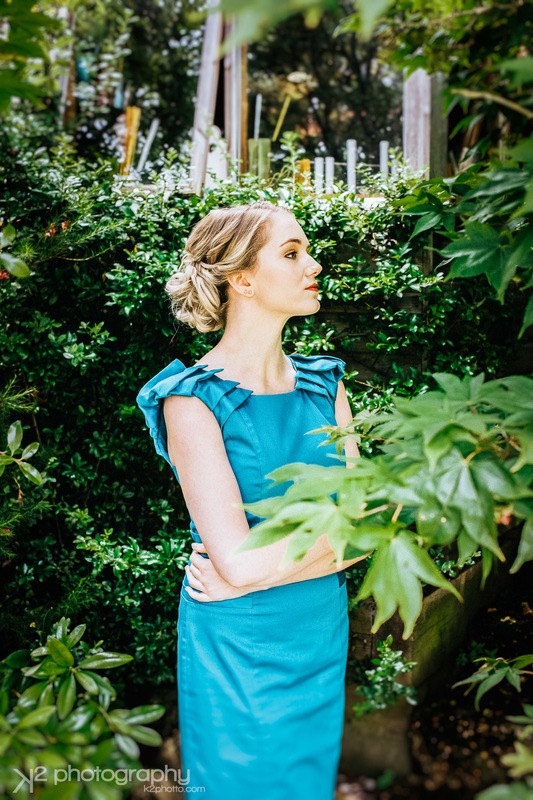 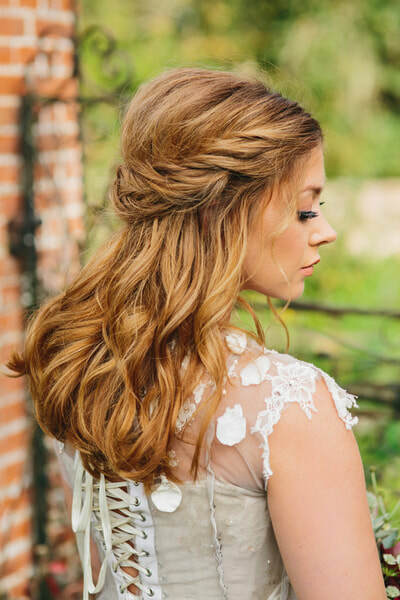 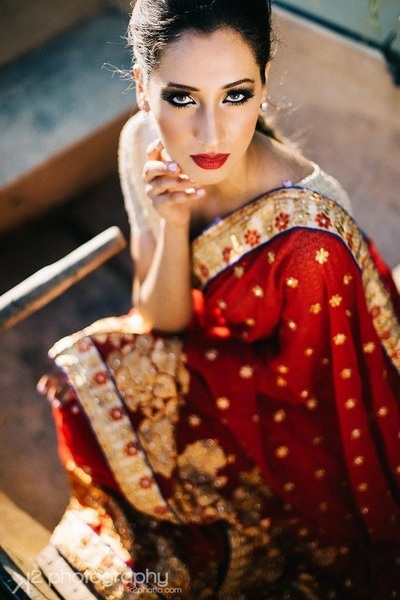 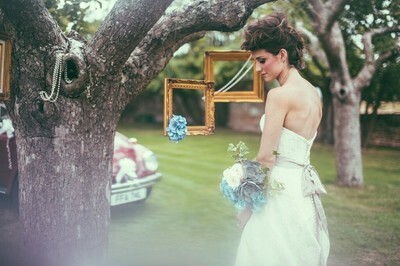 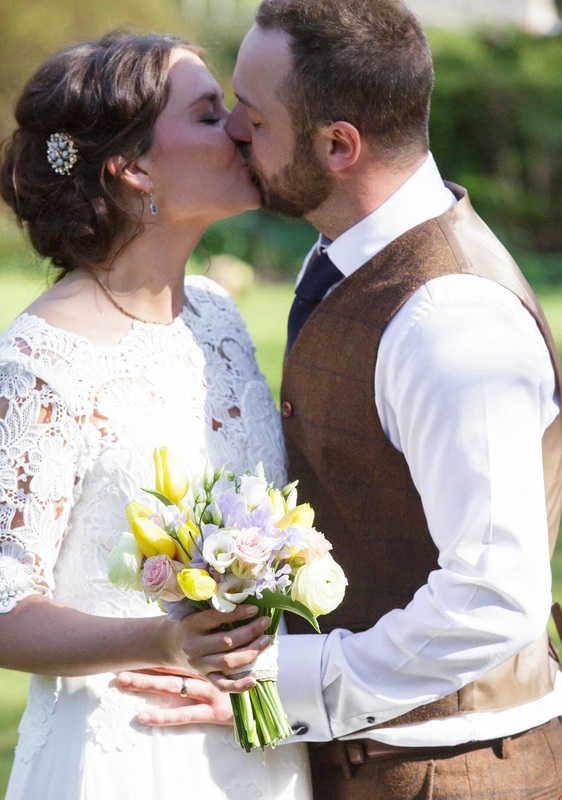 As her career progressed she found her love for bespoke bridal hair and makeup styling. 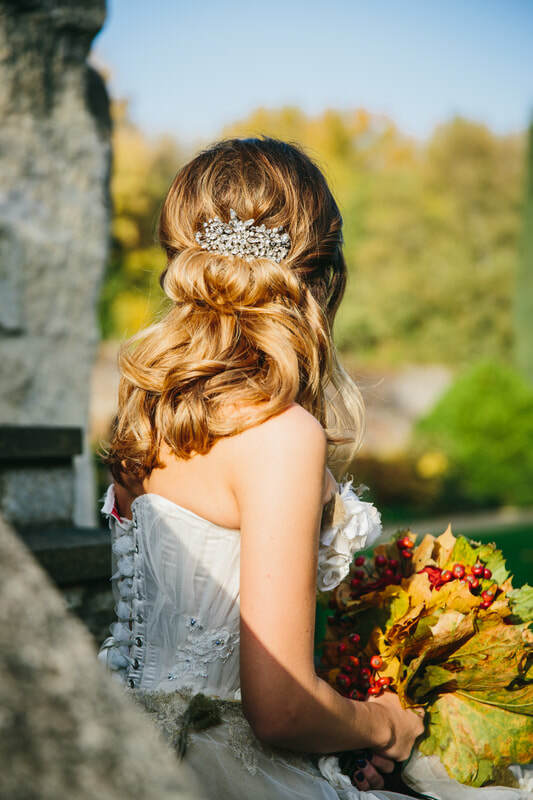 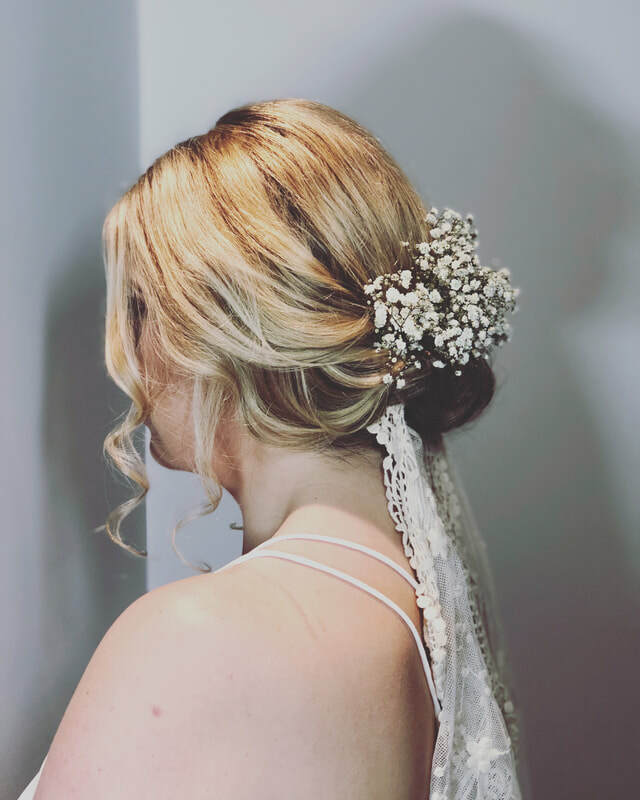 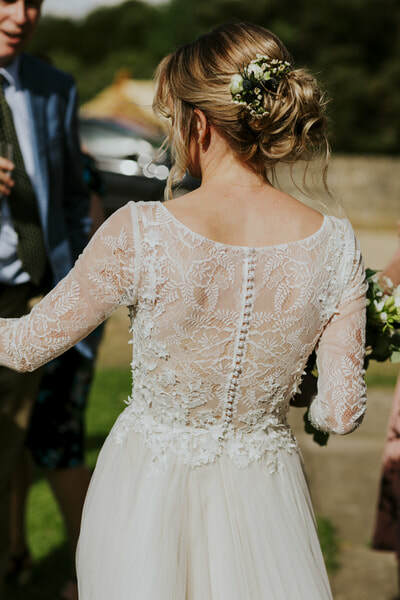 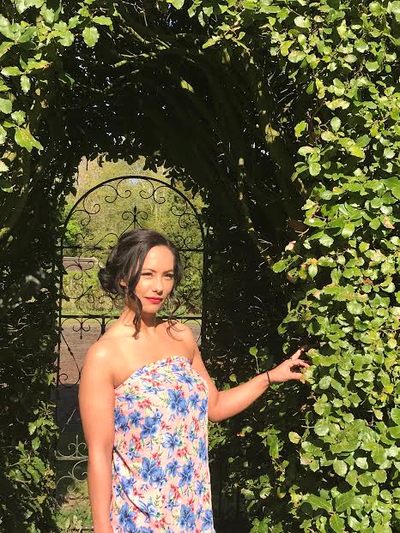 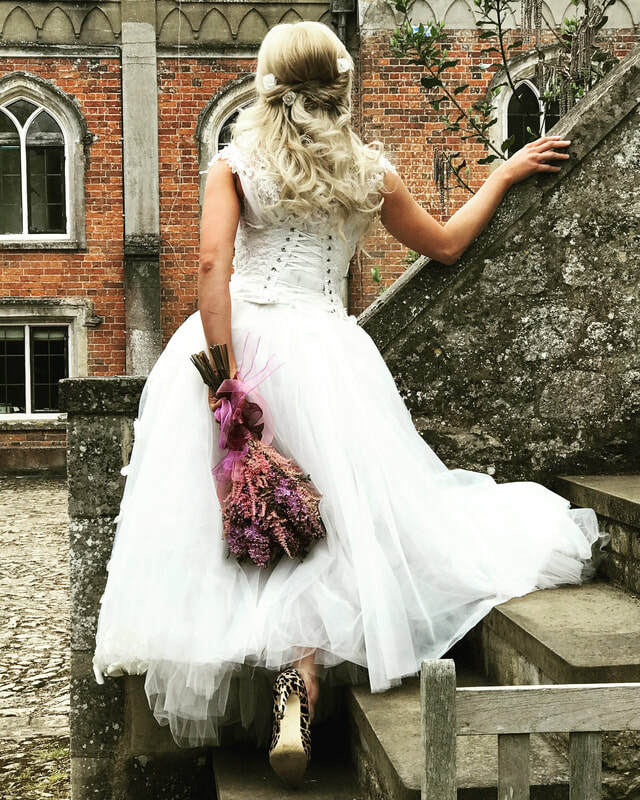 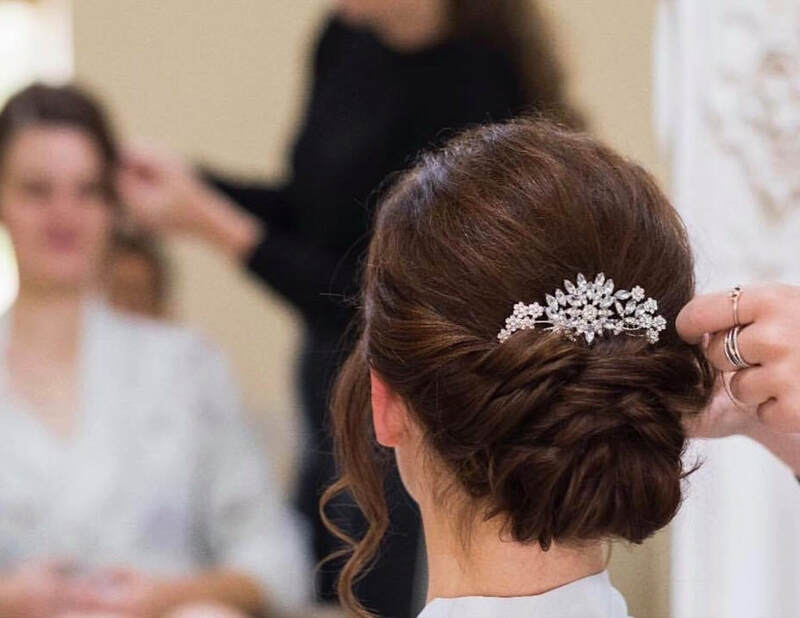 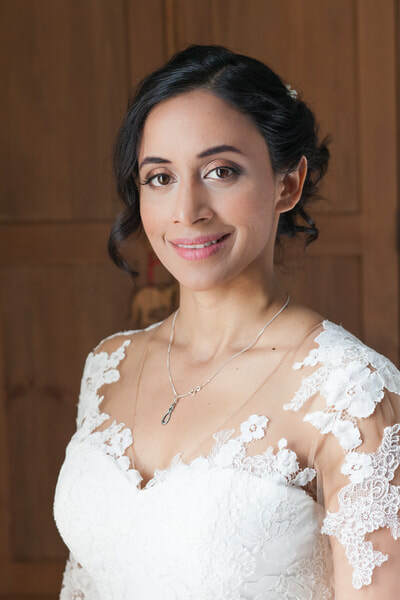 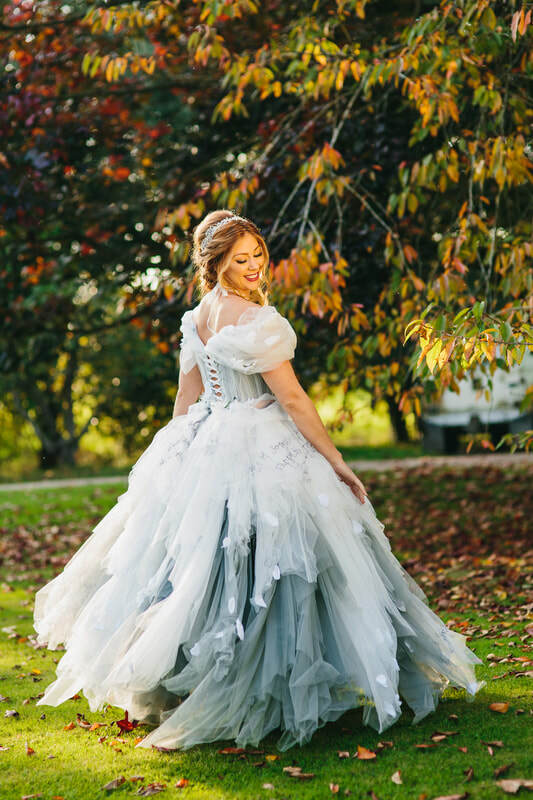 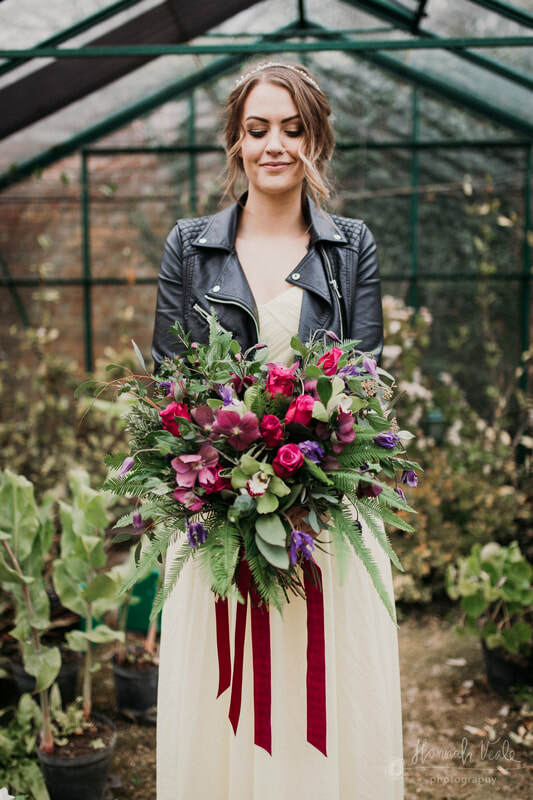 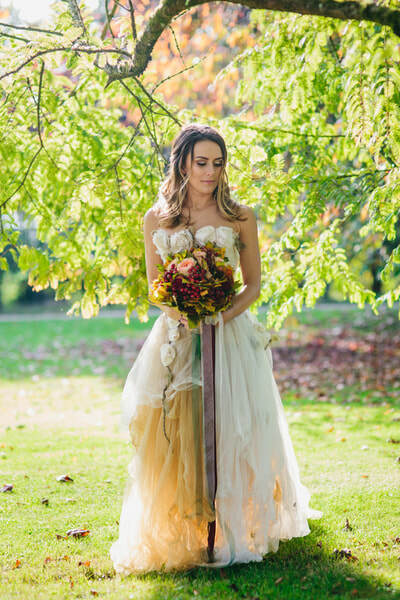 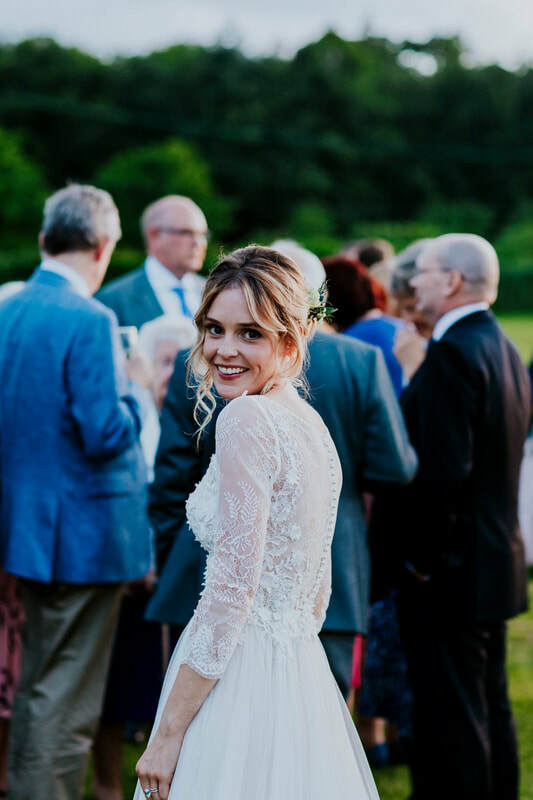 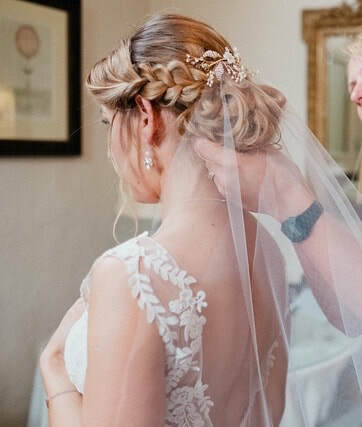 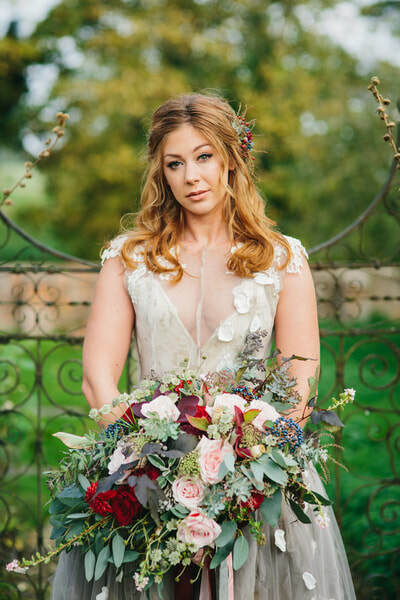 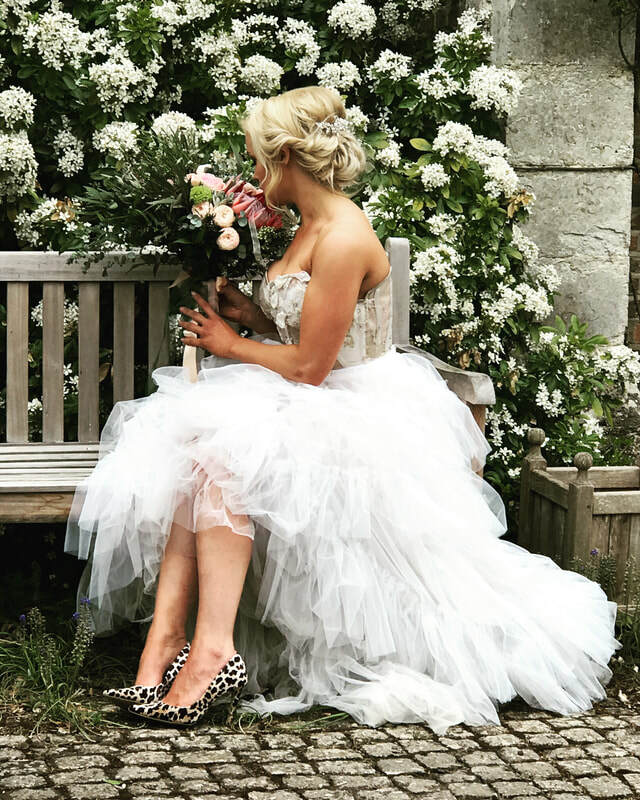 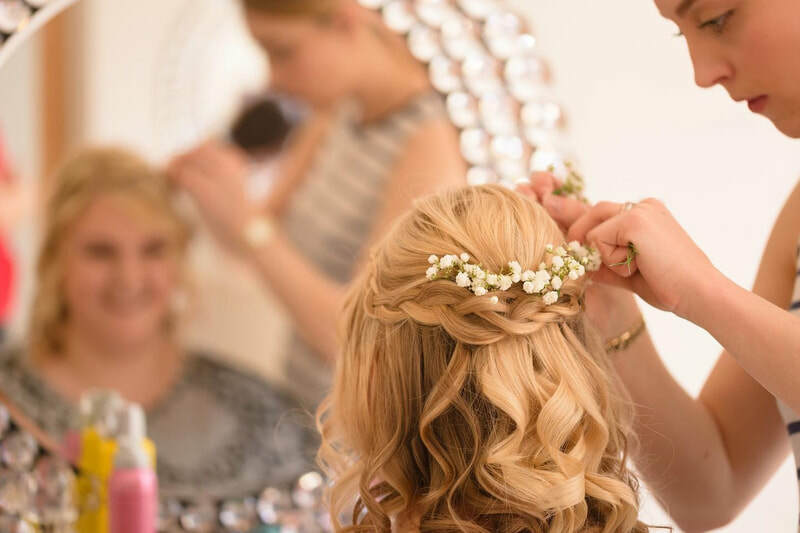 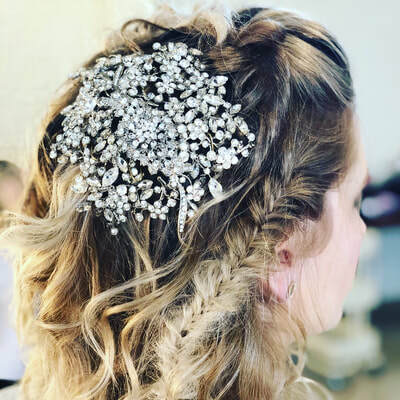 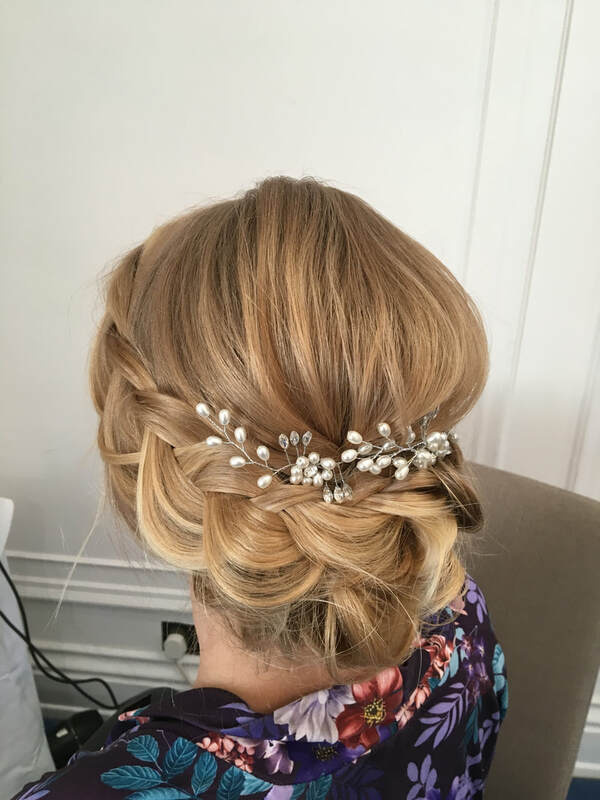 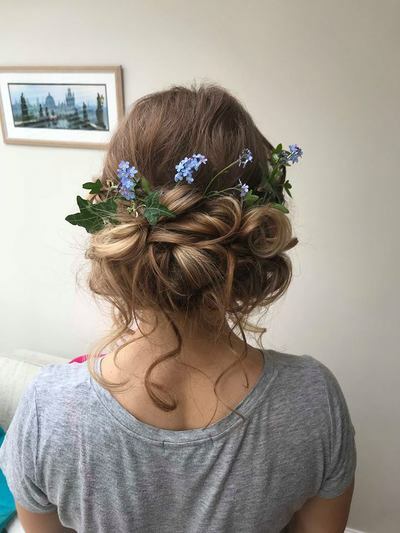 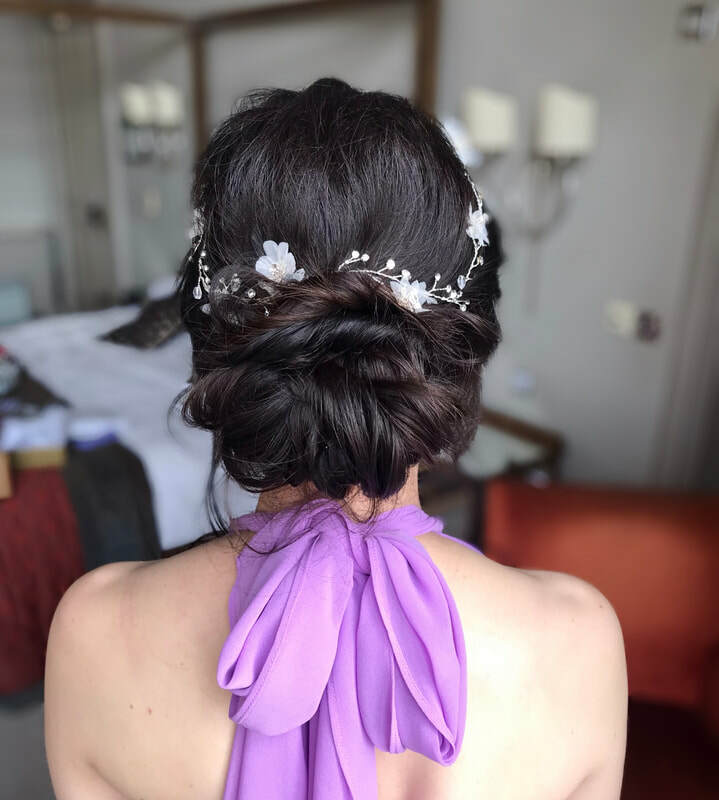 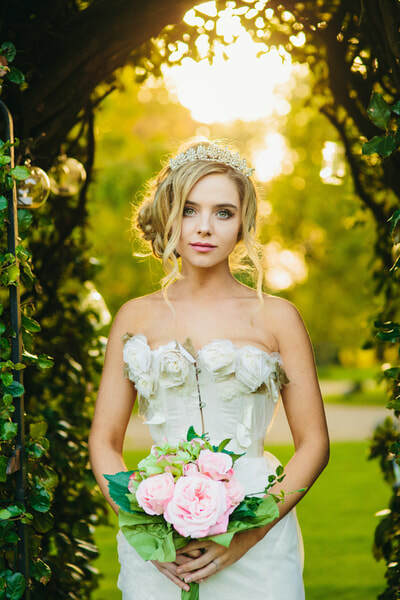 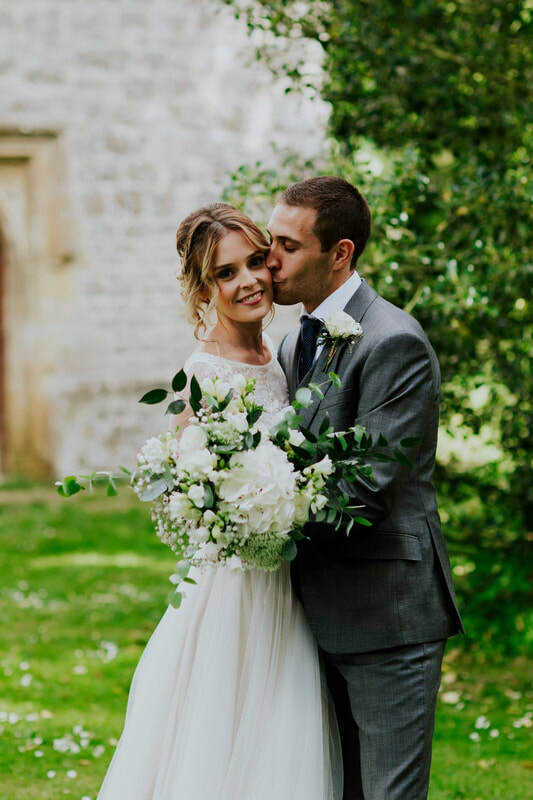 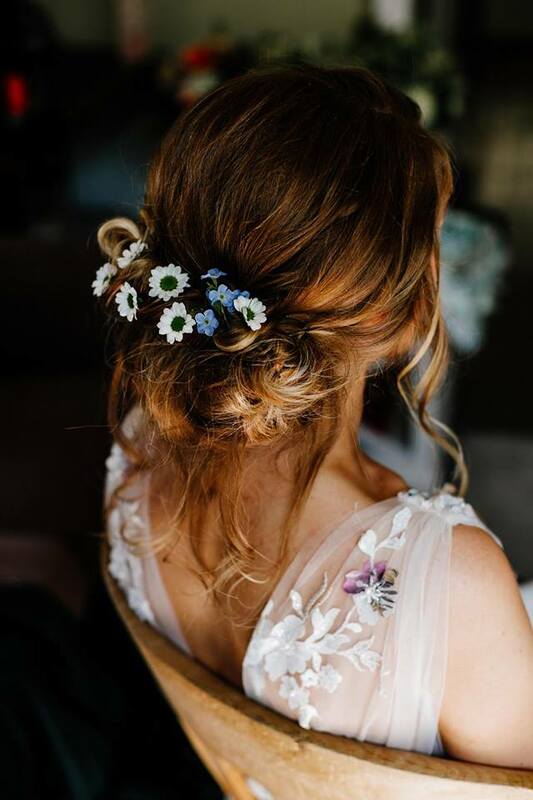 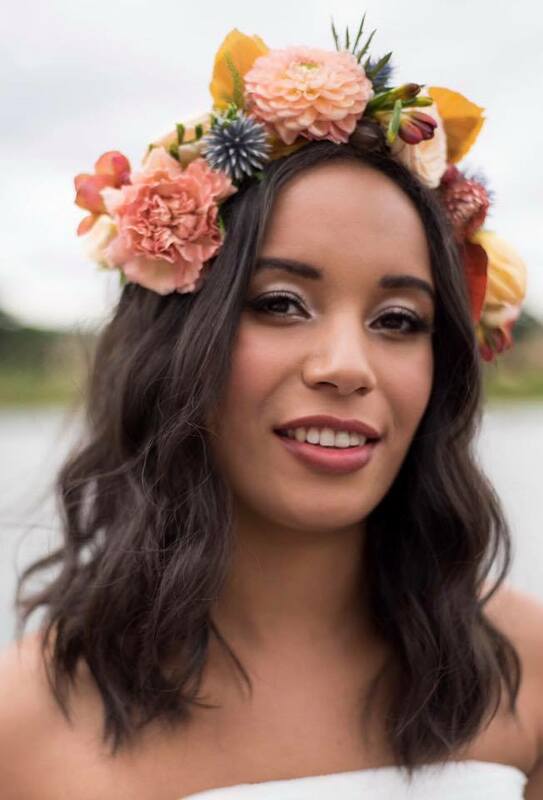 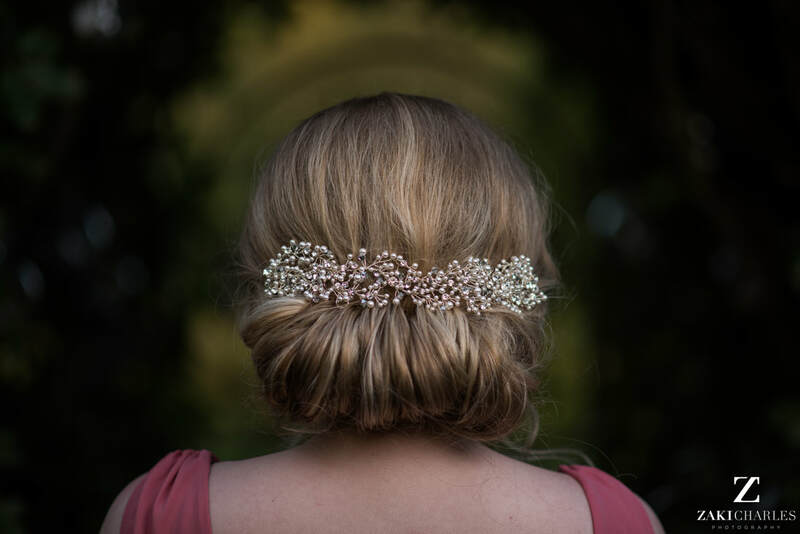 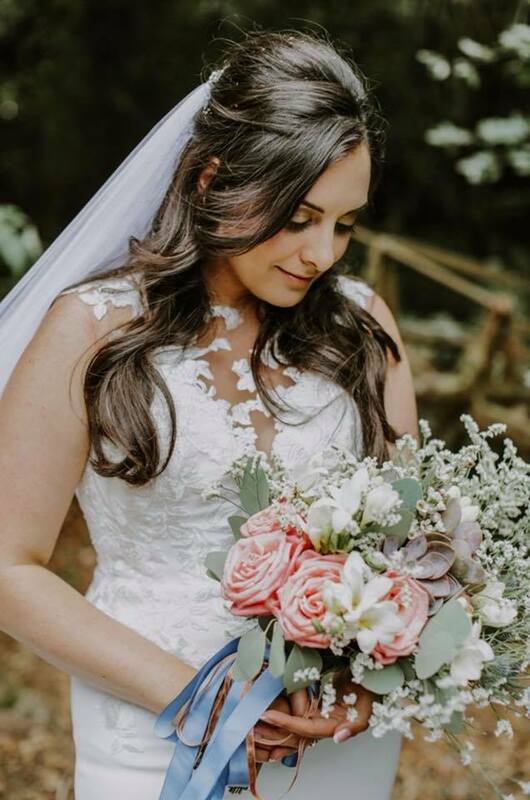 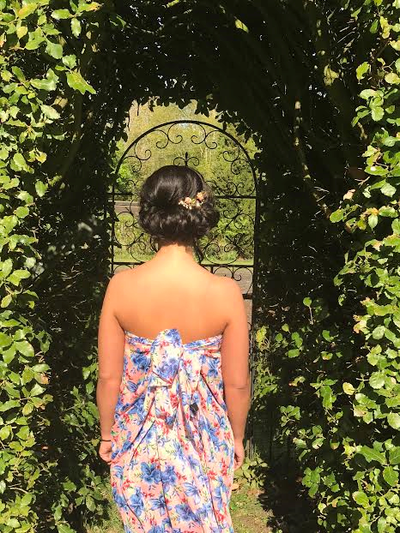 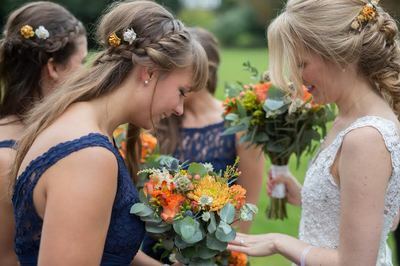 'Frankie is a bridal specialist with years of experience in the wedding industry, she is very talented with the passion and perfection of her work she is a high profile stylist. 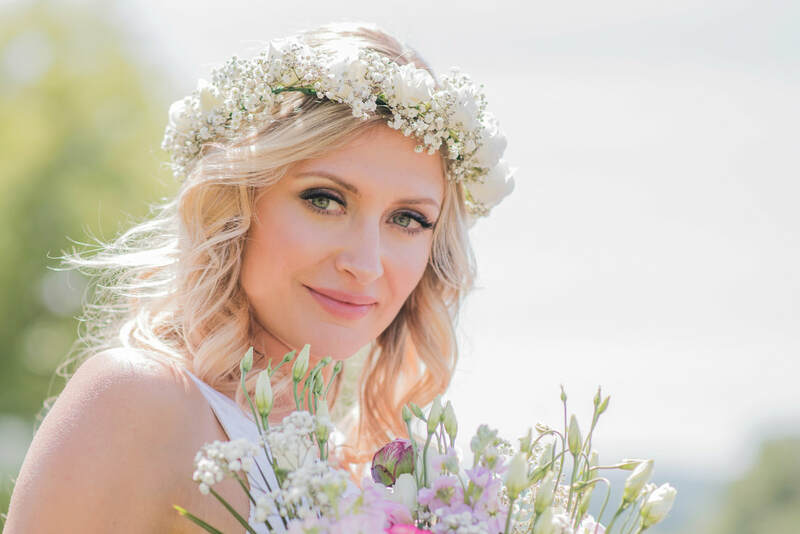 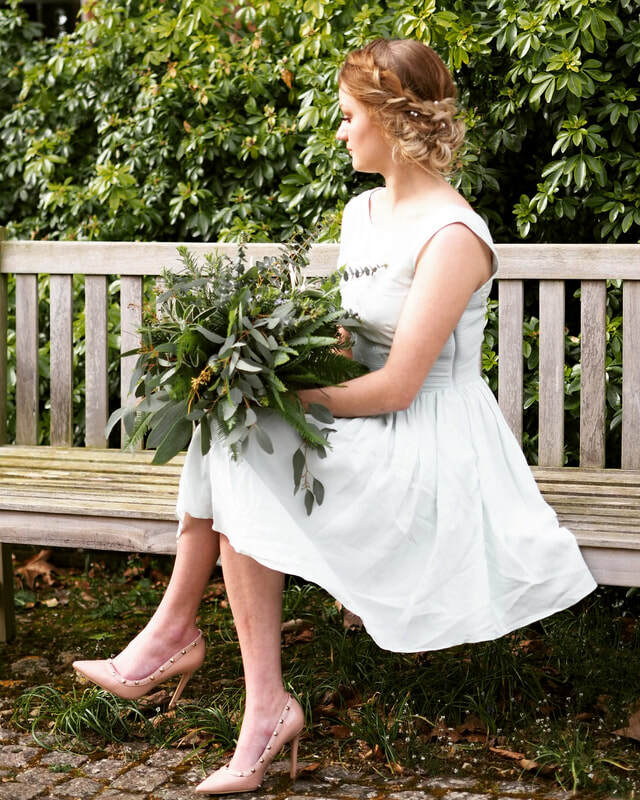 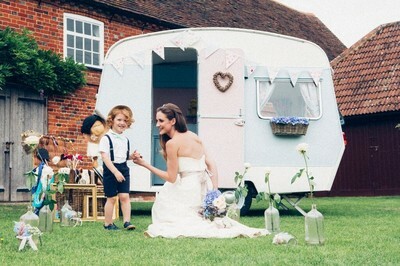 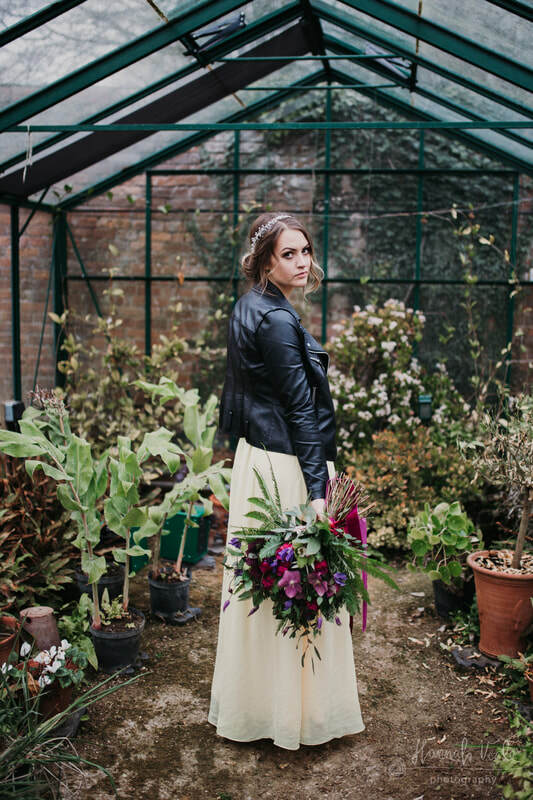 Frankie and Holly collaborate on bridal shoots and with bridal parties. 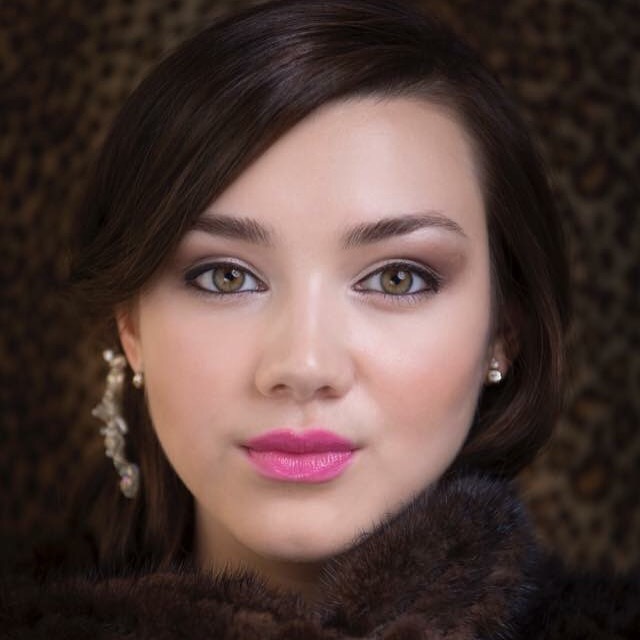 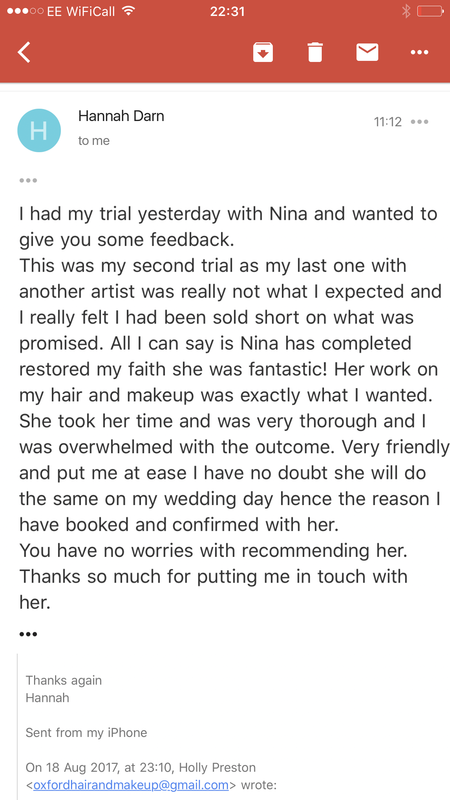 Nina is a certified Hair & Makeup Artist professionally trained by Blushhour Academy in Dusseldorf, Germany. 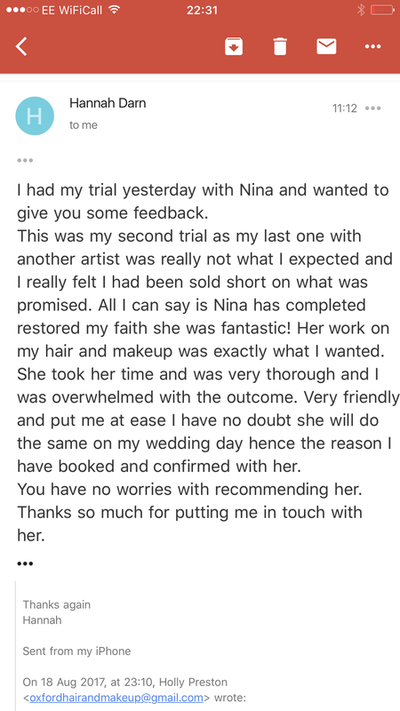 Nina has a trained eye for precision hair and makeup styling giving her a high profile reputation working regularly on photoshoots, film sets and fashion shows. 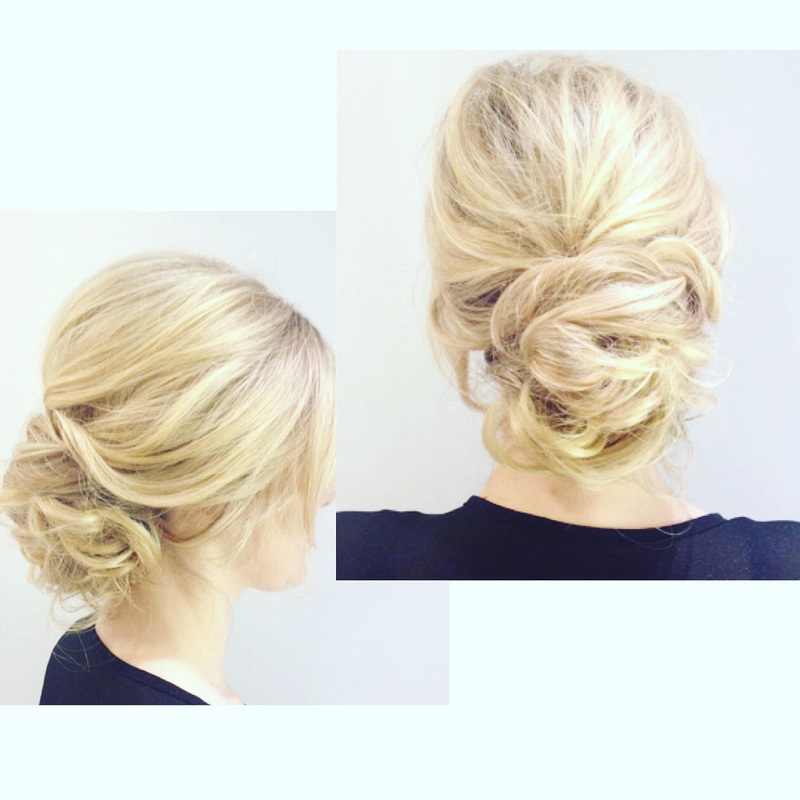 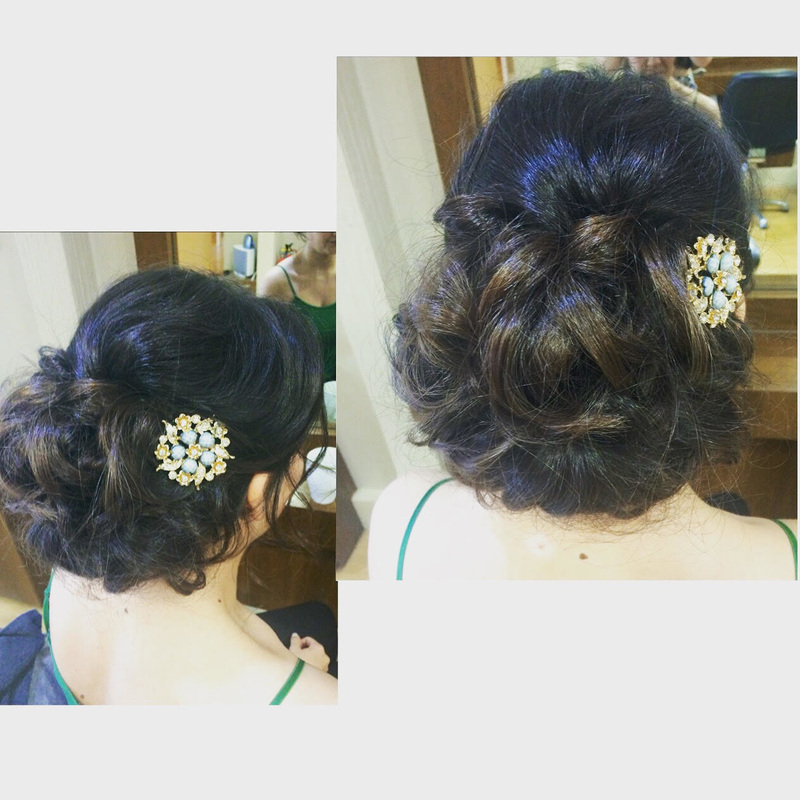 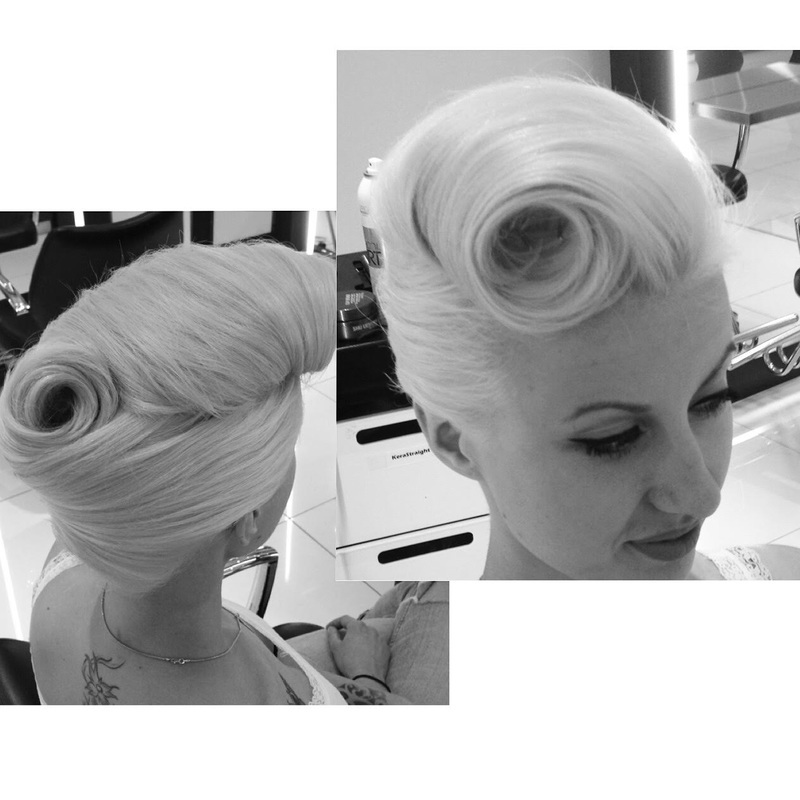 With this skill set it enables Nina to create a look complementing any occasion and any personal preference. 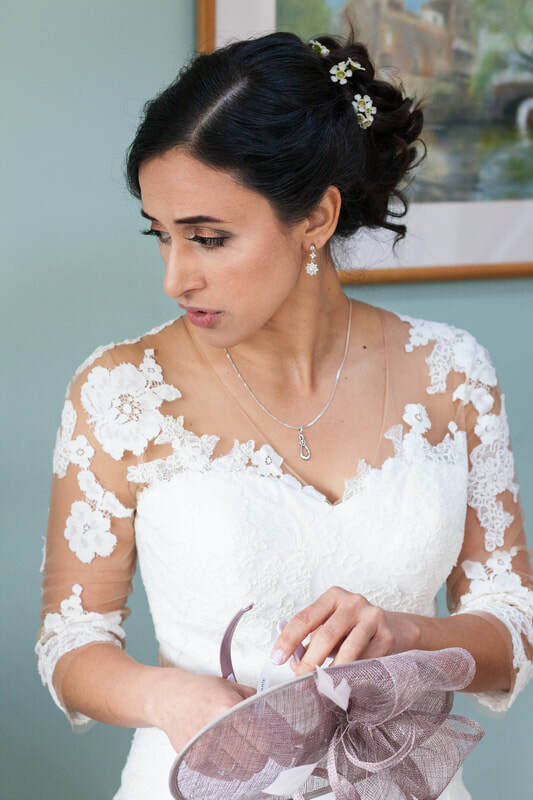 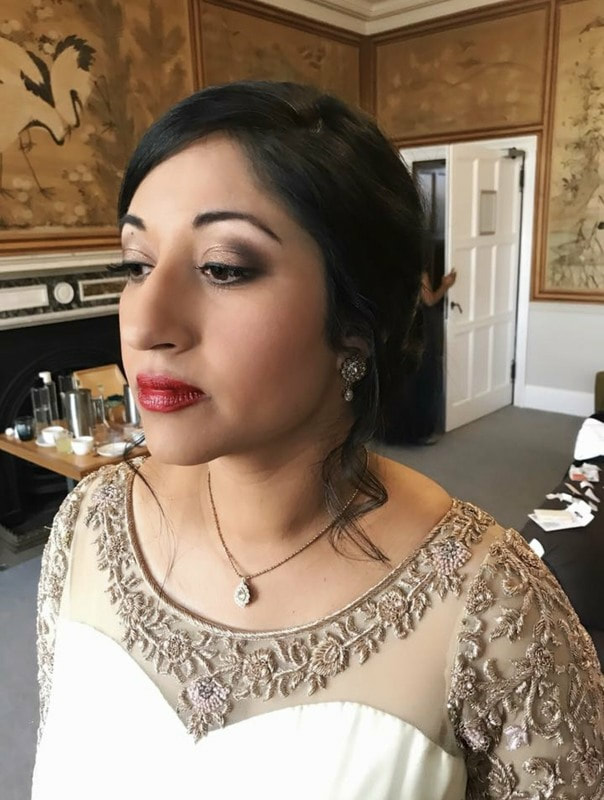 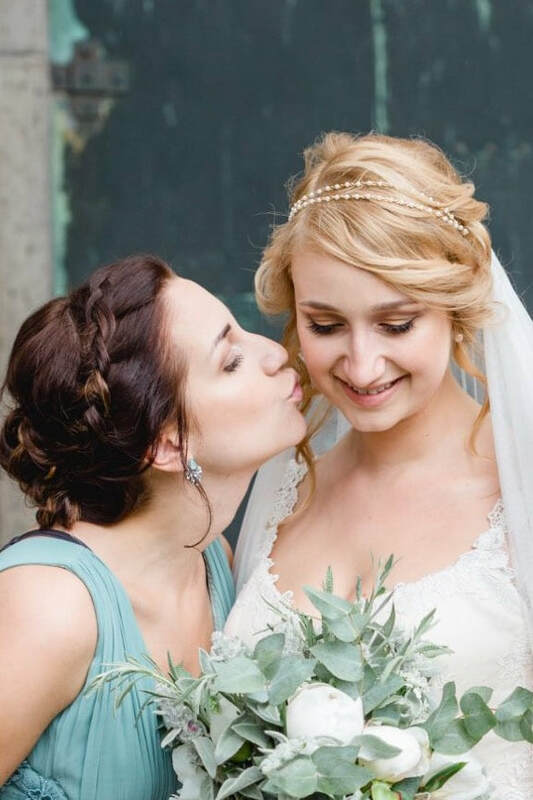 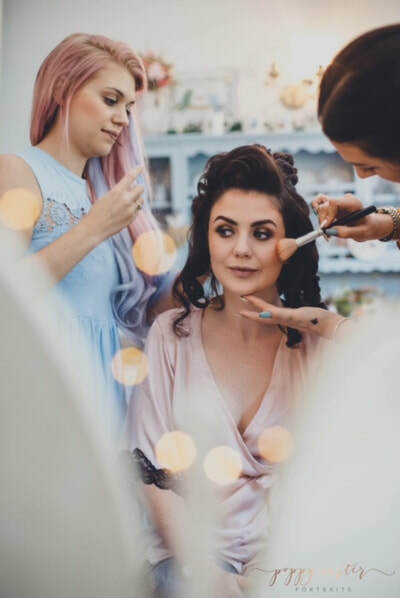 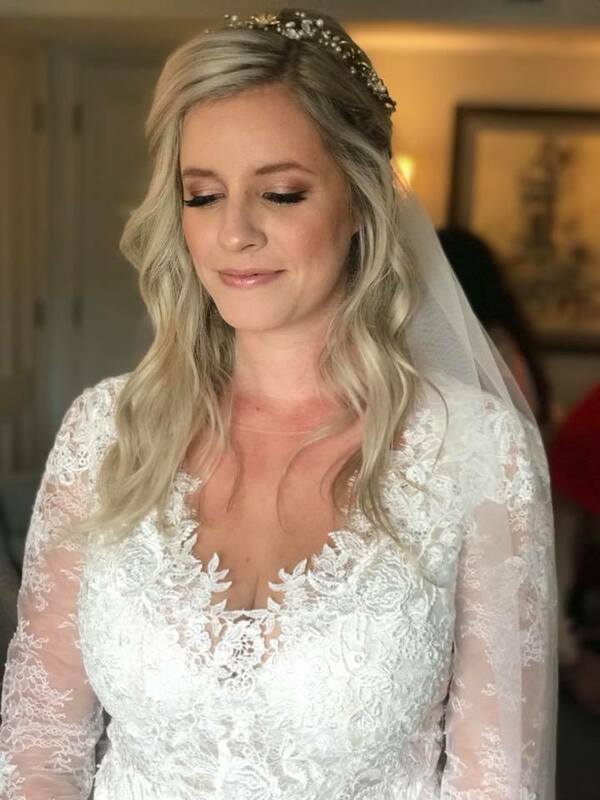 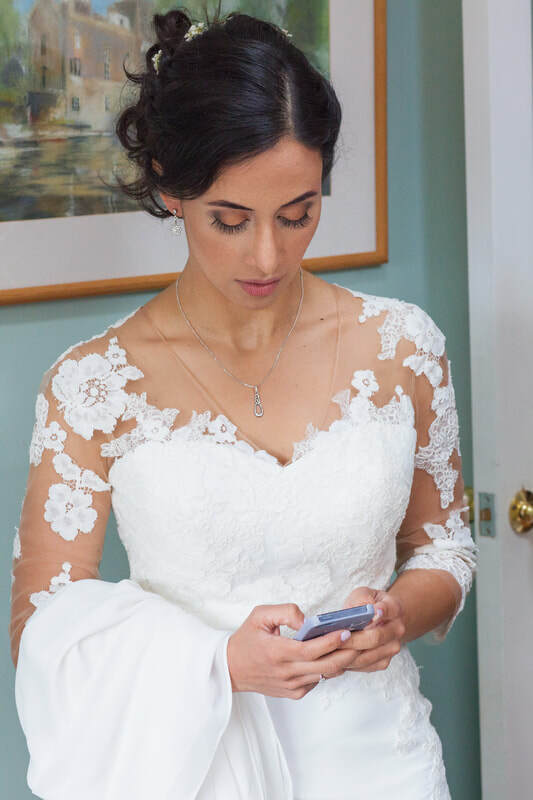 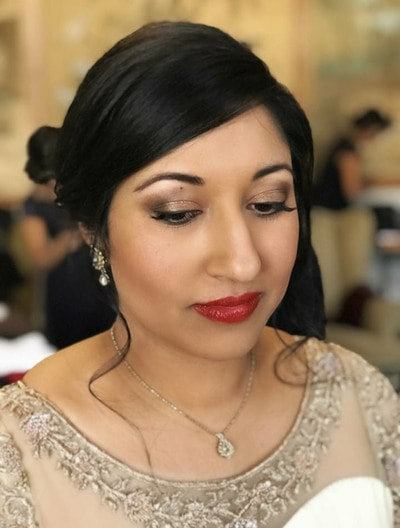 This is where her love for bridal hair and makeup comes in as Nina loves to make her brides looks absolutely stunning to an editorial standard making all her brides and bridal parties look flawlessly fabulous. 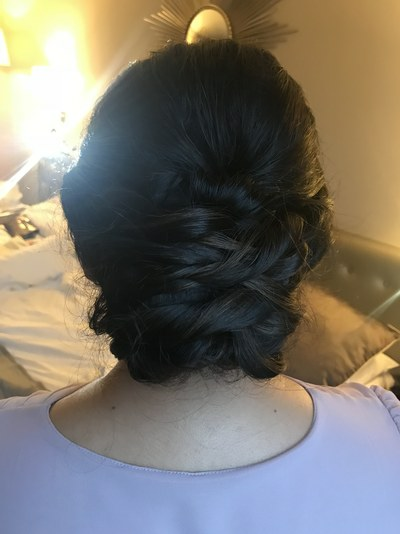 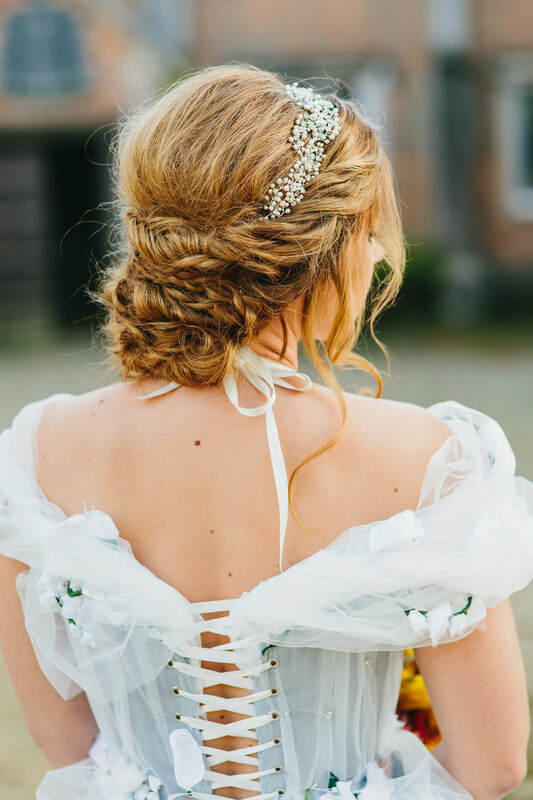 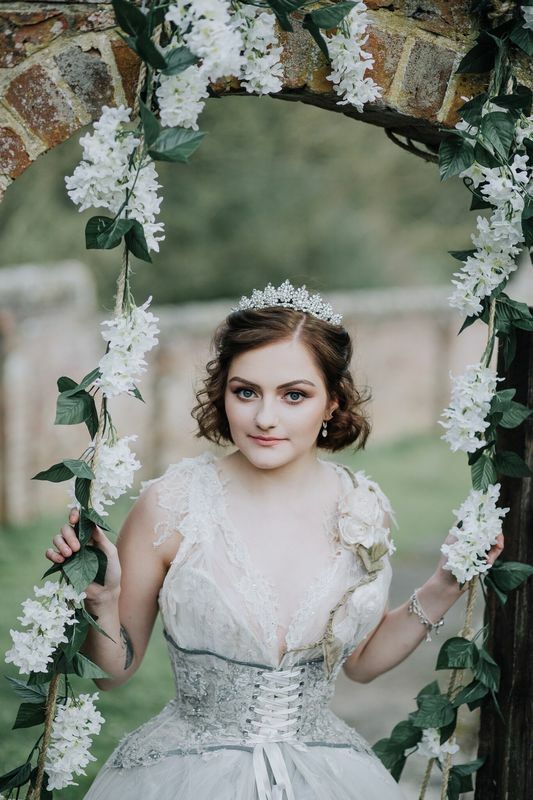 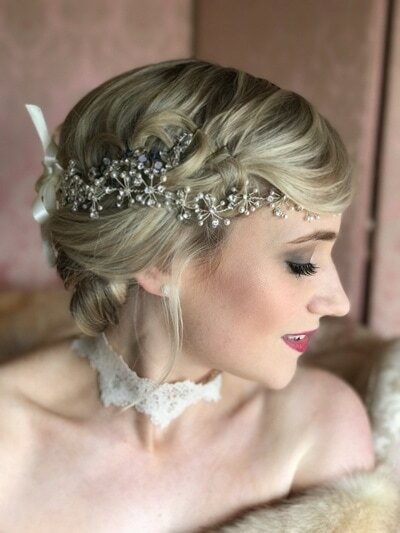 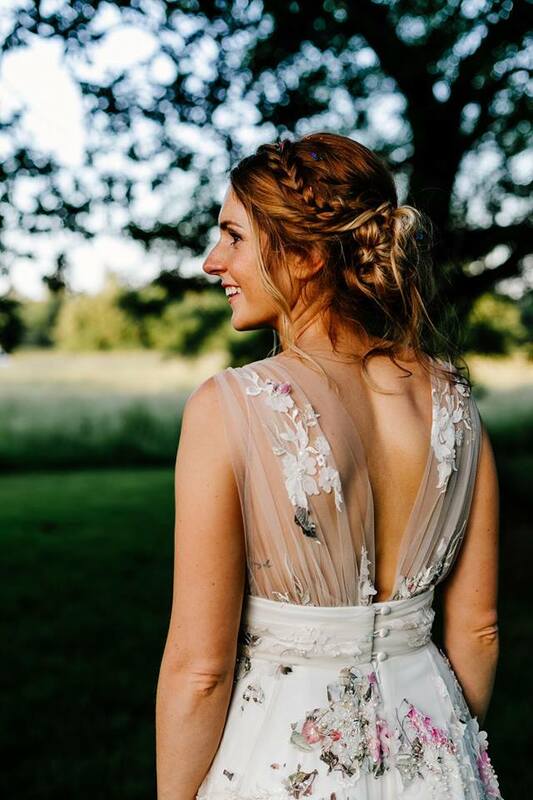 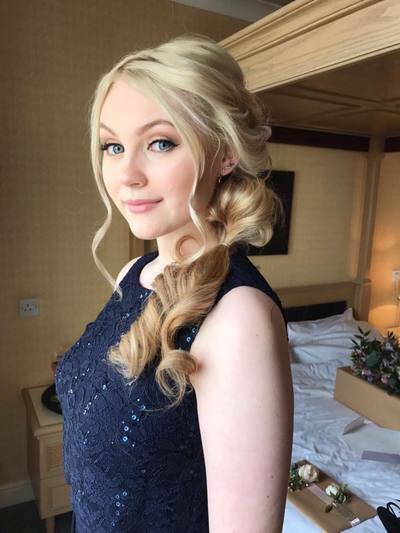 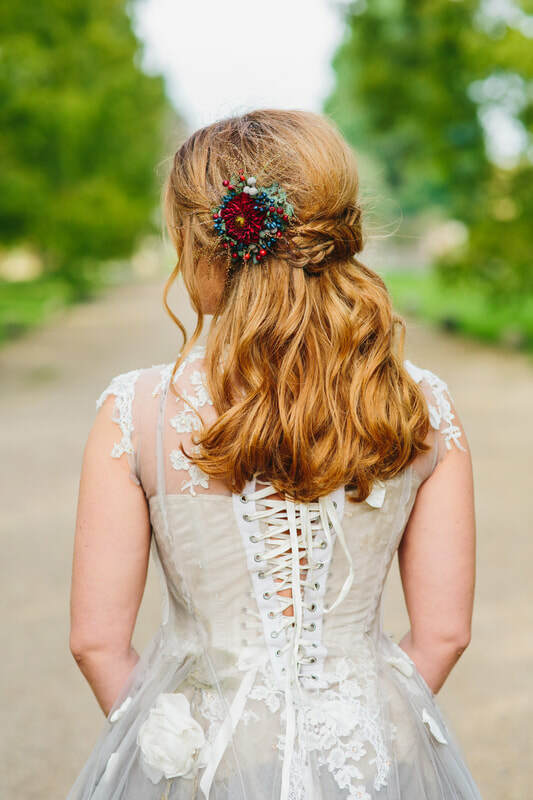 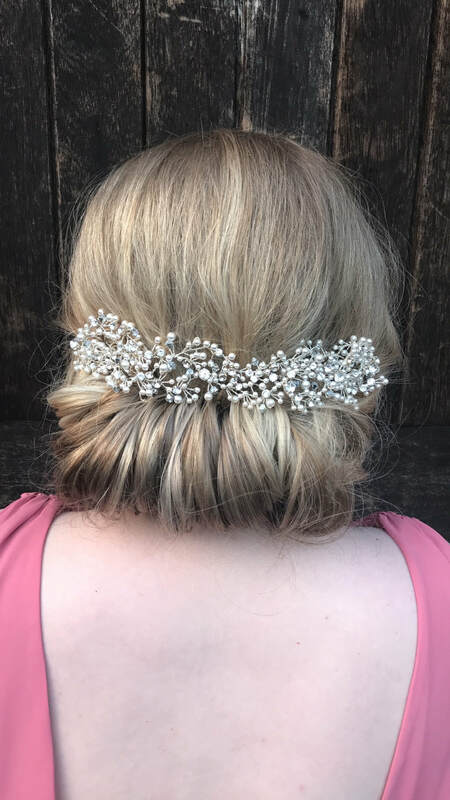 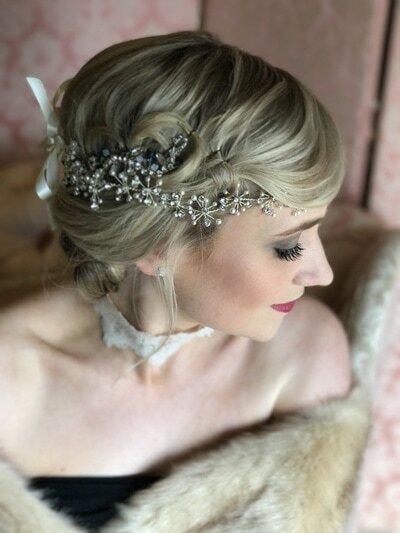 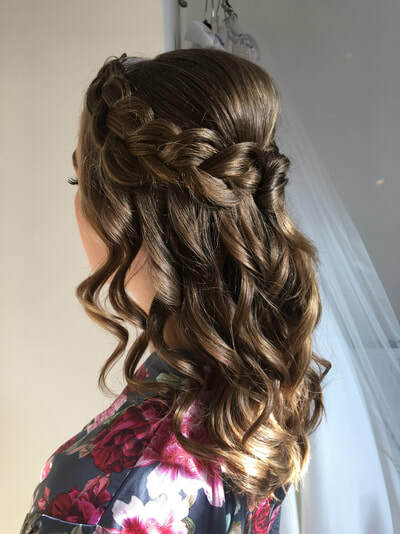 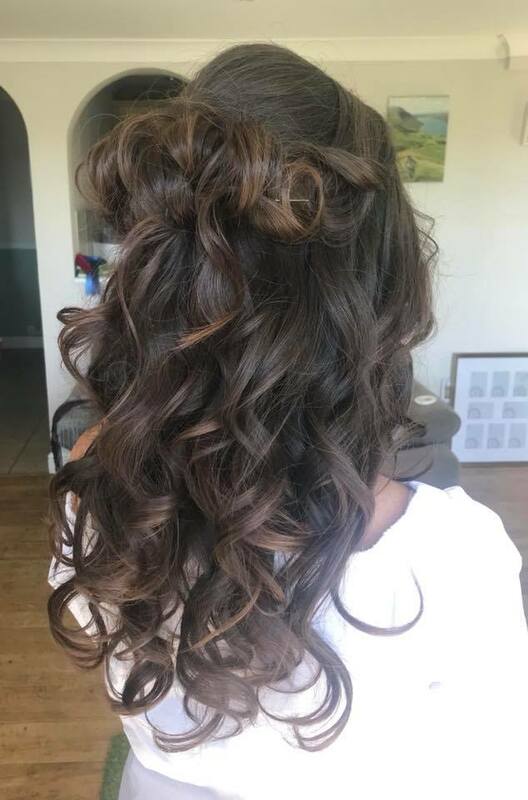 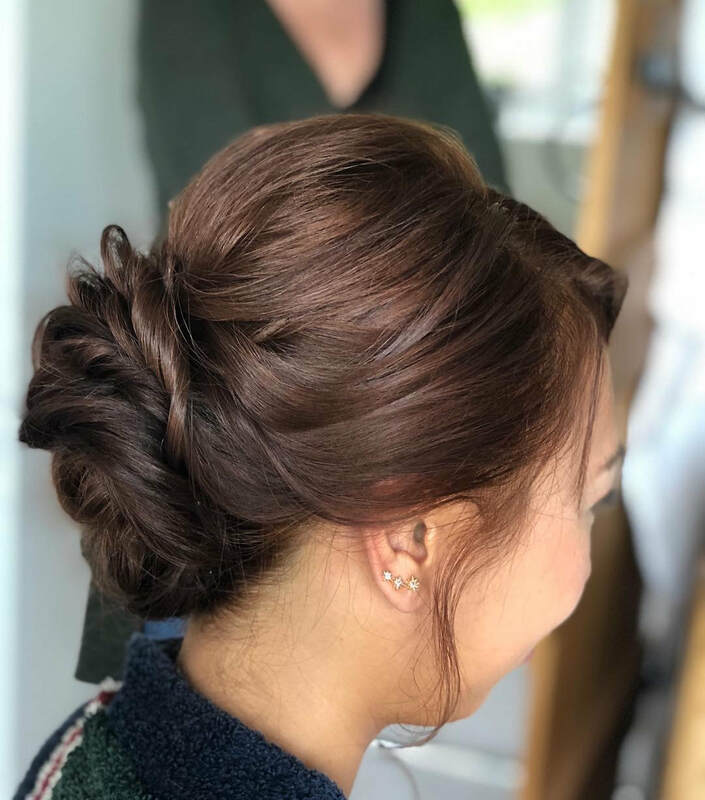 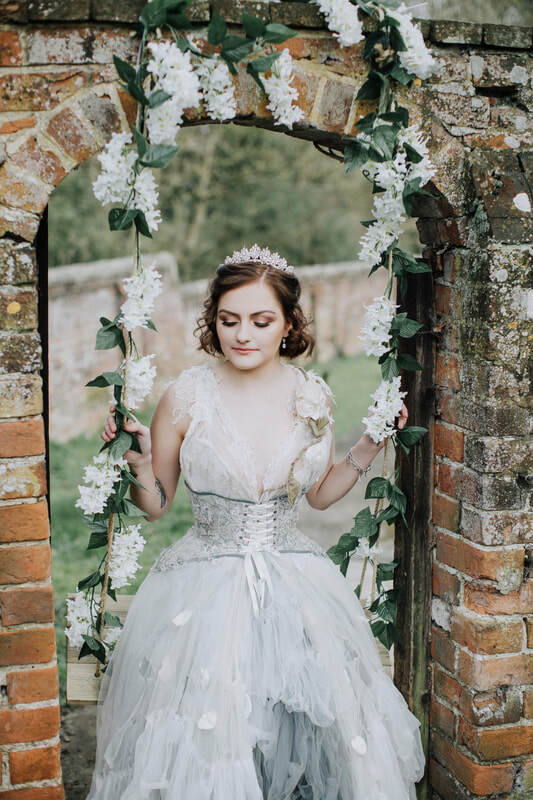 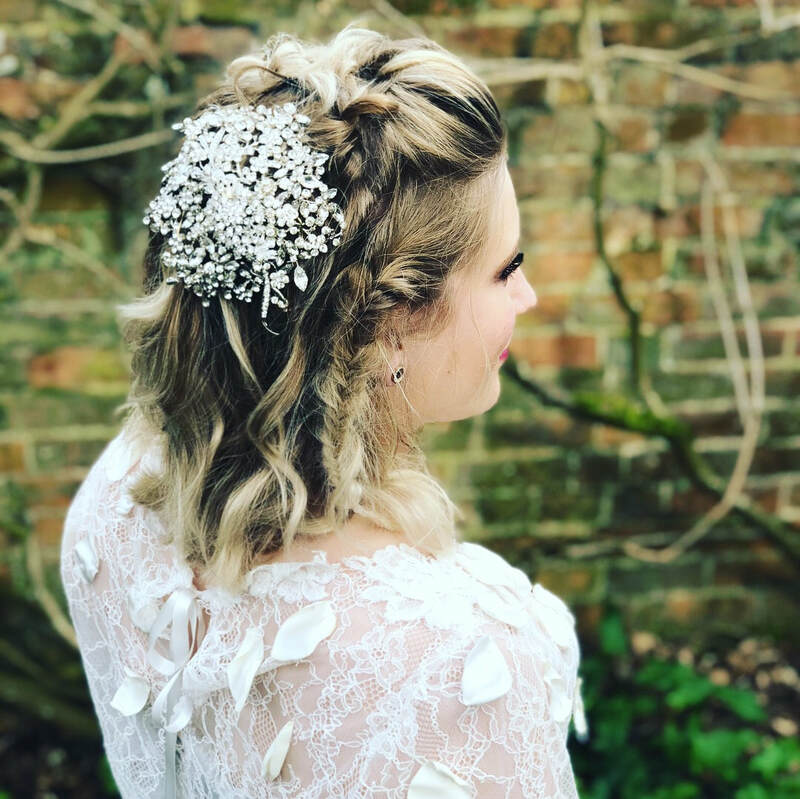 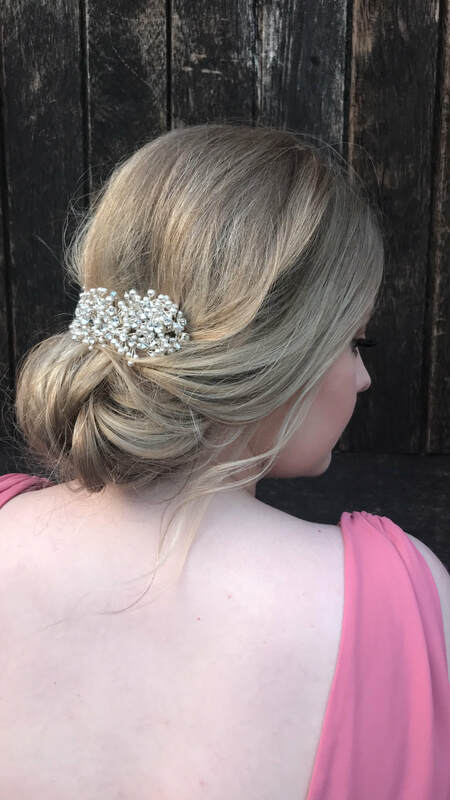 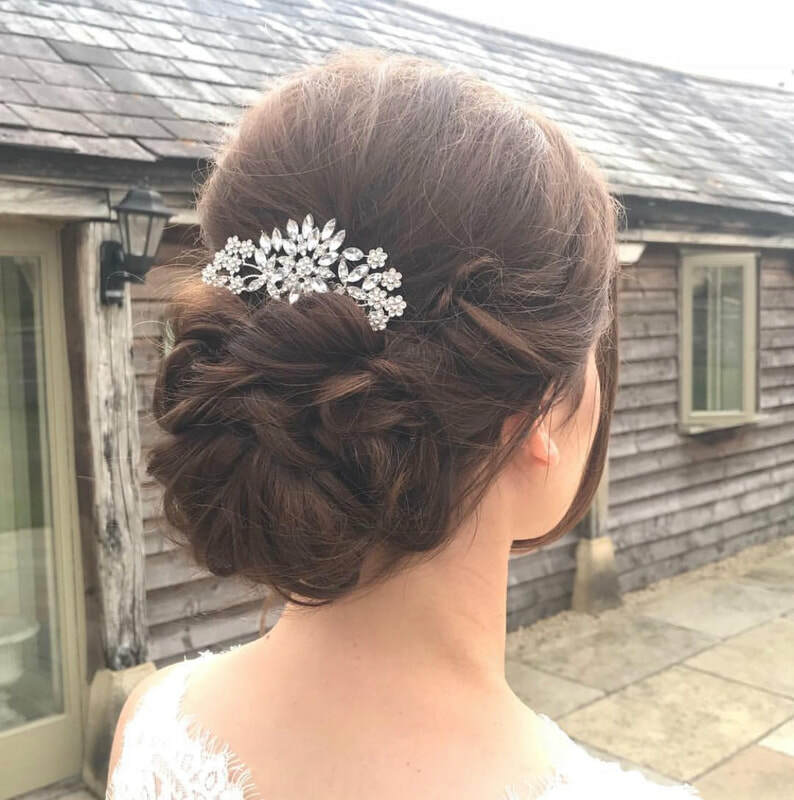 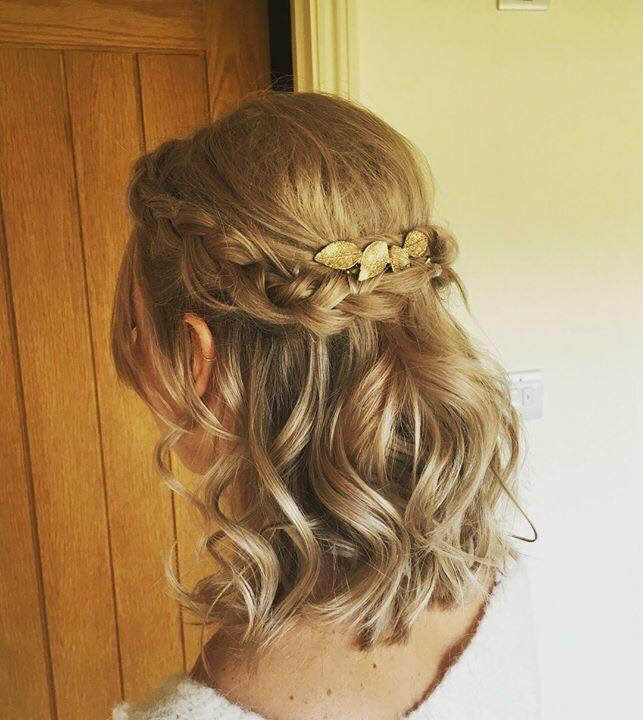 'Alice has a great passion for bridal hair and makeup she enjoys creating unique and beautiful looks for that special occasion. 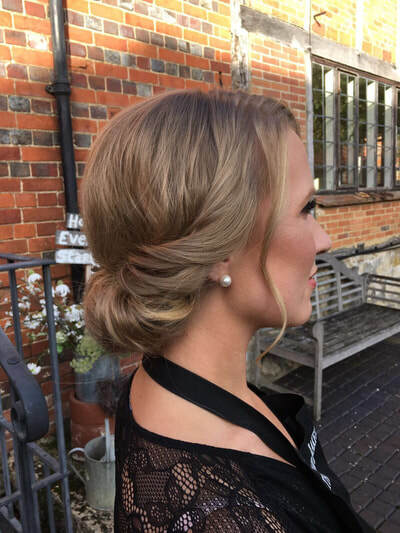 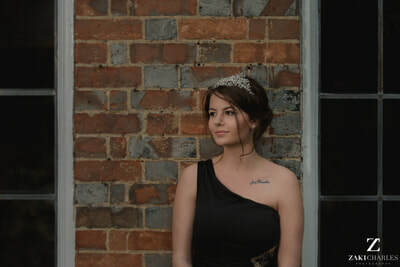 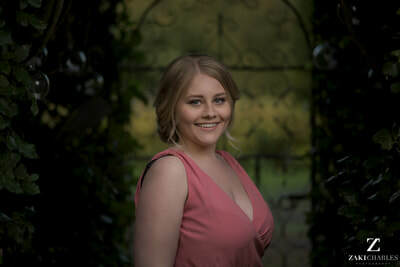 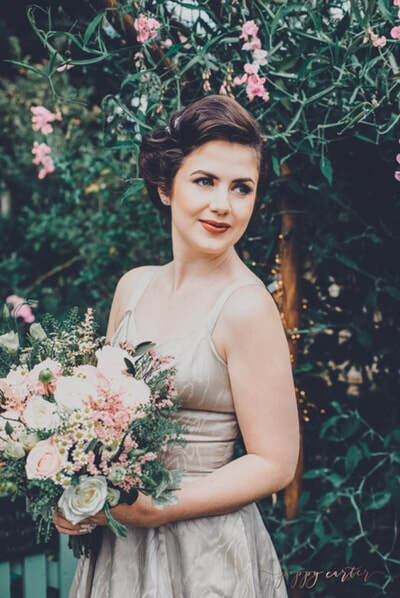 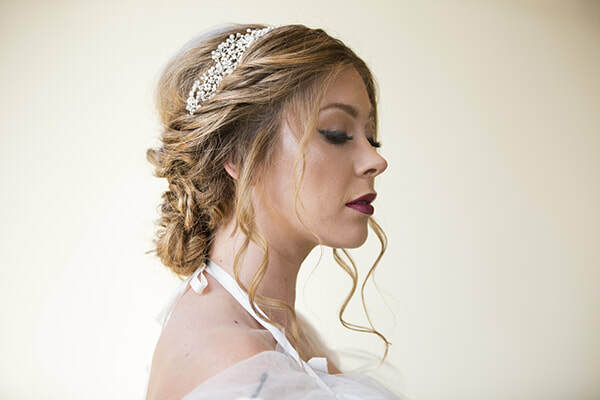 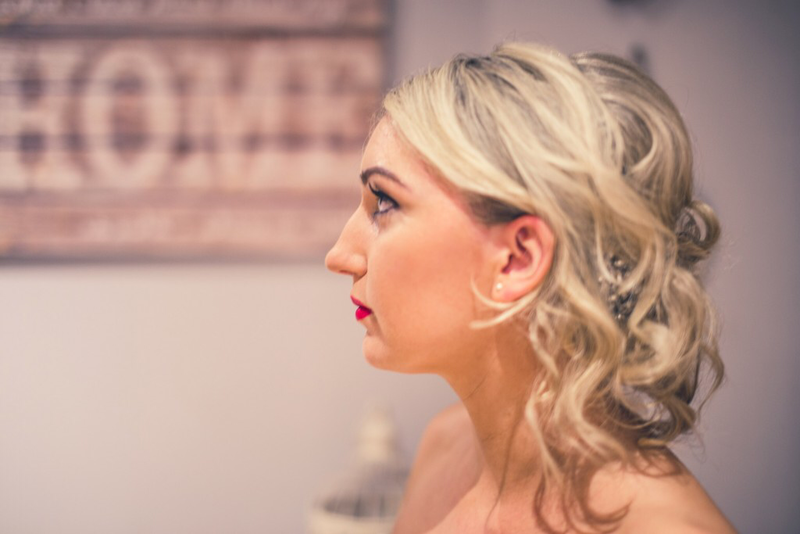 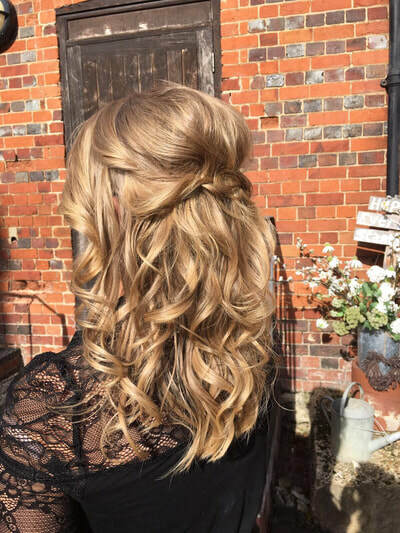 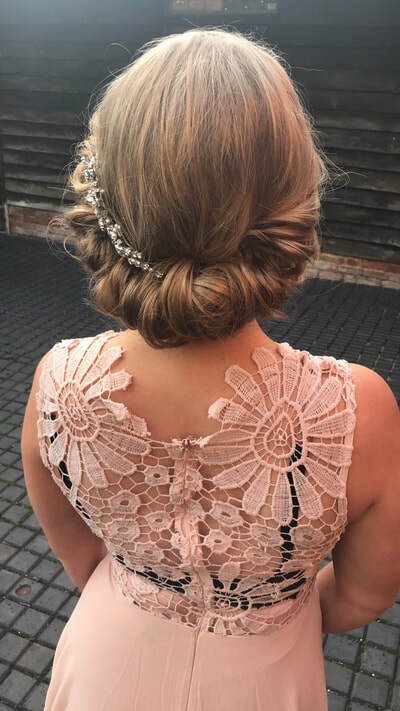 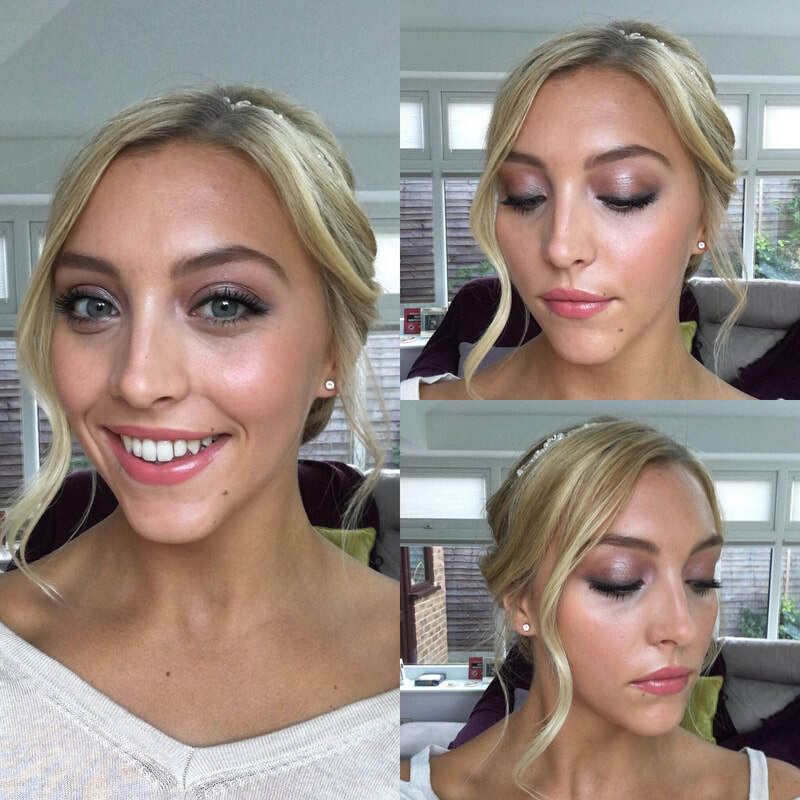 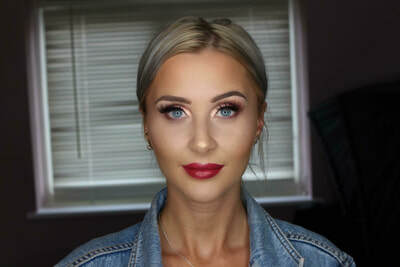 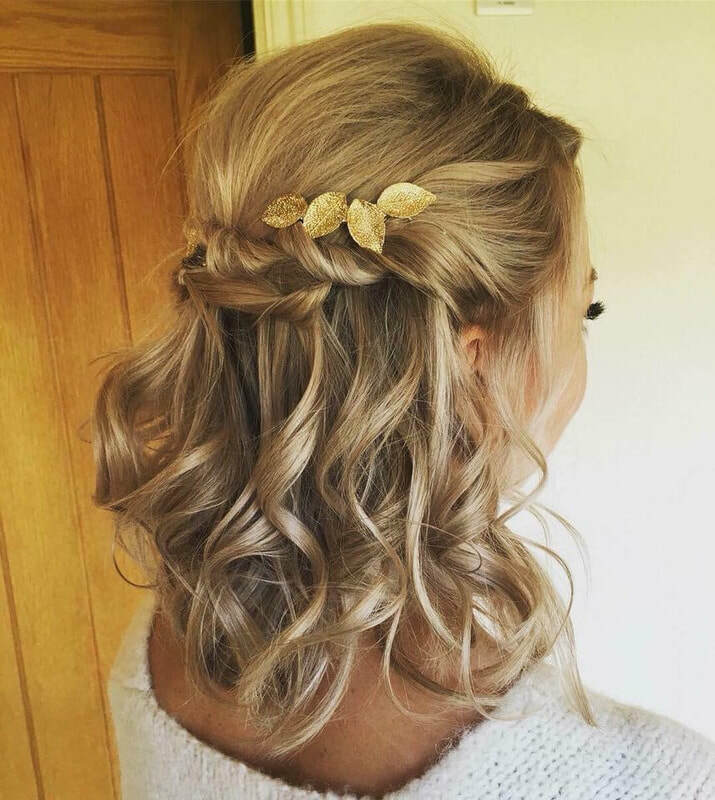 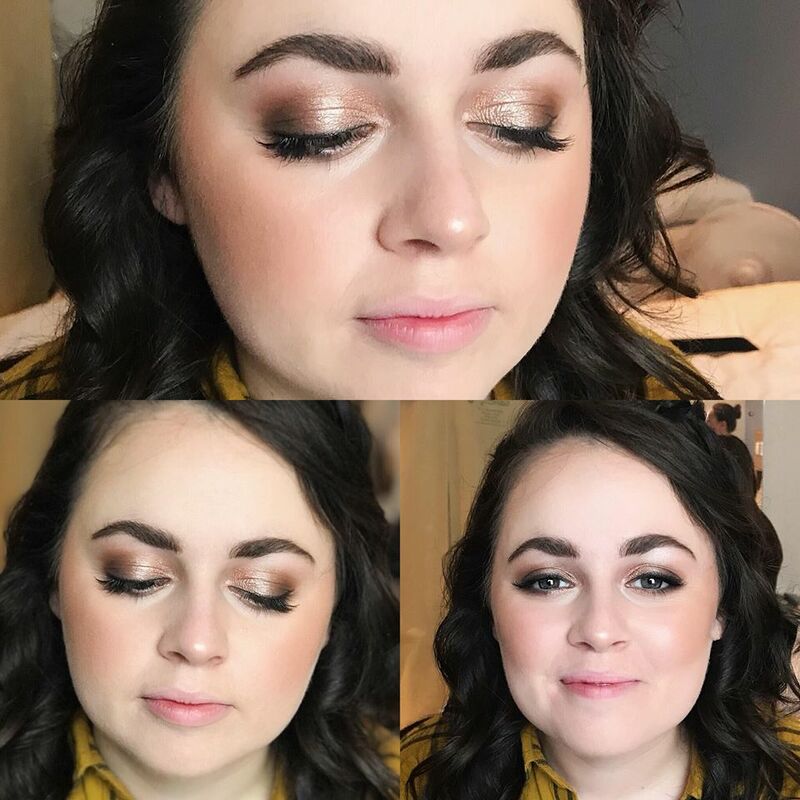 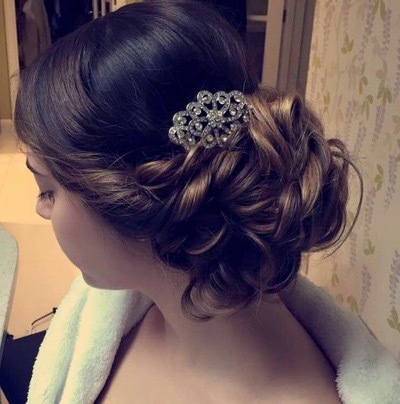 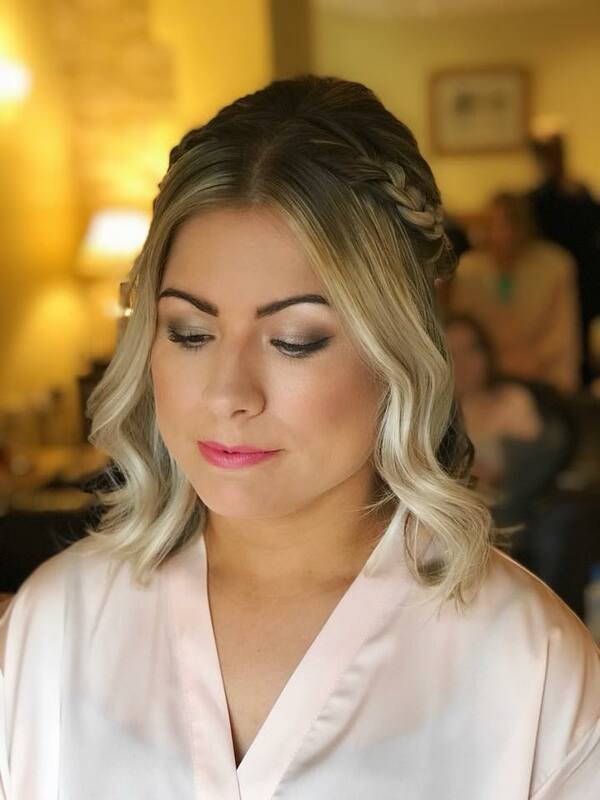 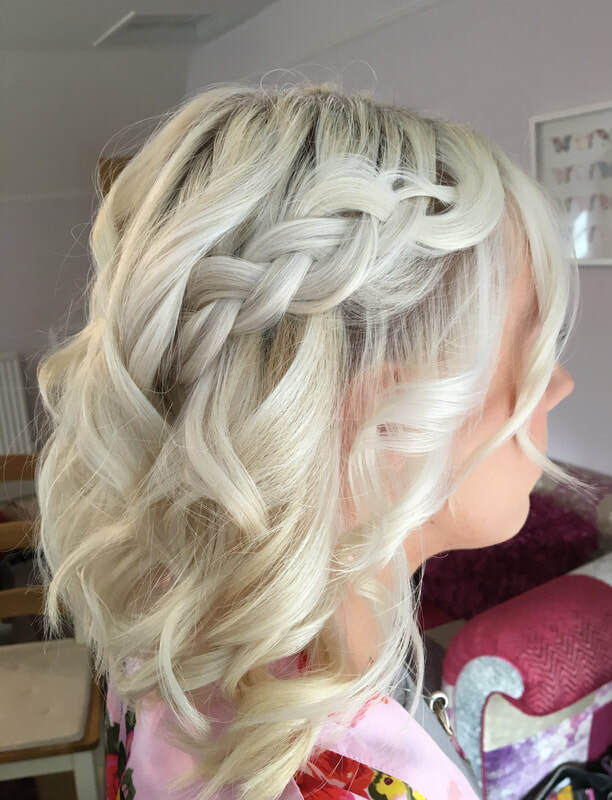 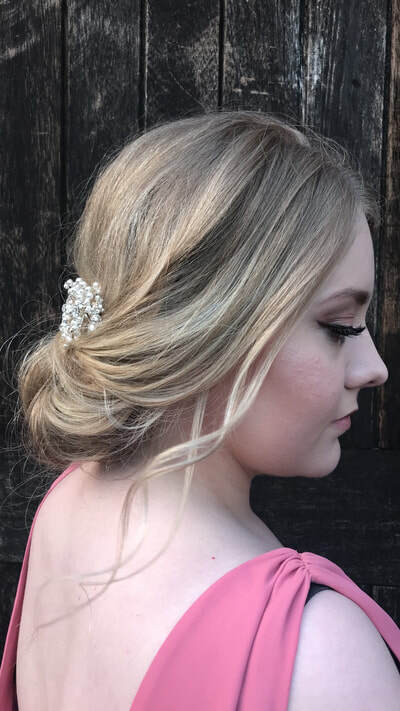 Abbie has been professionally trained by Holly in bridal hair and makeup by attending an intensive training course at 'The Hair & Makeup School' she has also qualified on other various hair and makeup courses with other industry professionals. Abbie always keeps up to date by attending masterclasses, beauty shows and skill set courses to ensure she can be the best at what she does. 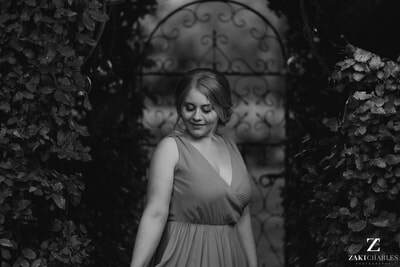 Abbie feels passionate and confident about helping you feel beautiful, and to be the best version of yourself whatever the occasion. 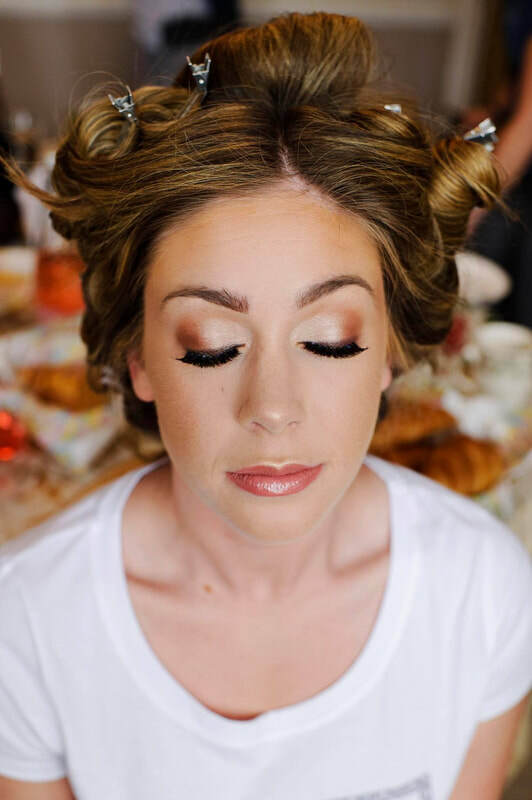 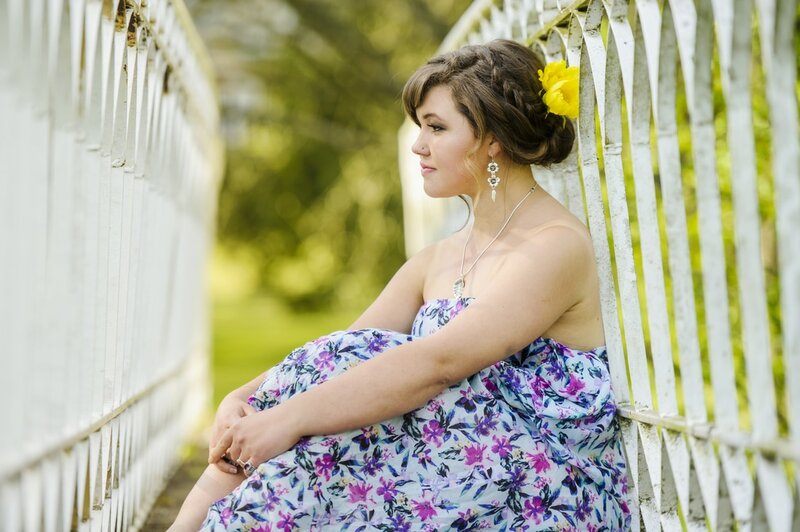 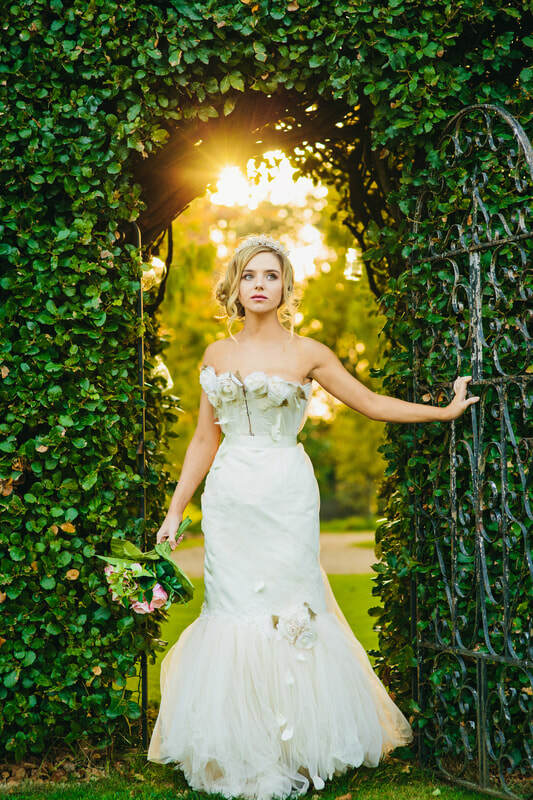 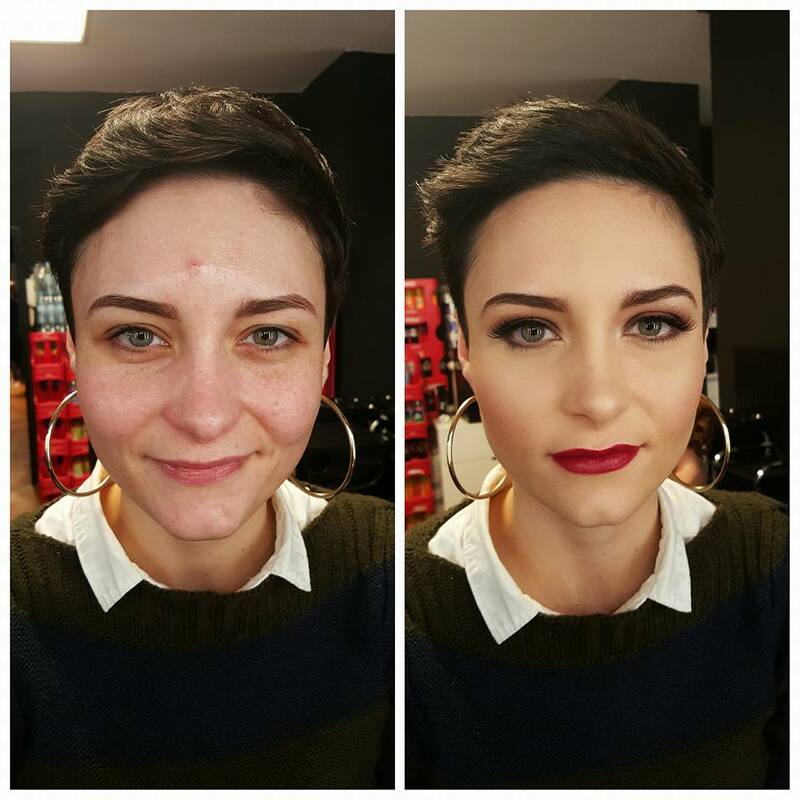 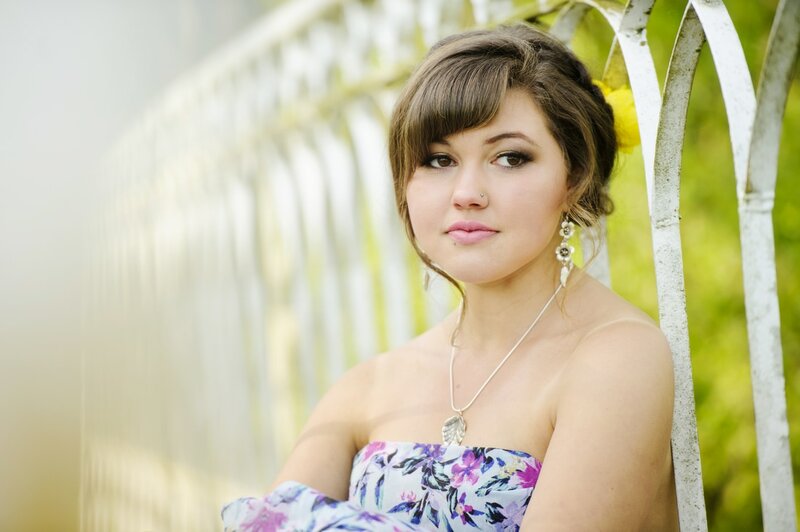 '​Kelly is a professionally trained Bridal Makeup Artist. 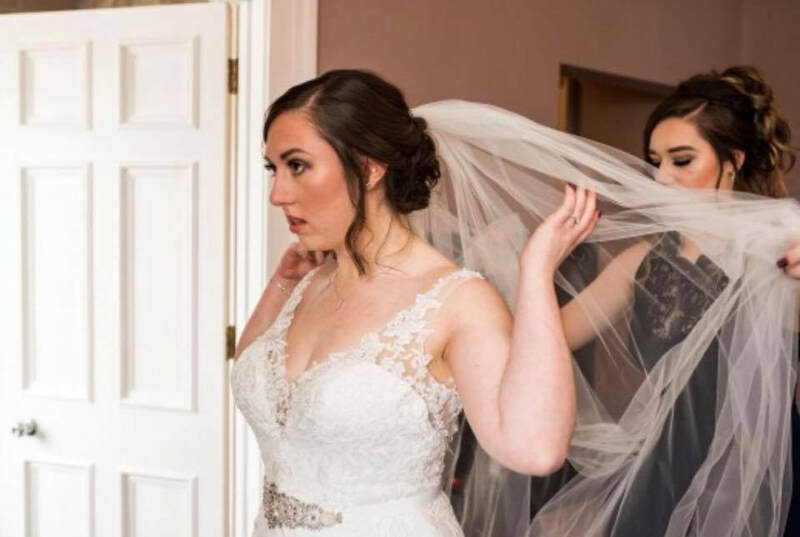 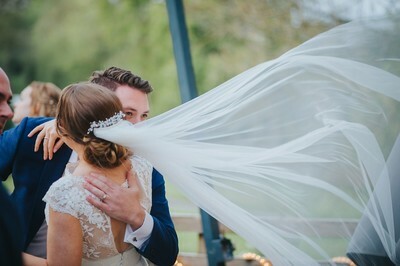 With years of experience in the wedding industry Kelly has an incredible eye for making brides look absolutely beautiful. 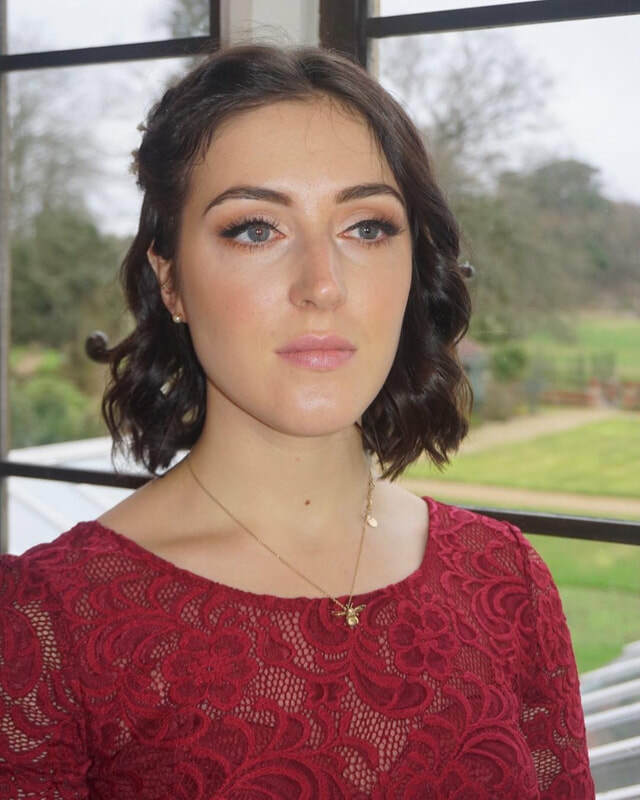 Giuseppa is professionally trained by Holly Preston at 'The Hair & Makeup School' she has a huge passion for bridal hair and makeup styling. 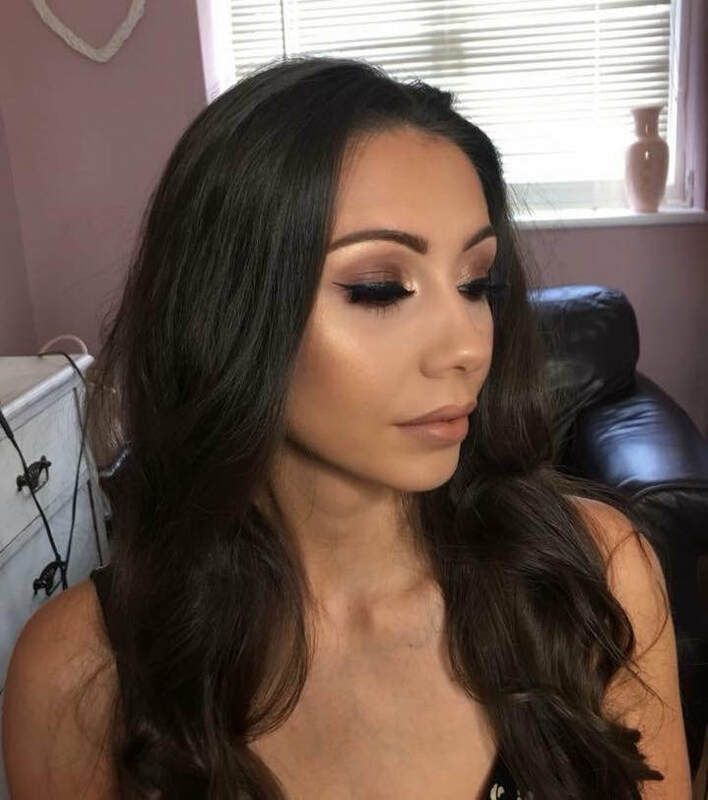 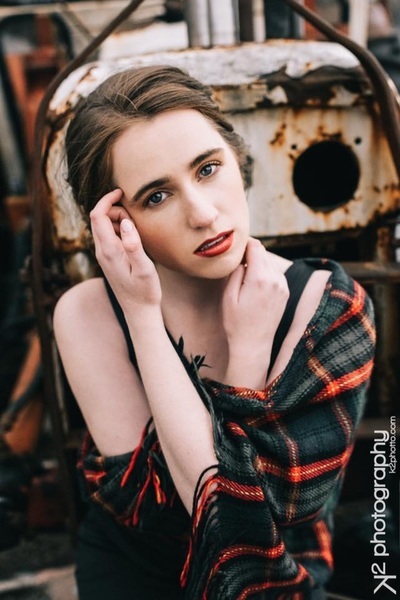 Giuseppa is continually training and adding to her skill set by keeping on top of the latest trends and techniques with masterclasses and she also furthered her training with celebrity hair and makeup artist Claire Hanson. 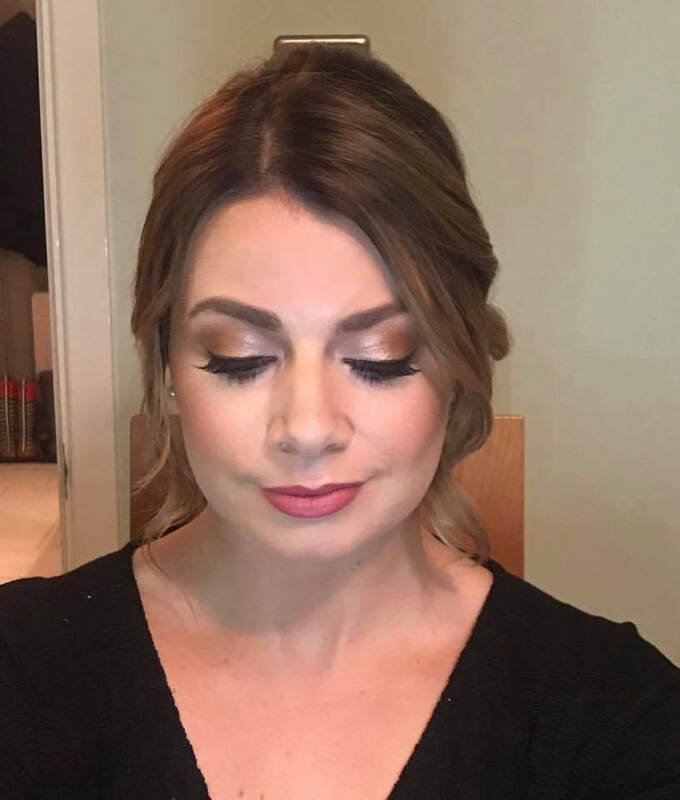 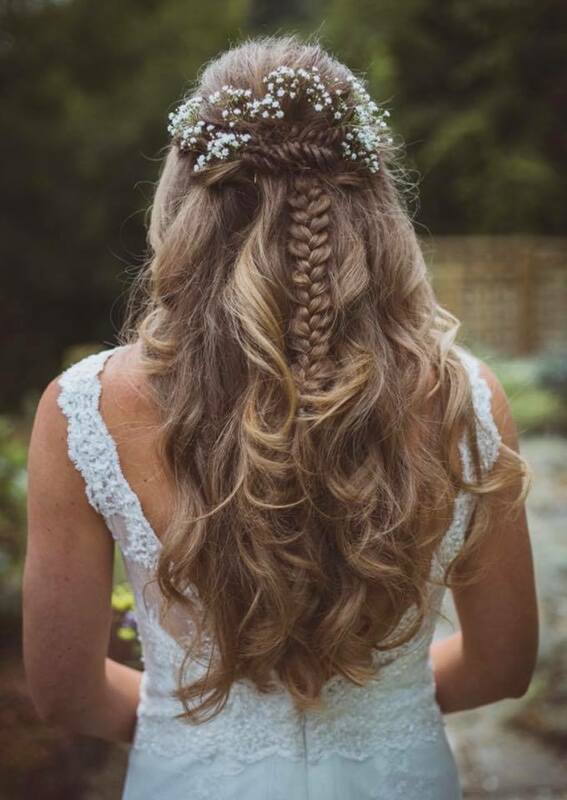 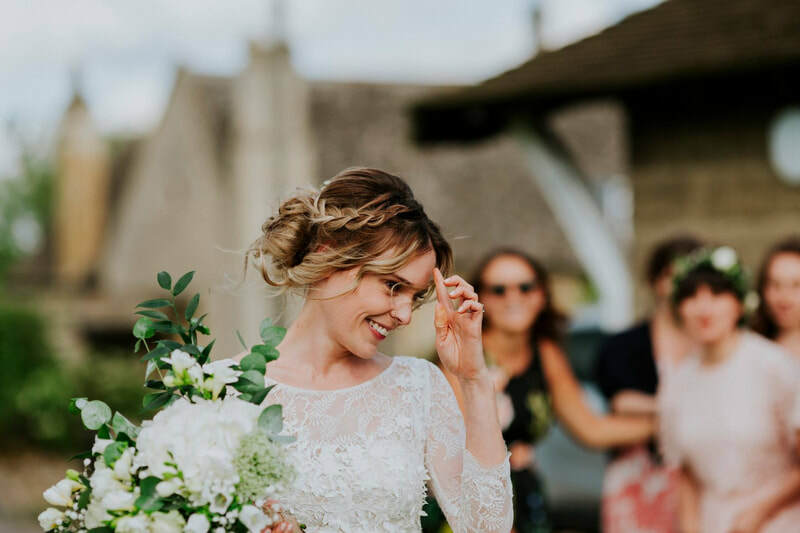 Emma has a real passion and love for bridal hair and makeup and will ensure you receive the highest quality service on your wedding day. 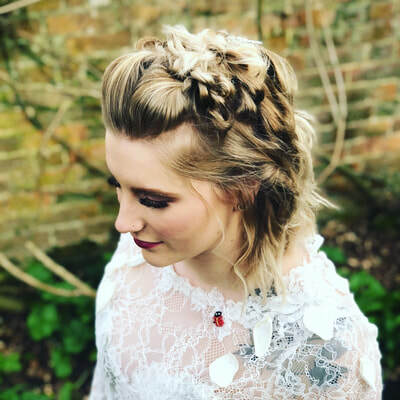 in North Oxford and attended intensive courses at the Sassoon Academy in London to advance her skills and knowledge within the industry to keep up to date with the current trends and styles. 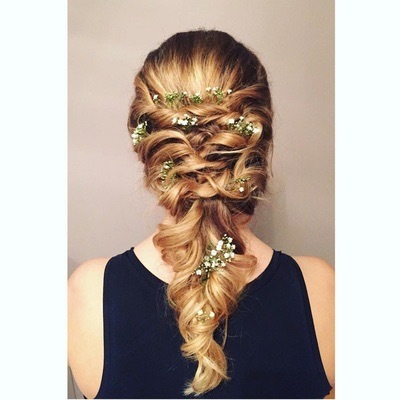 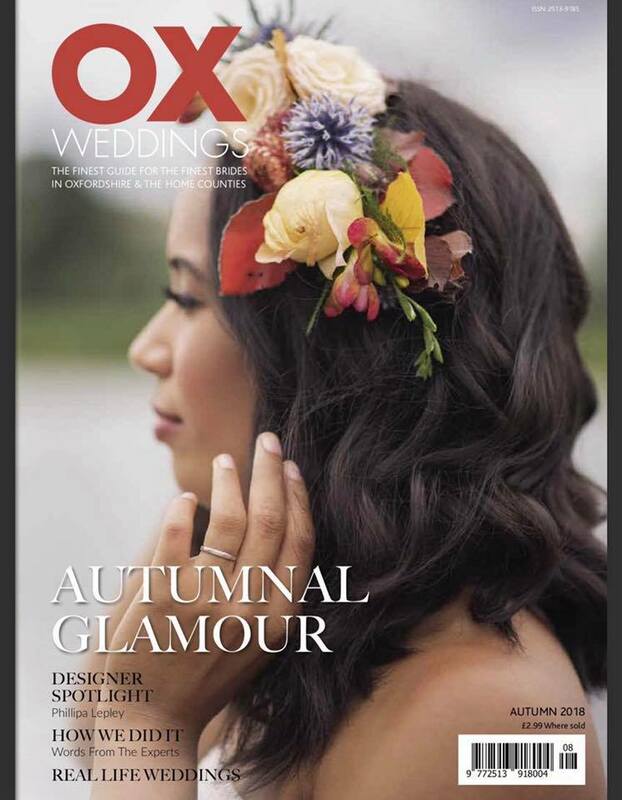 ​'Lucy is extremely passionate about her job creating beautiful dos for that special occasion. 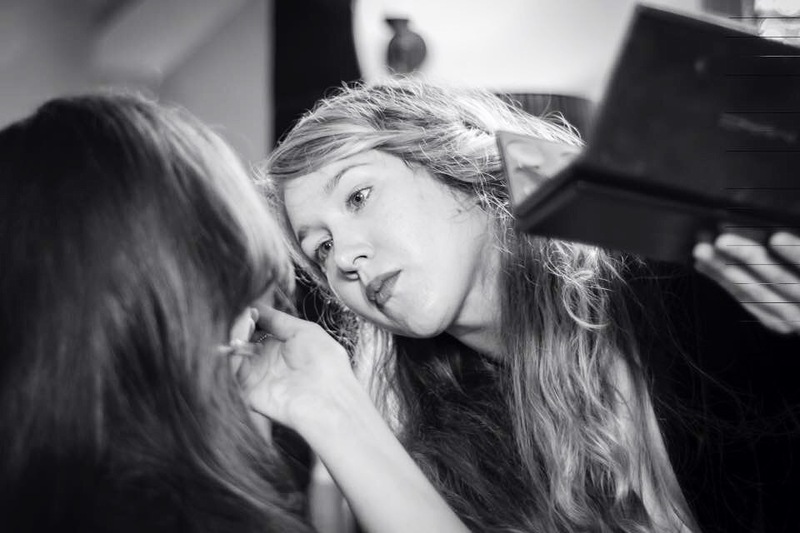 Amy has worked for many years within the creative and theatrical industries with a clear passion for beauty and people. 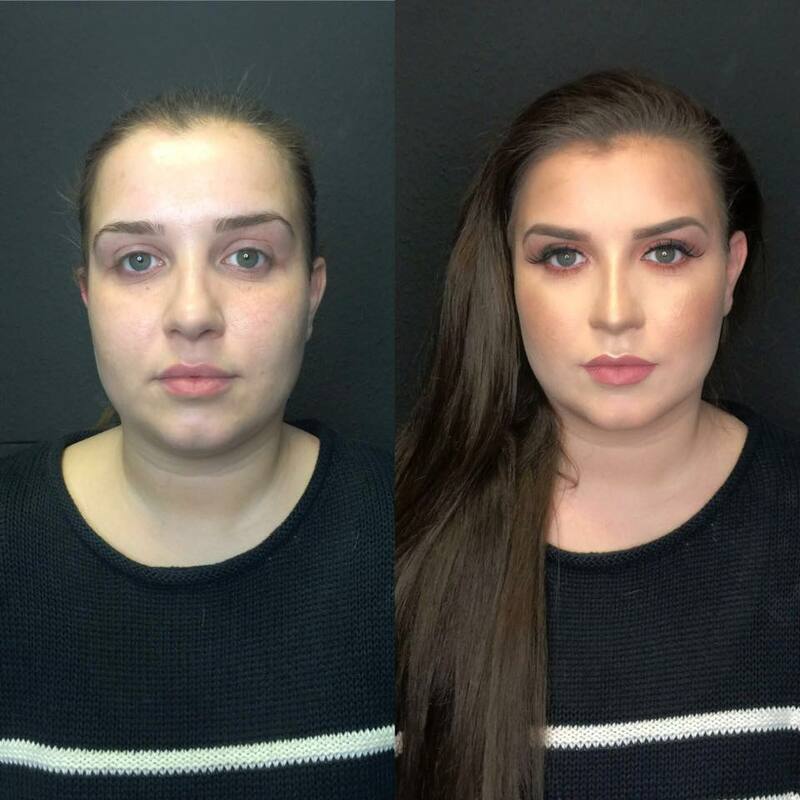 This led her to expand her career by training professionally in Bridal Hair and Make Up at 'The Hair and Makeup school’ with Holly Preston. 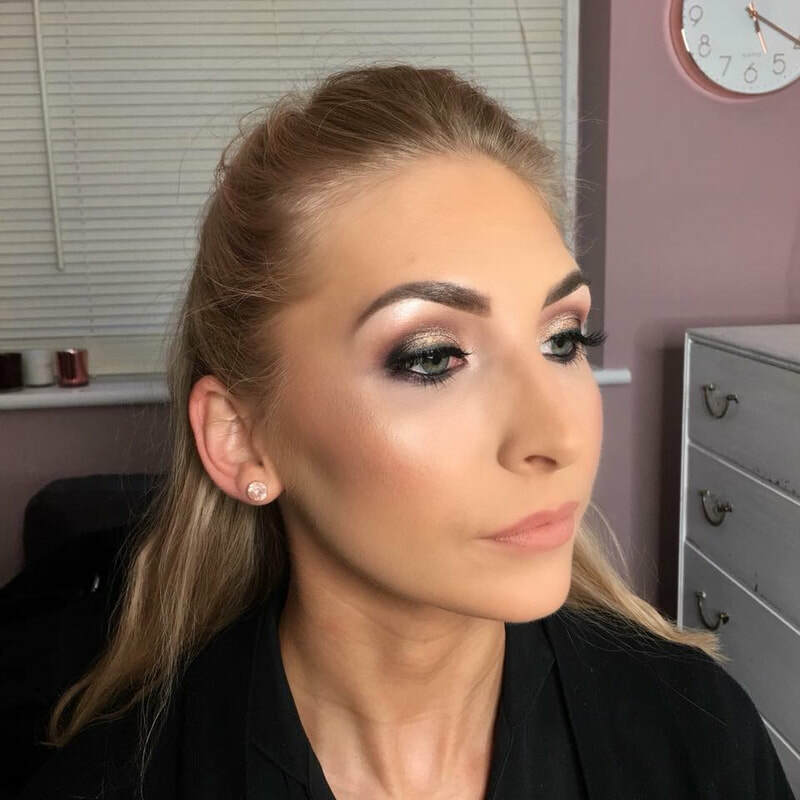 Always striving for perfection, Amy continues to develop her skills and techniques by attending various courses and masterclasses in the latest beauty trends and styles. 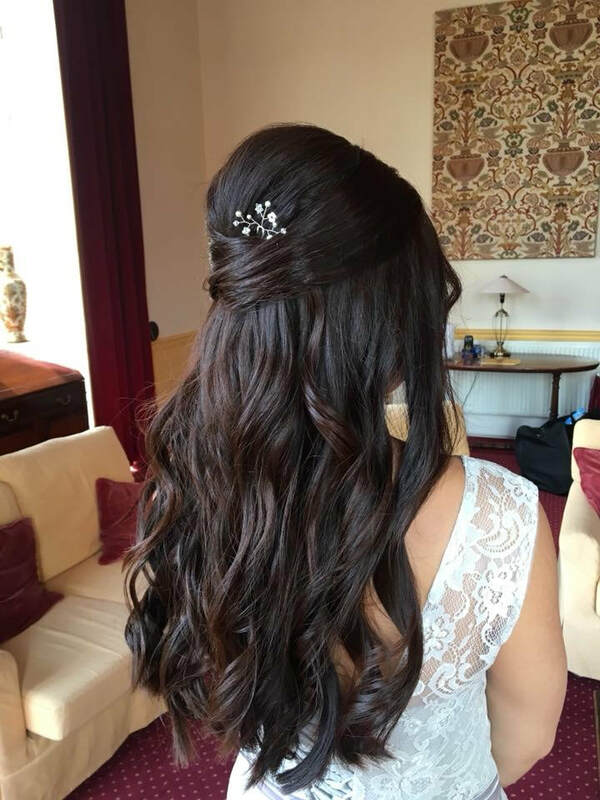 This experience ensures she gives every bride and wedding party the best start to their day with the special look they desire.